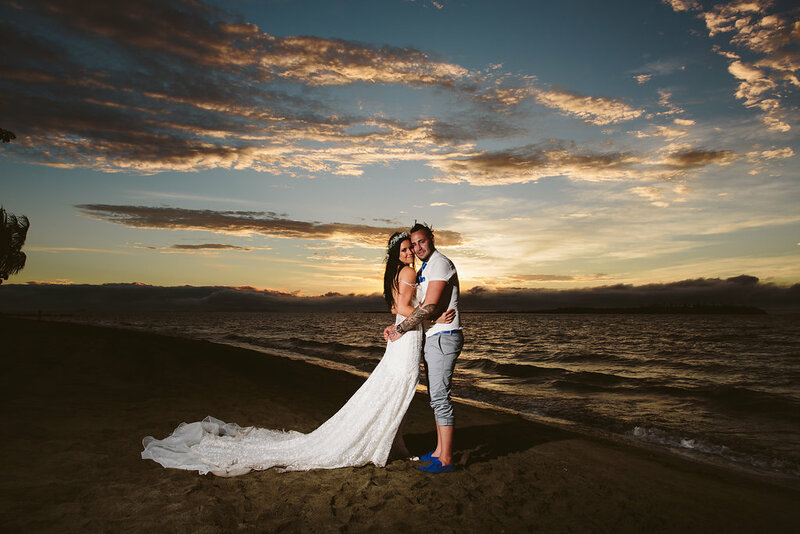 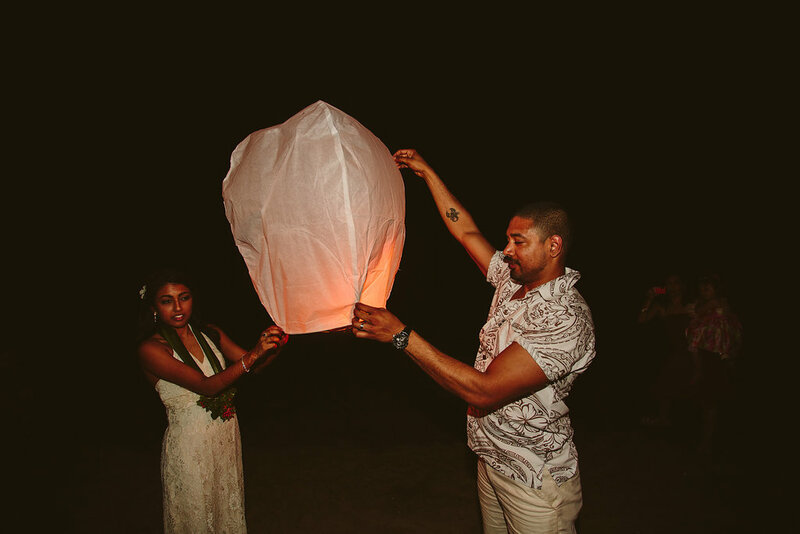 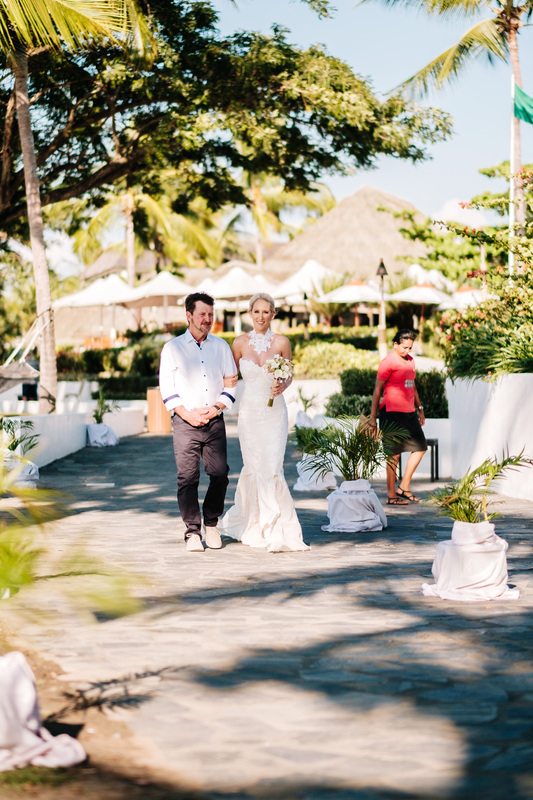 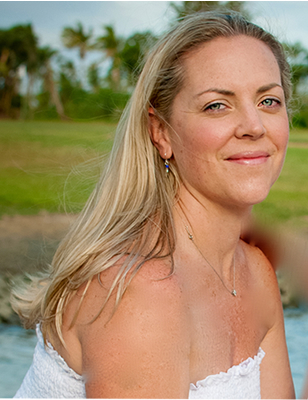 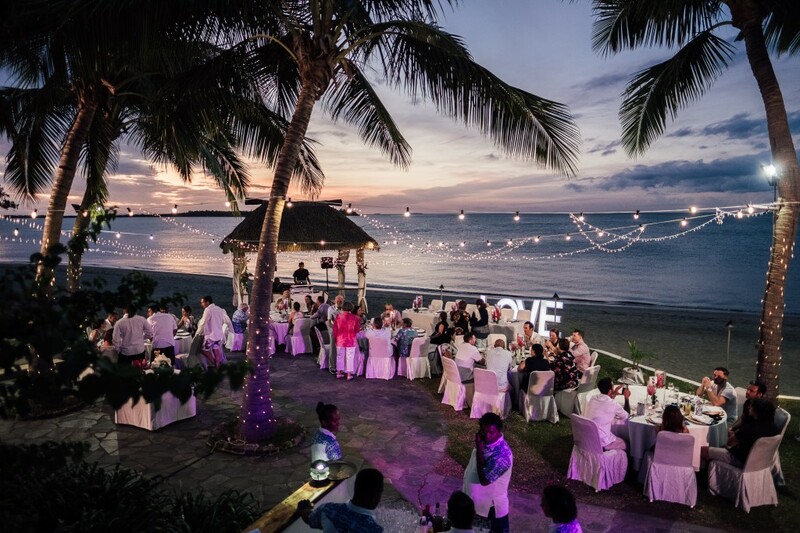 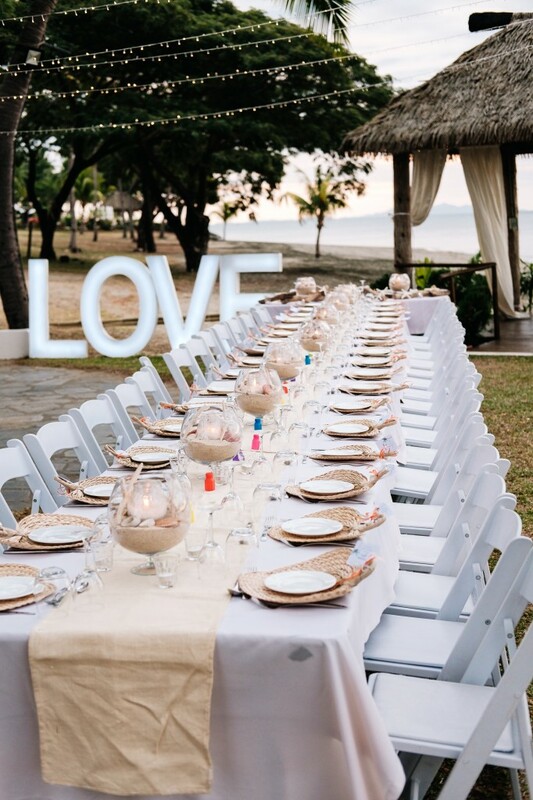 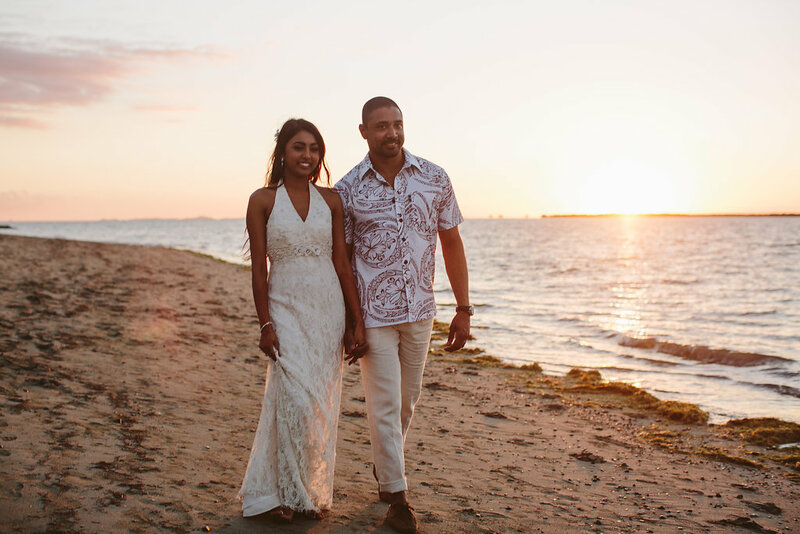 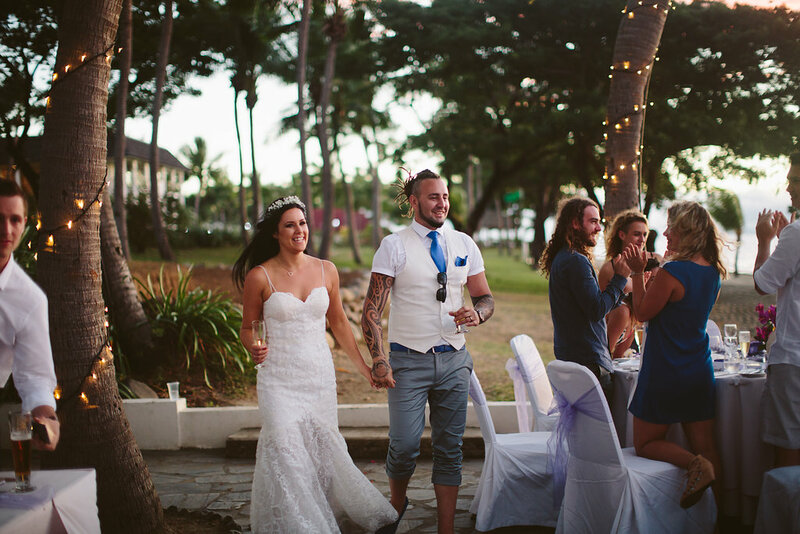 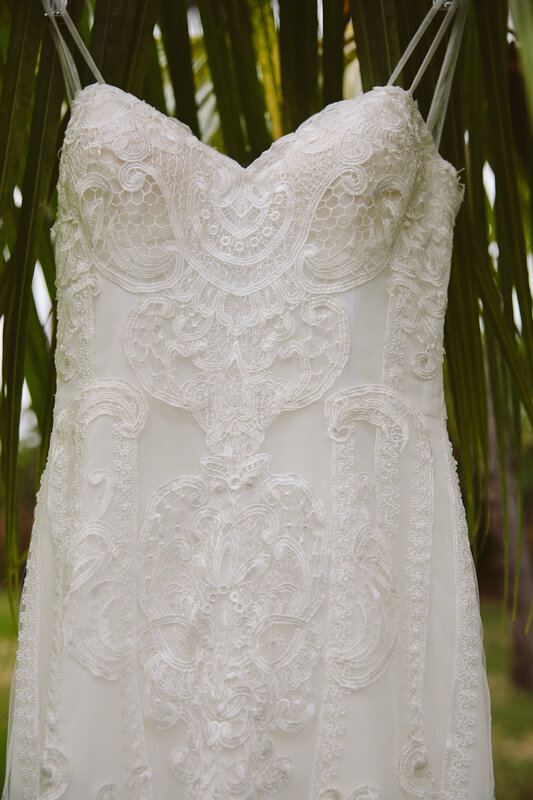 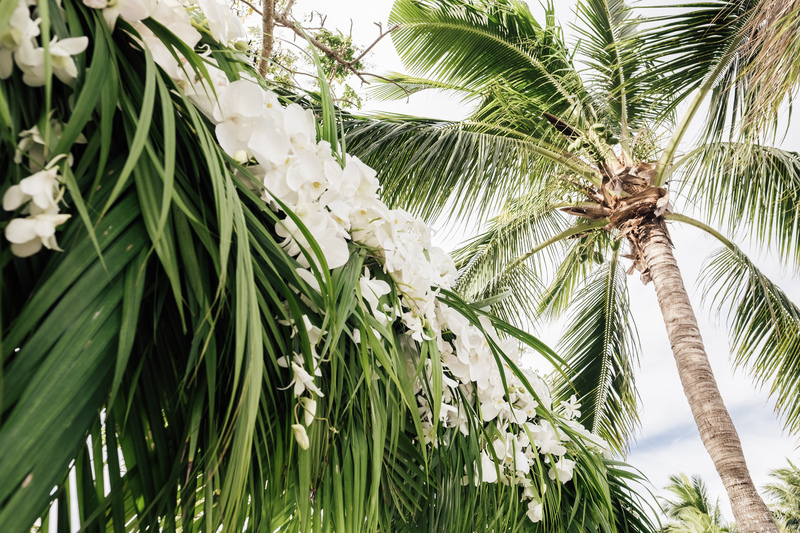 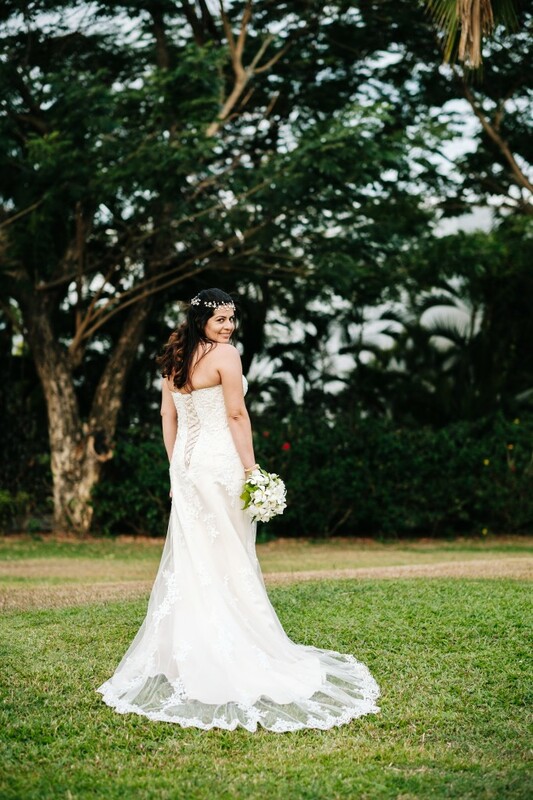 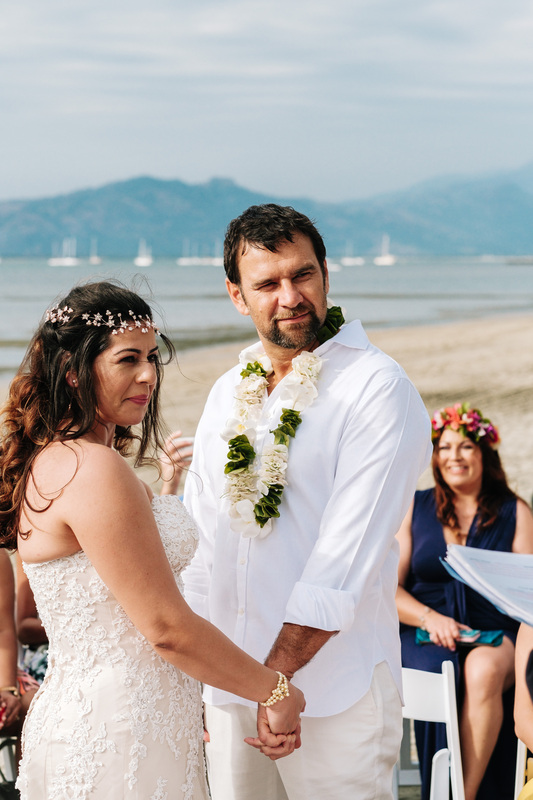 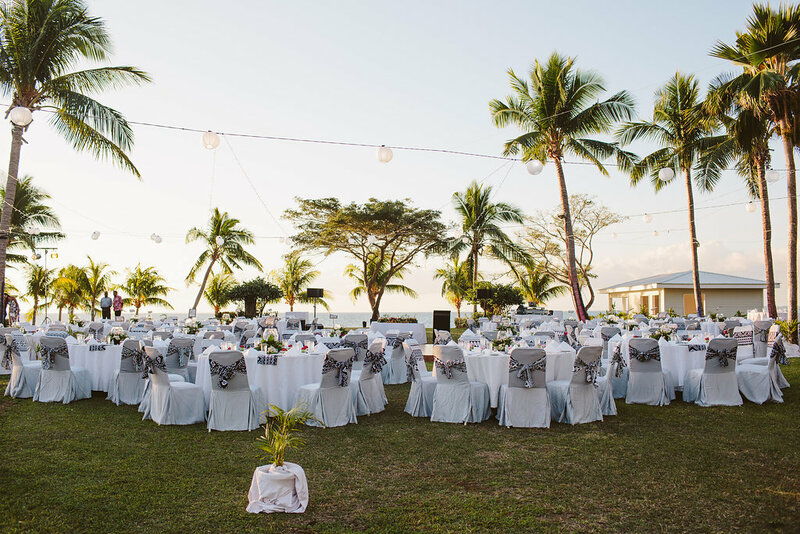 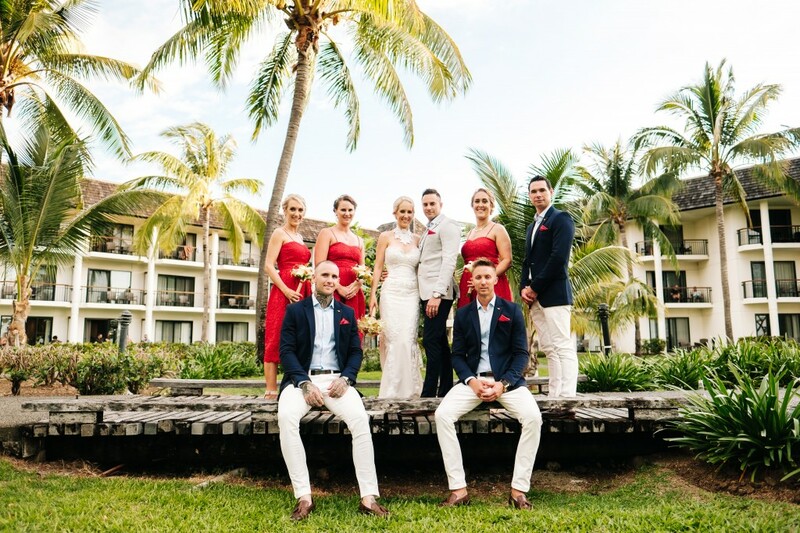 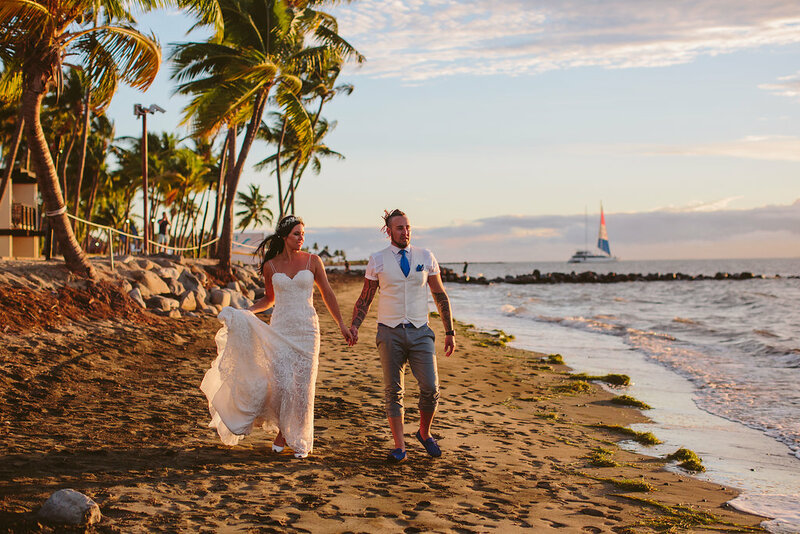 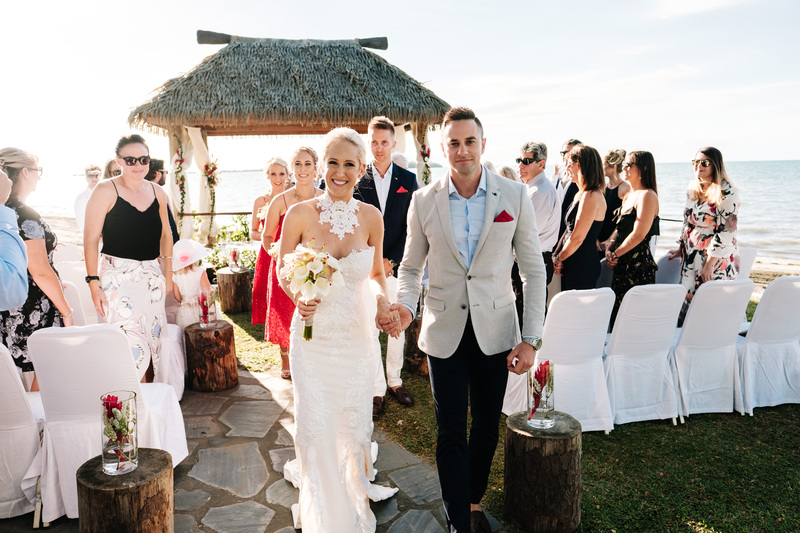 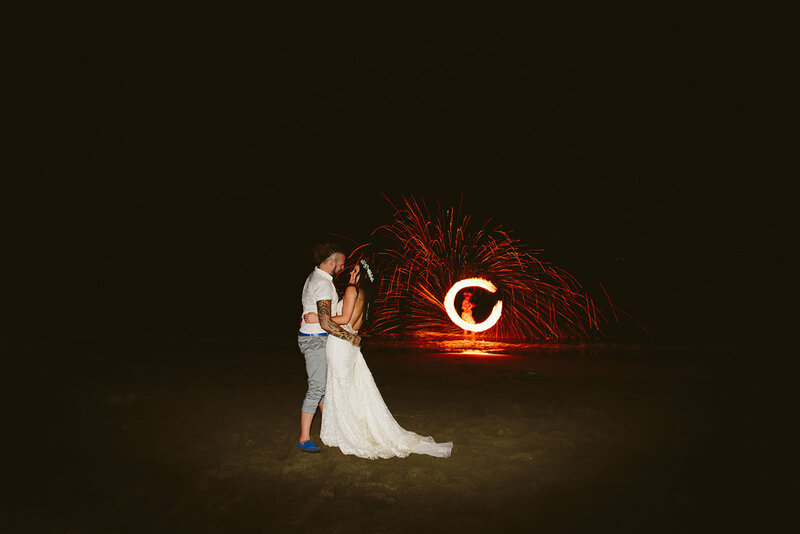 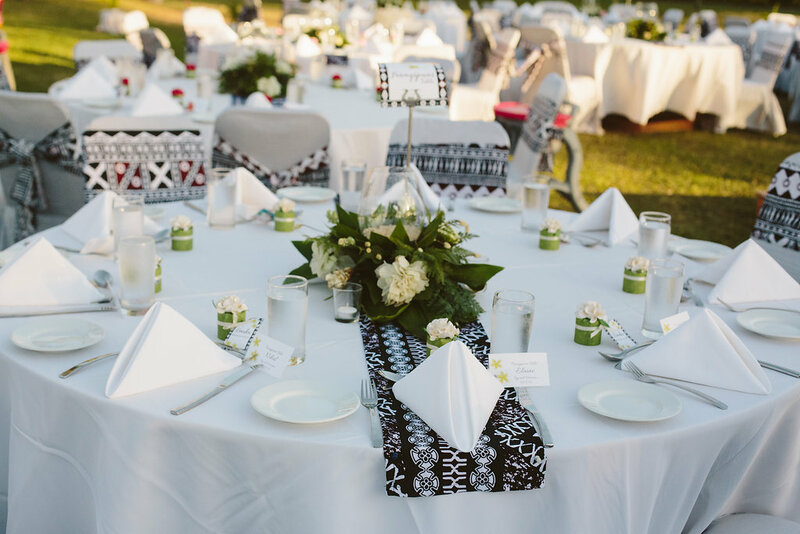 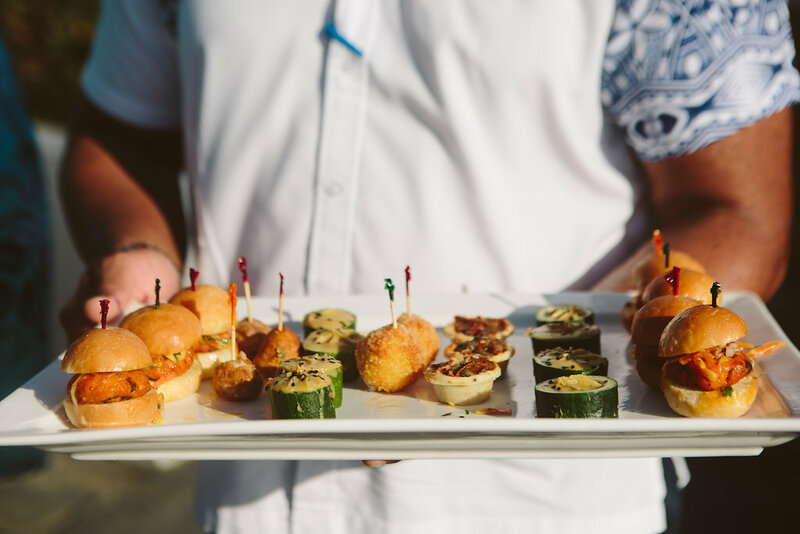 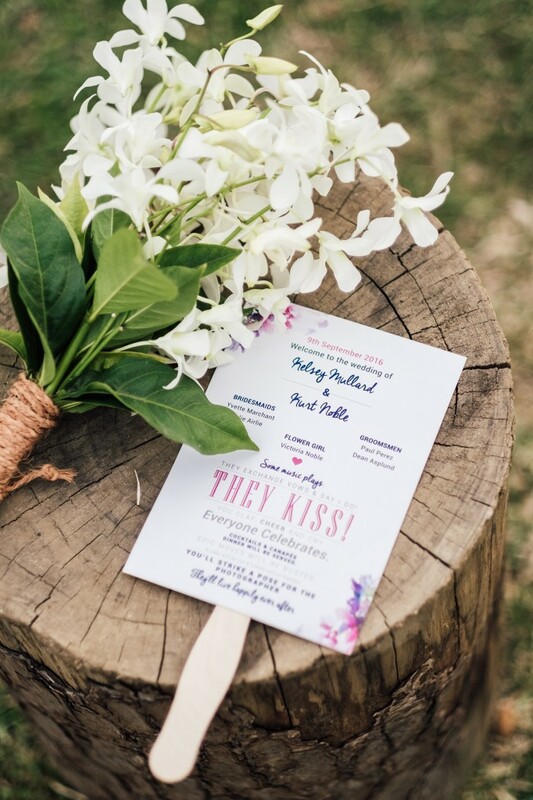 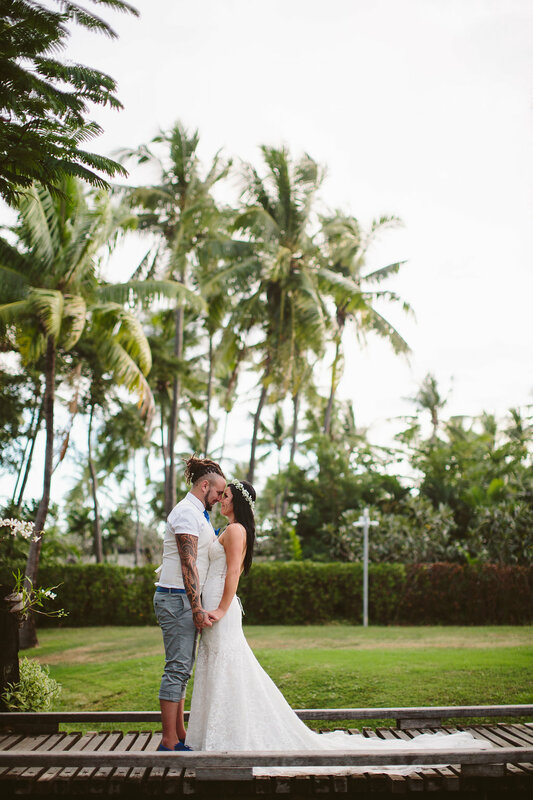 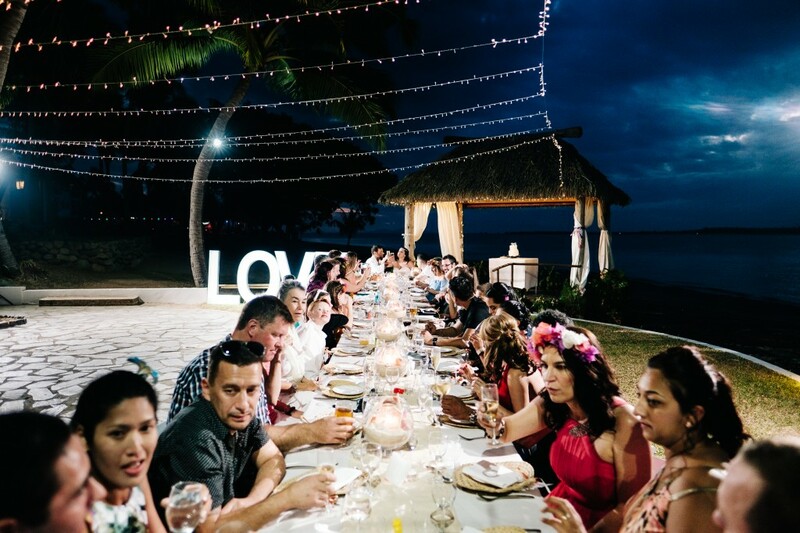 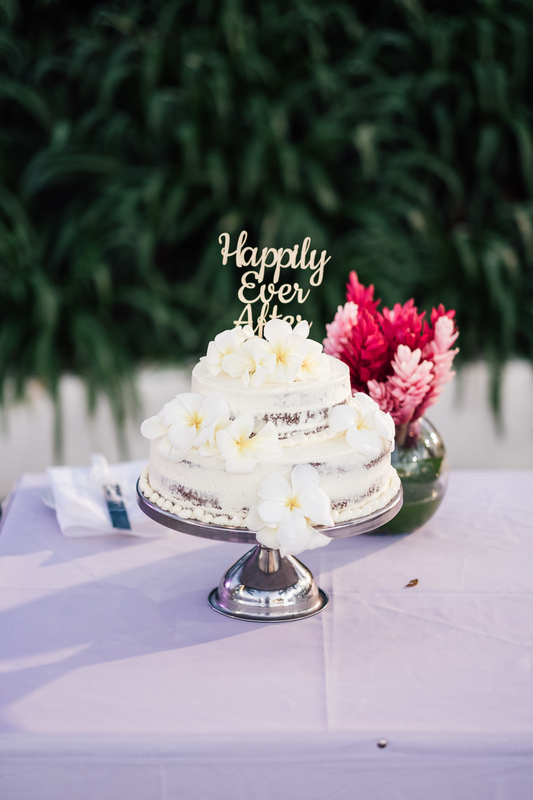 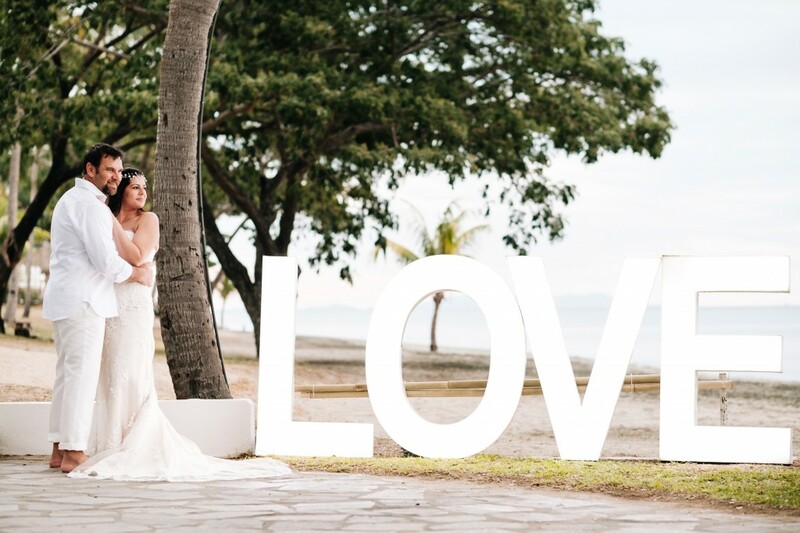 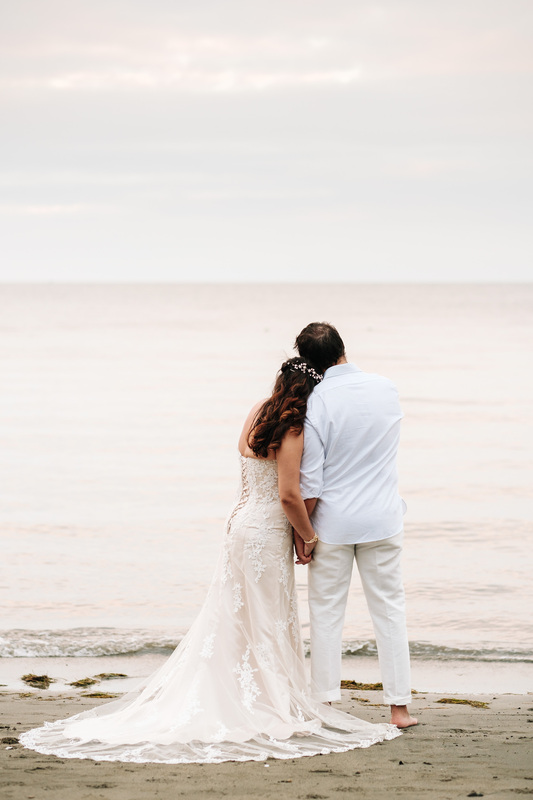 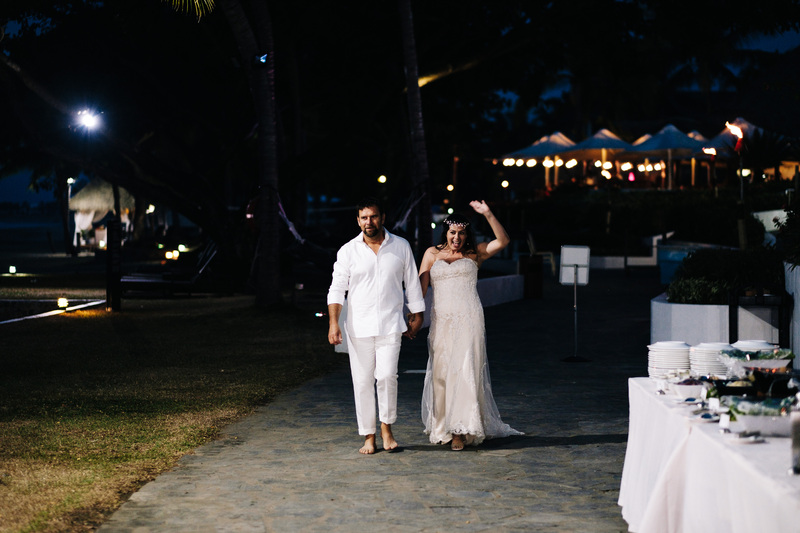 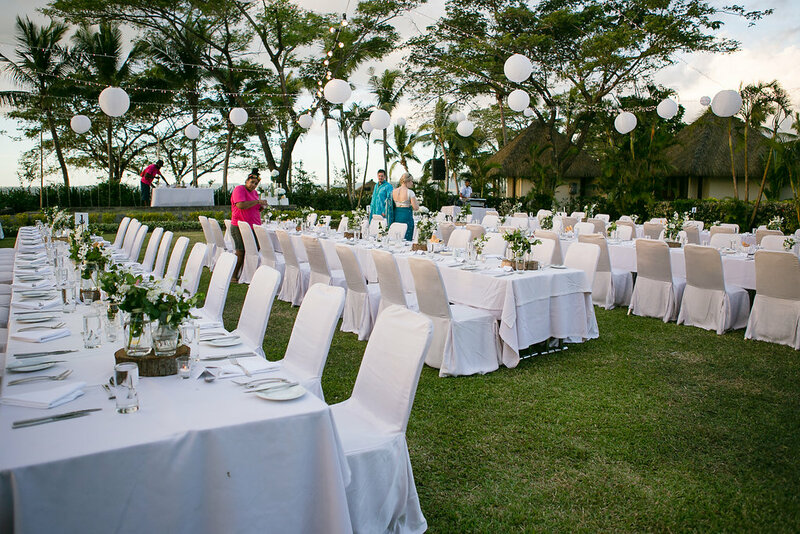 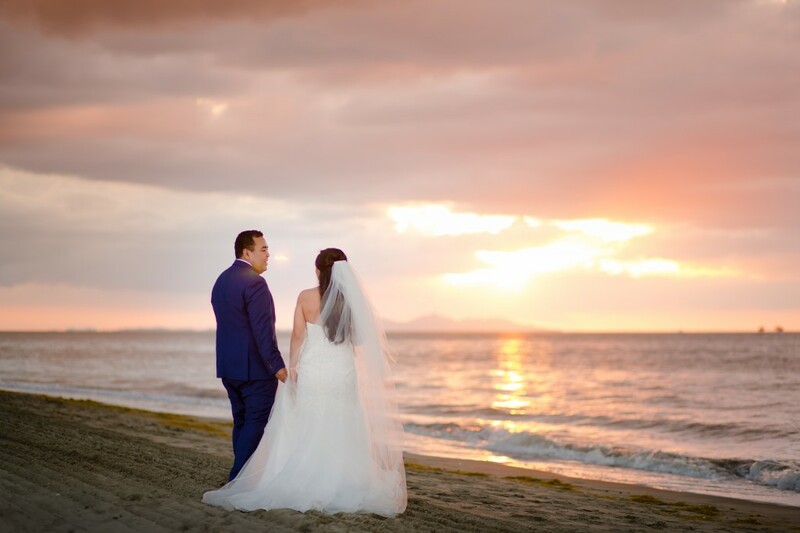 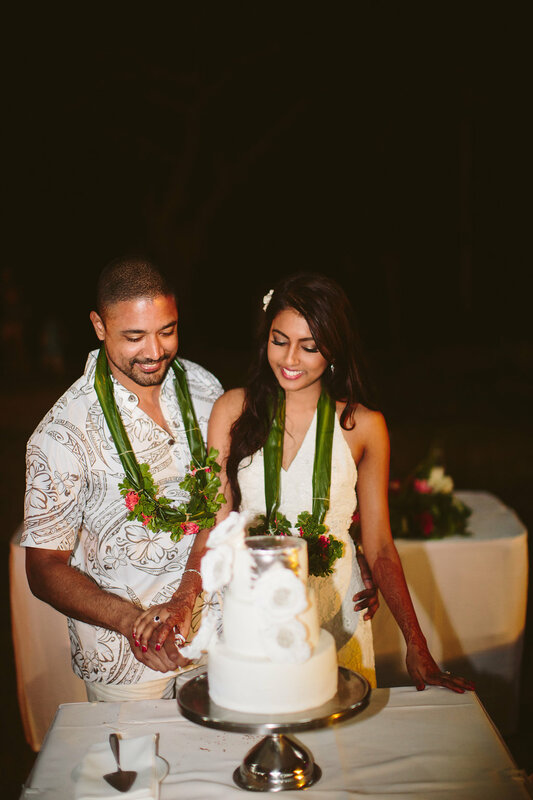 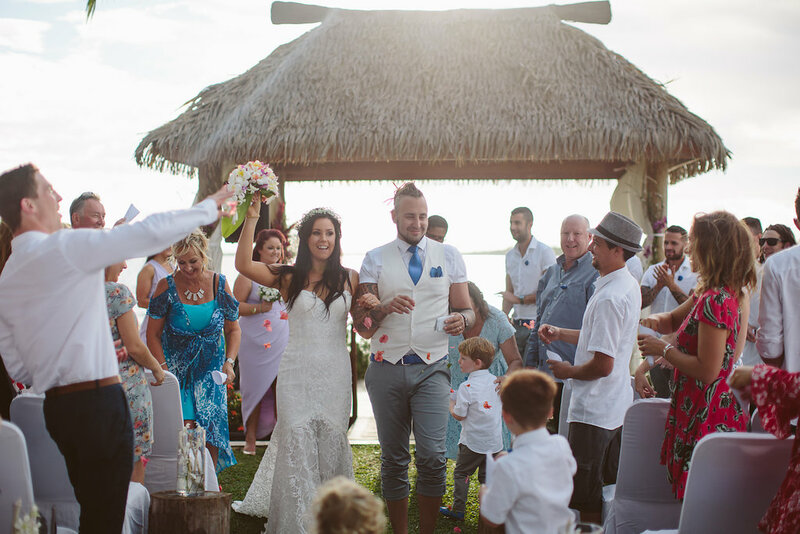 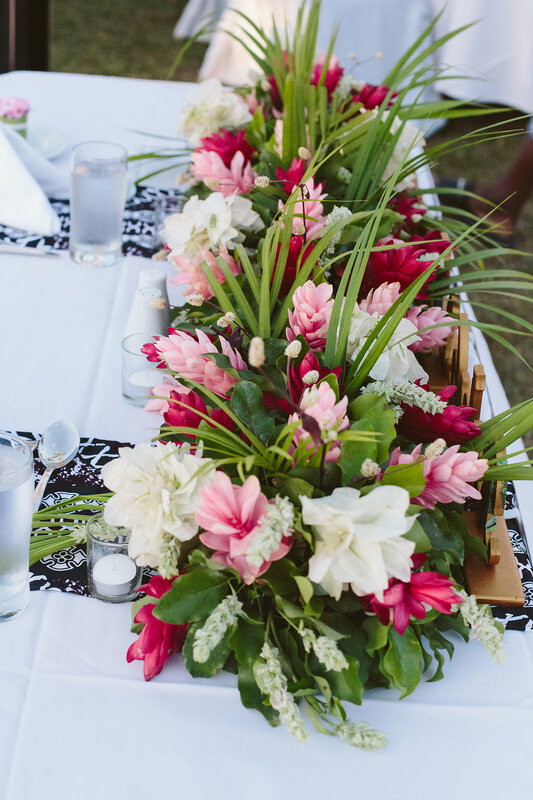 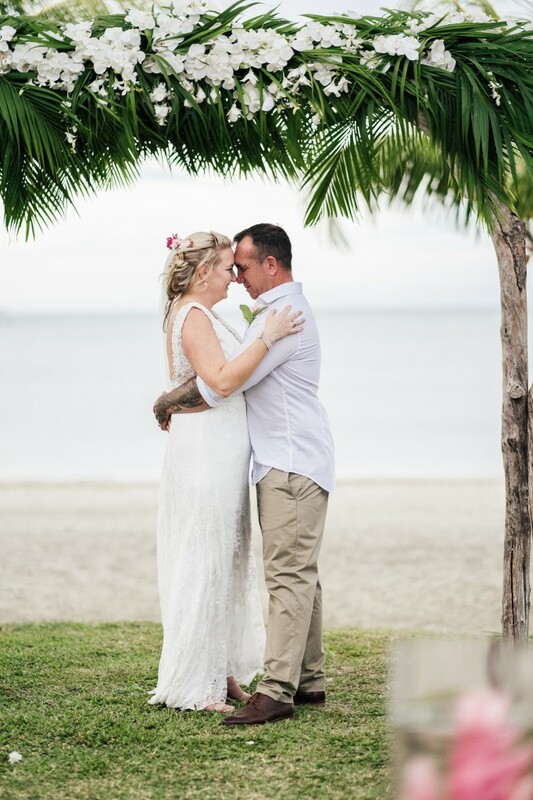 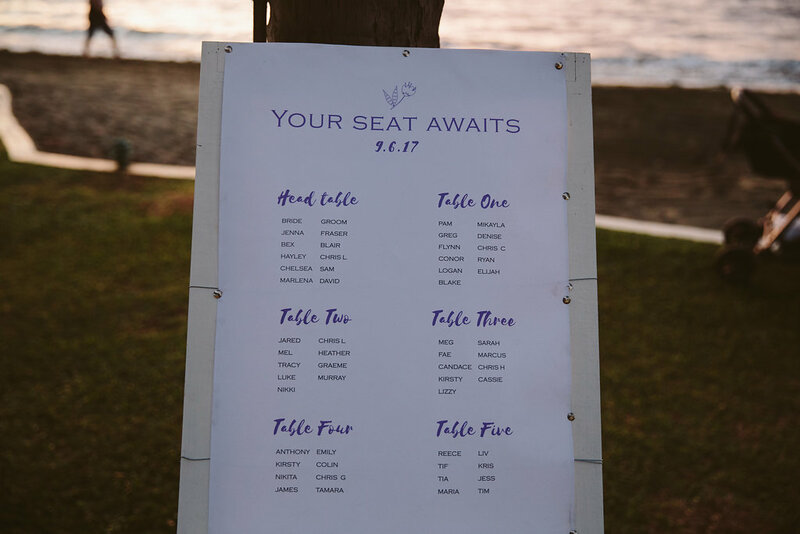 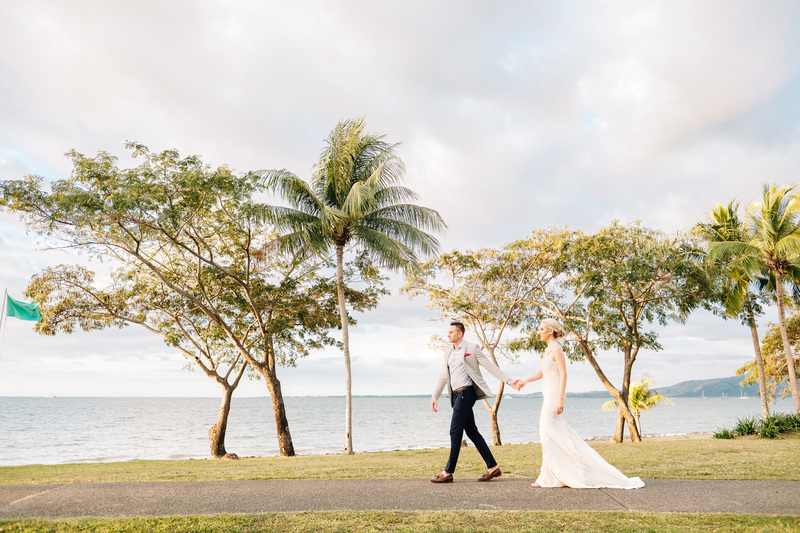 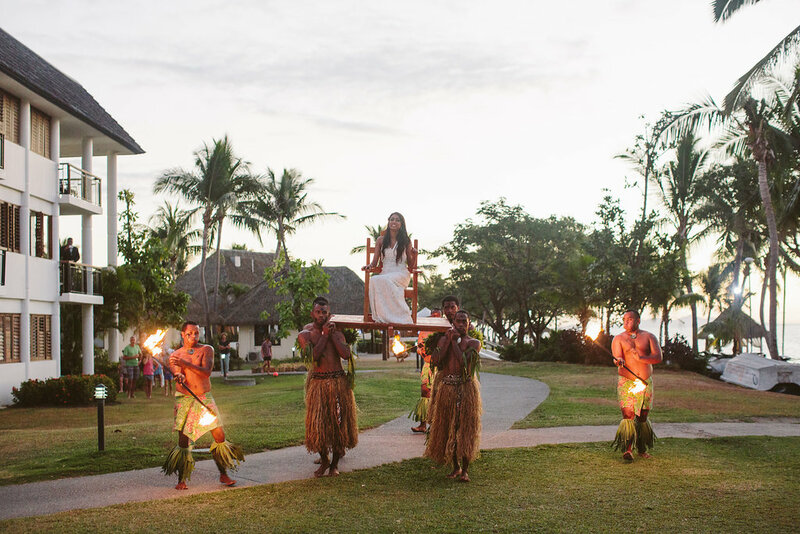 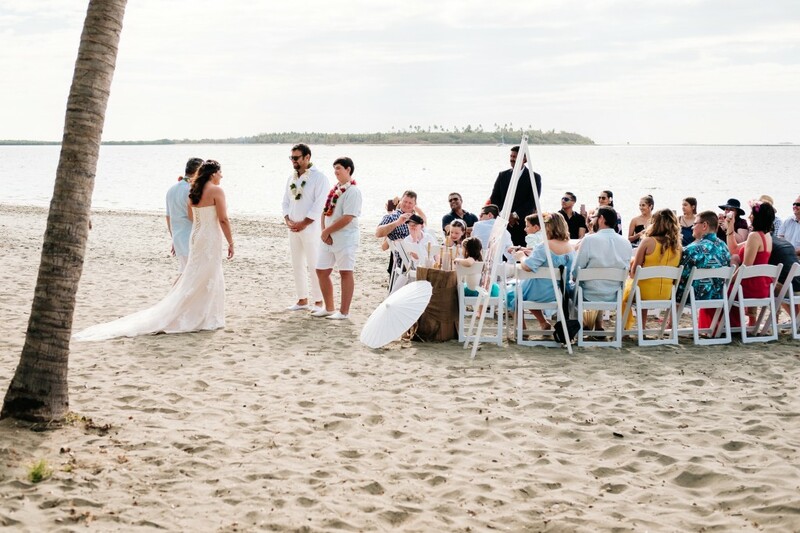 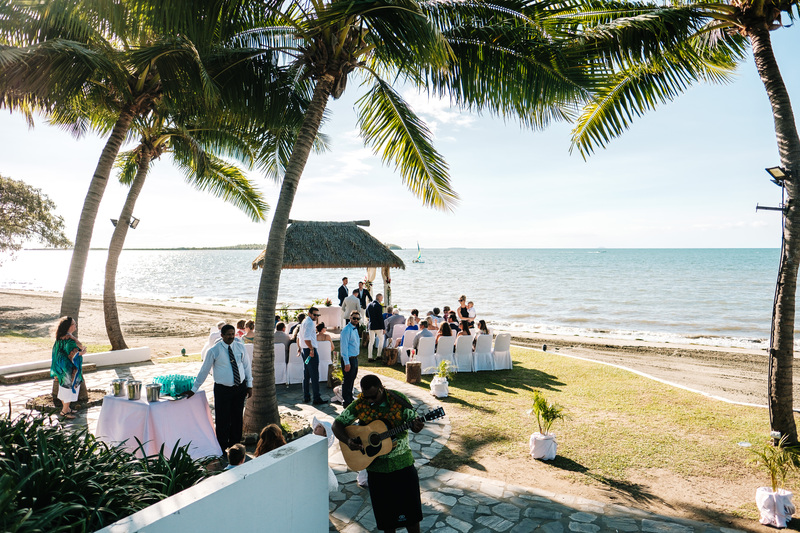 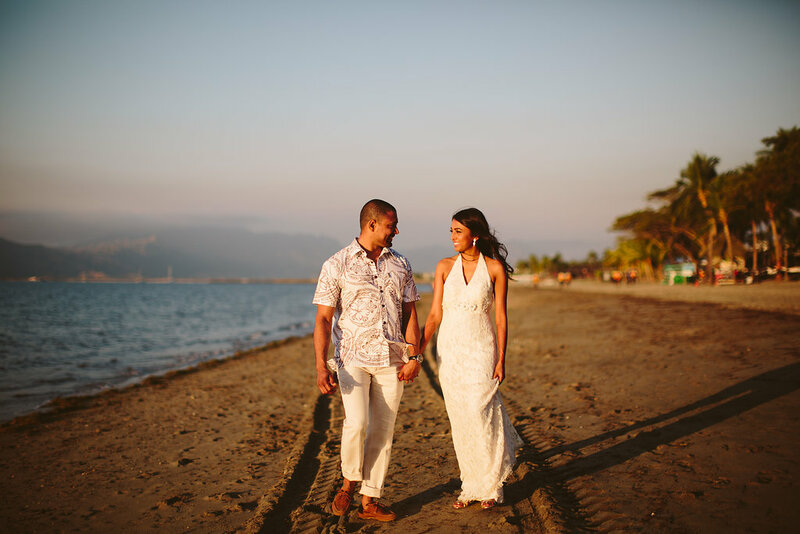 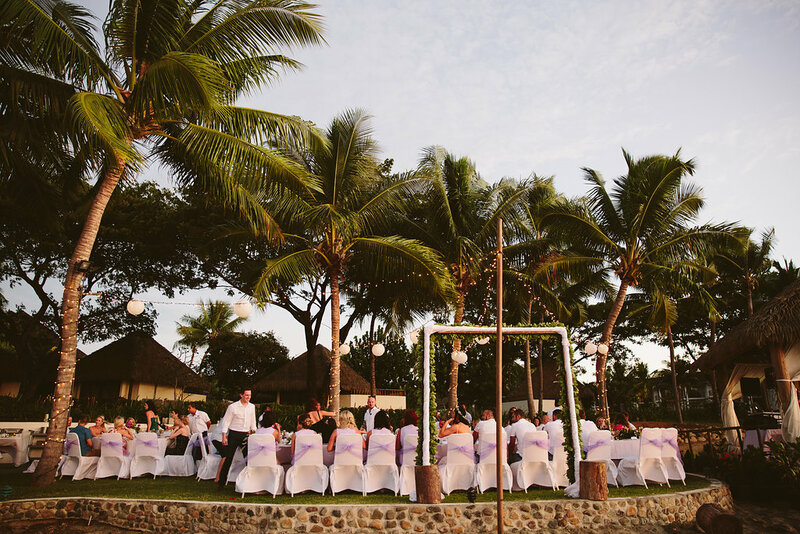 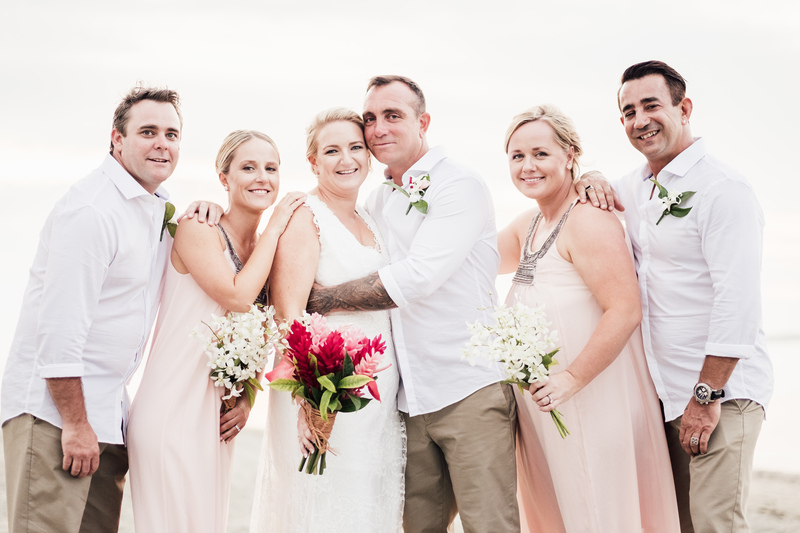 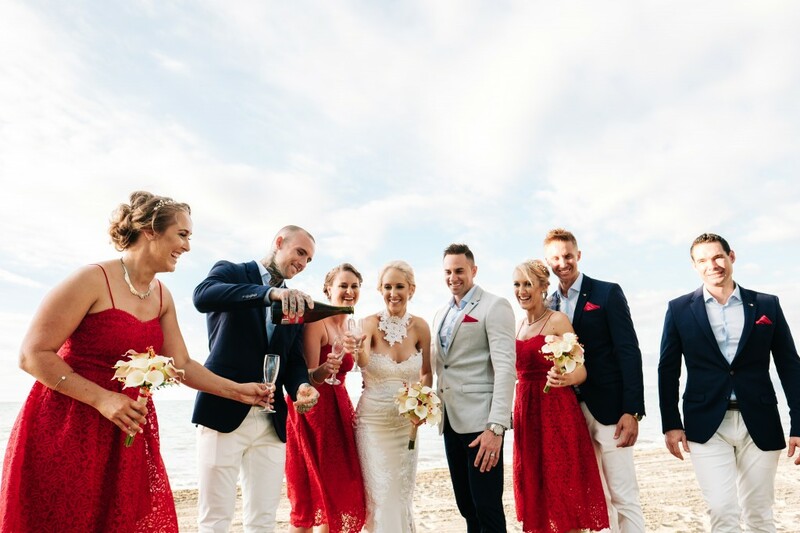 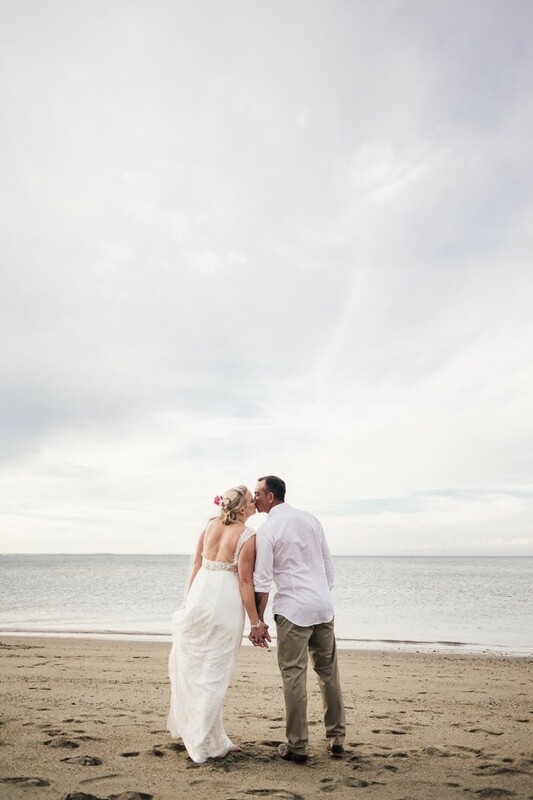 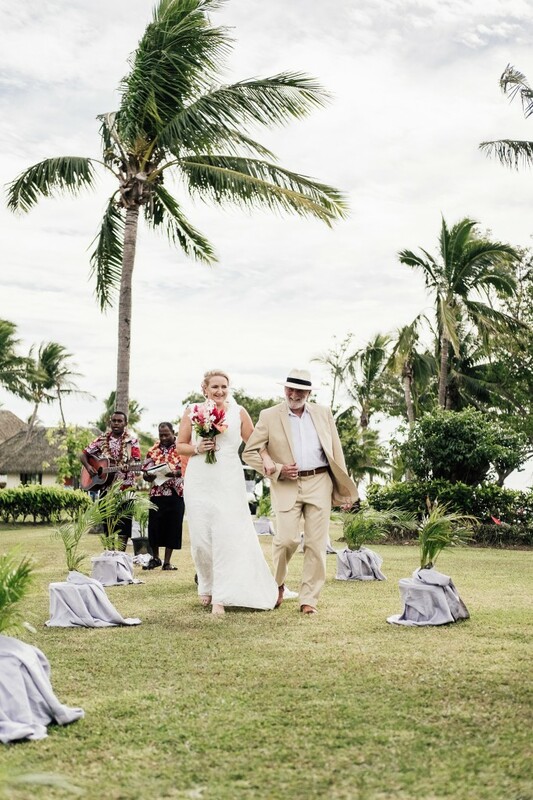 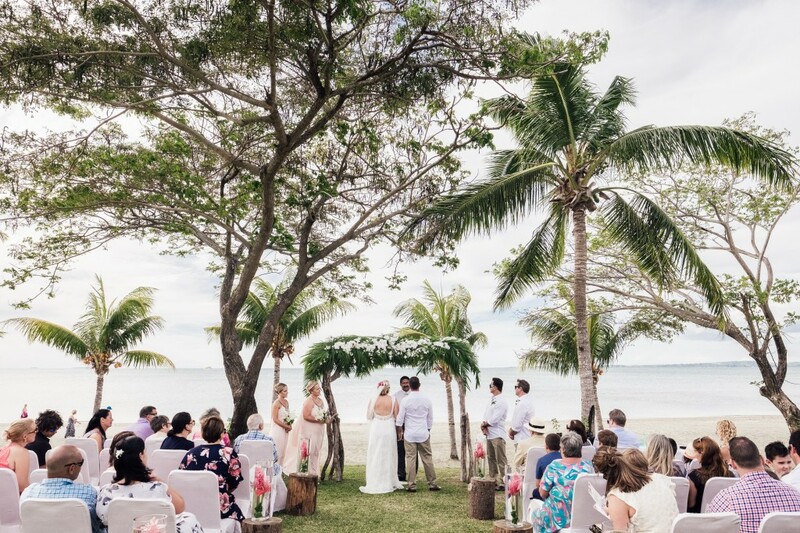 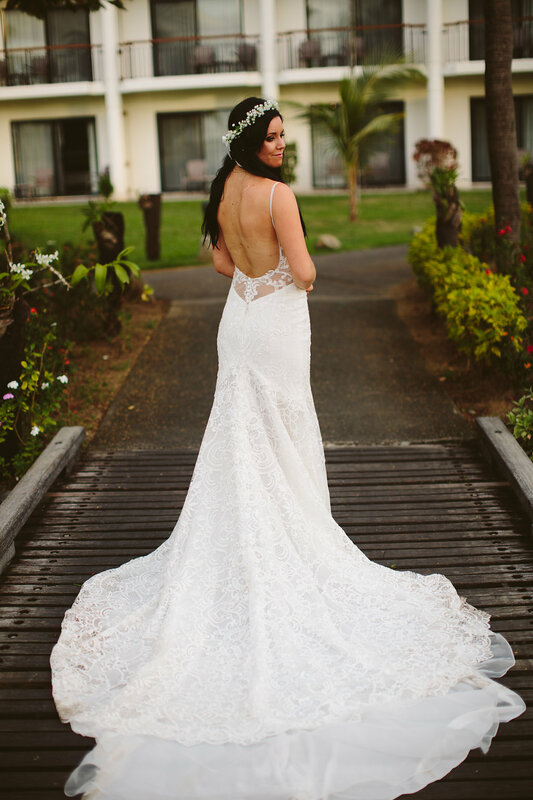 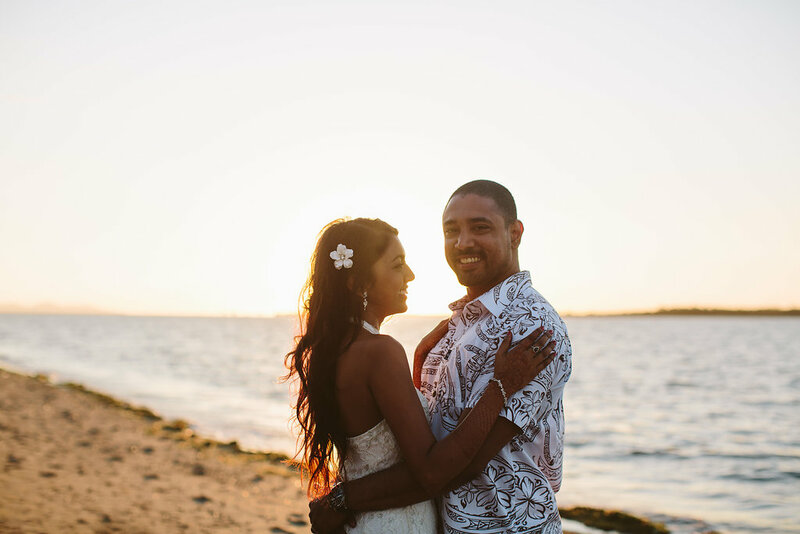 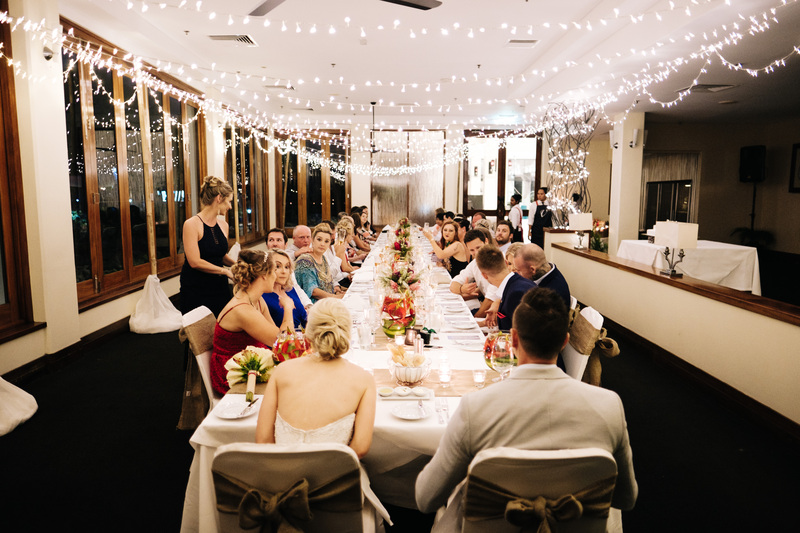 Kelsey & Kurt celebrated their wedding on the North Lawn at the Sofitel Fiji Resort & Spa followed by a reception on the beachfront. 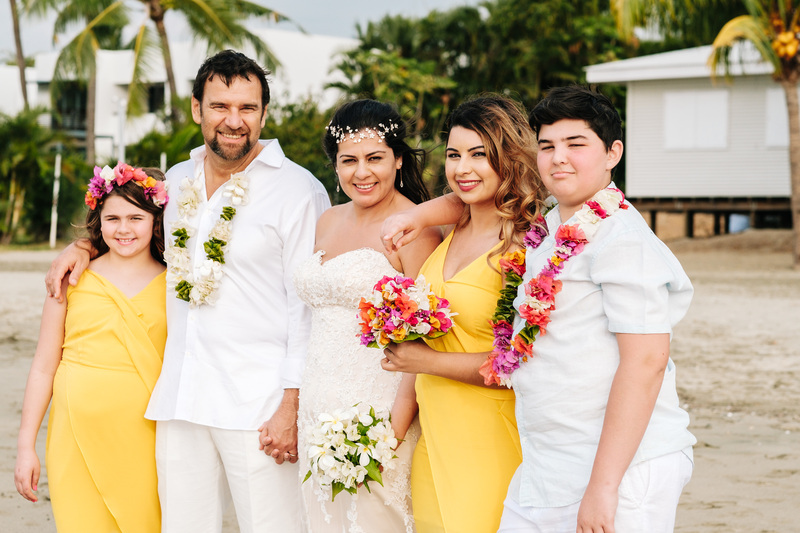 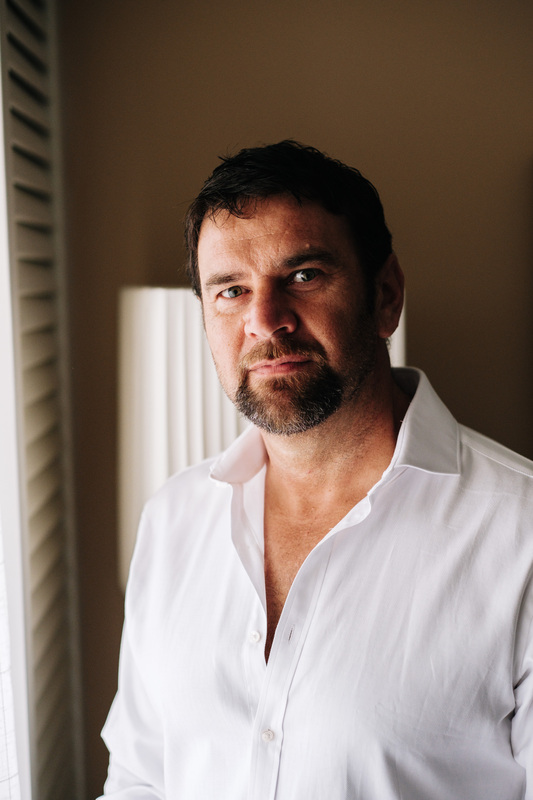 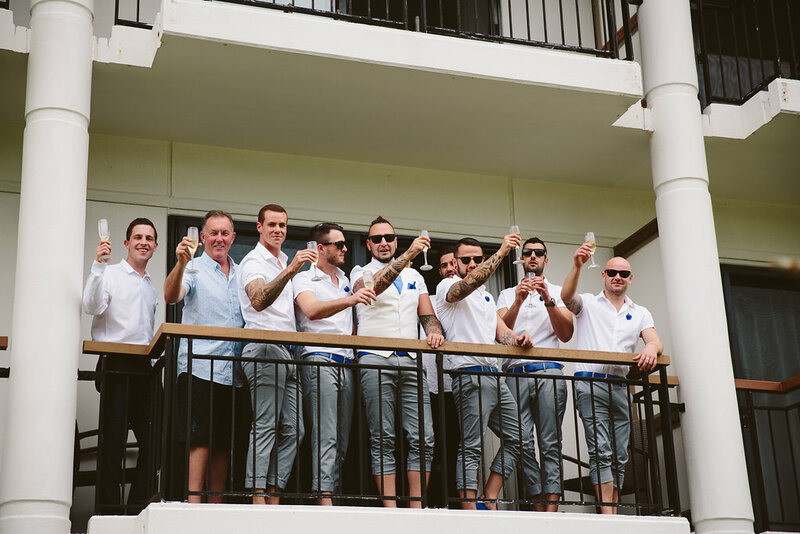 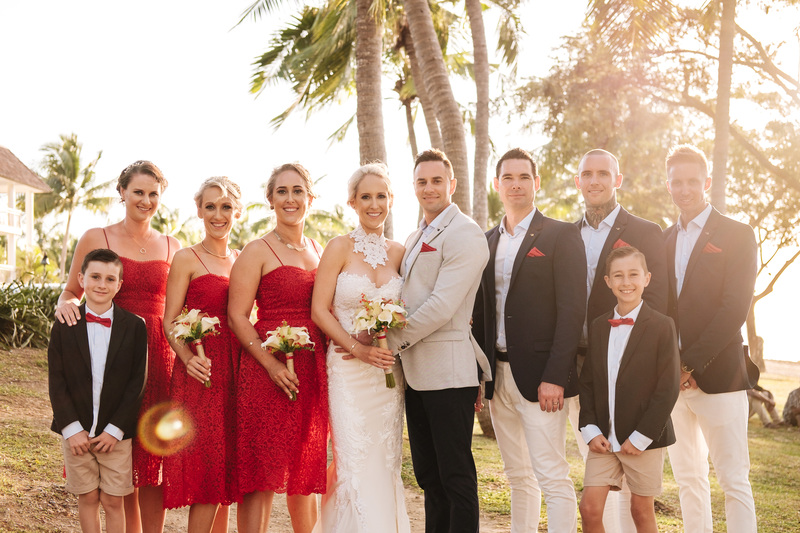 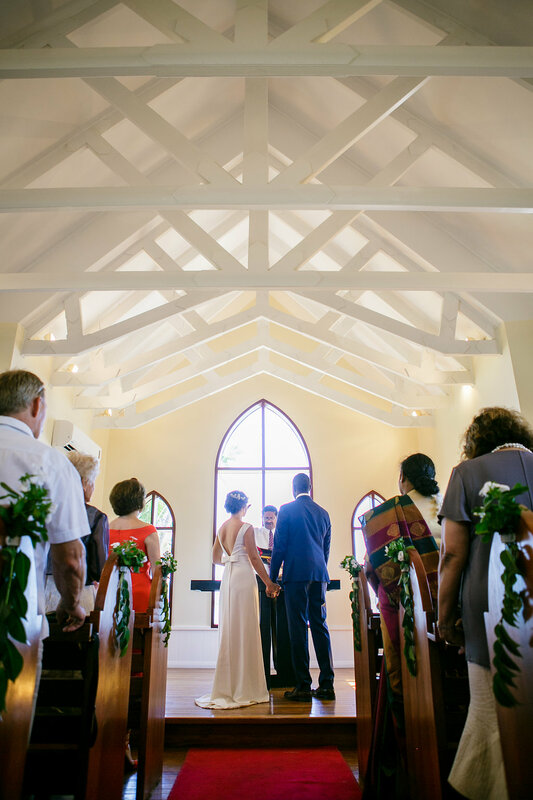 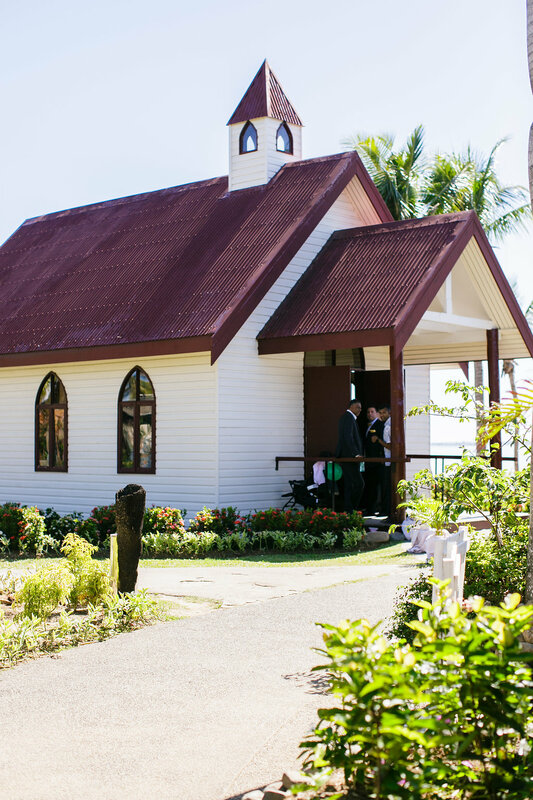 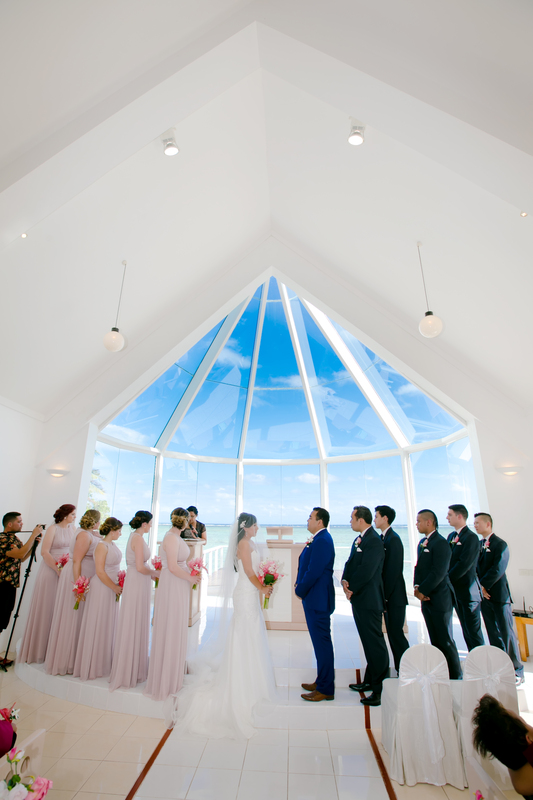 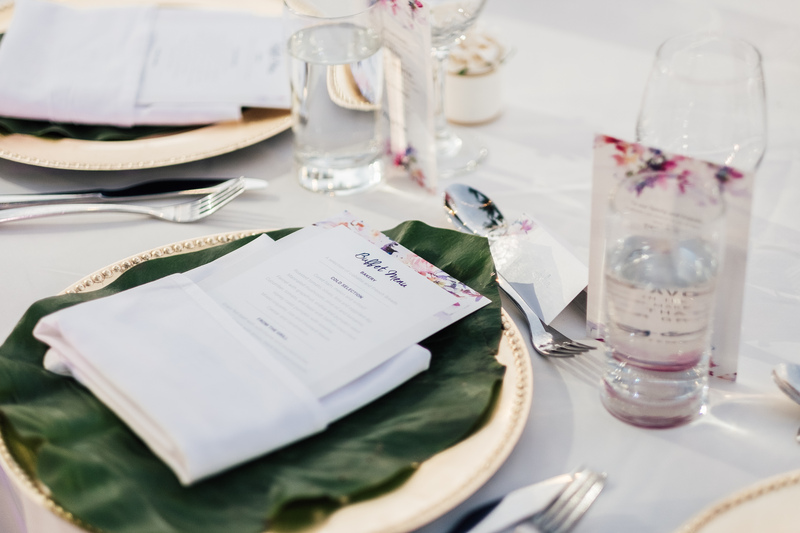 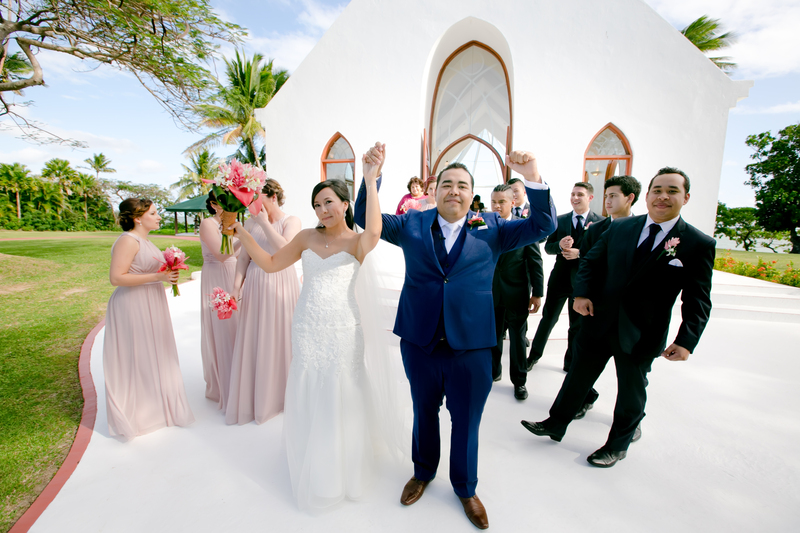 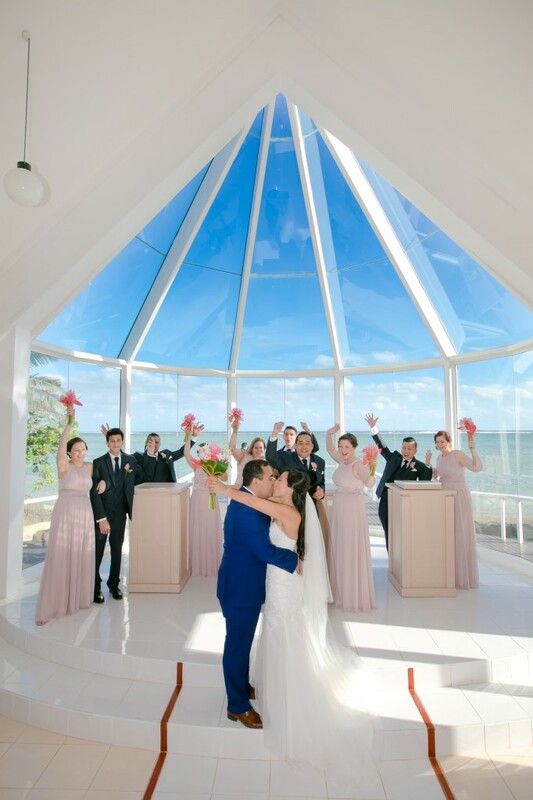 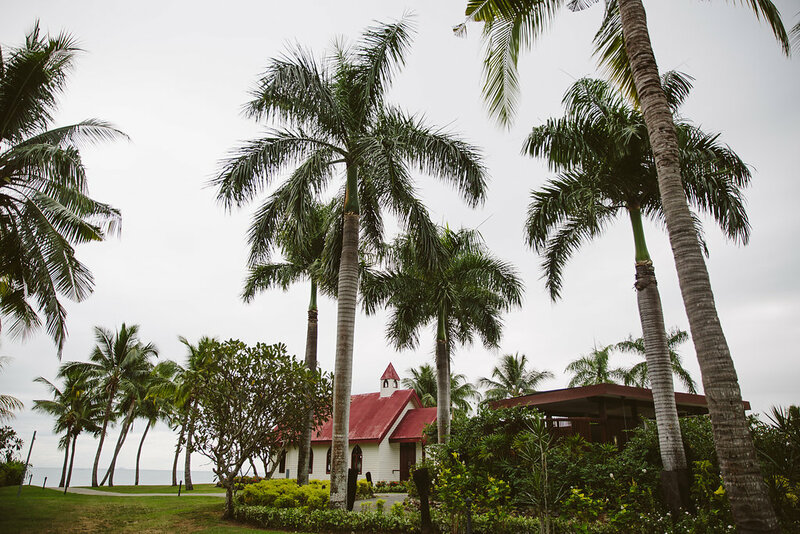 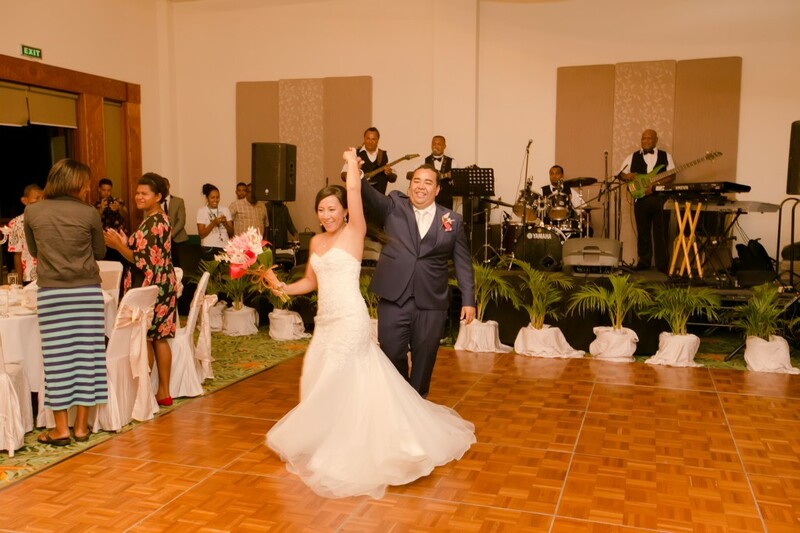 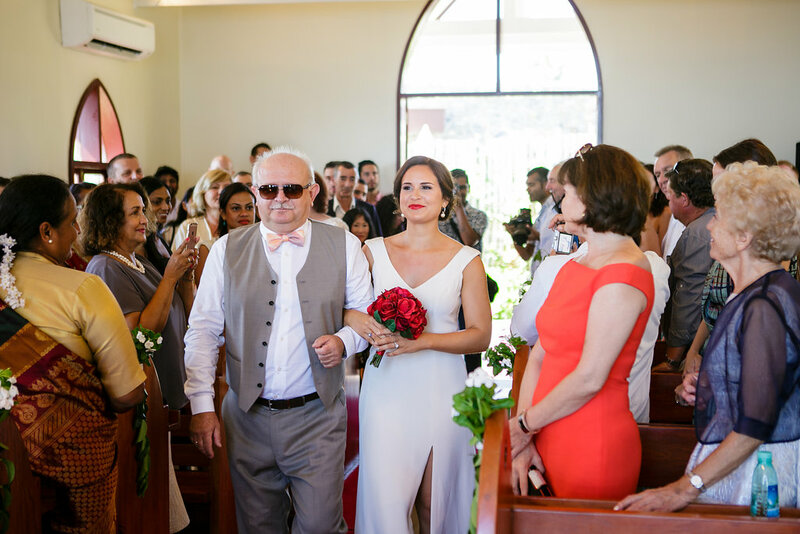 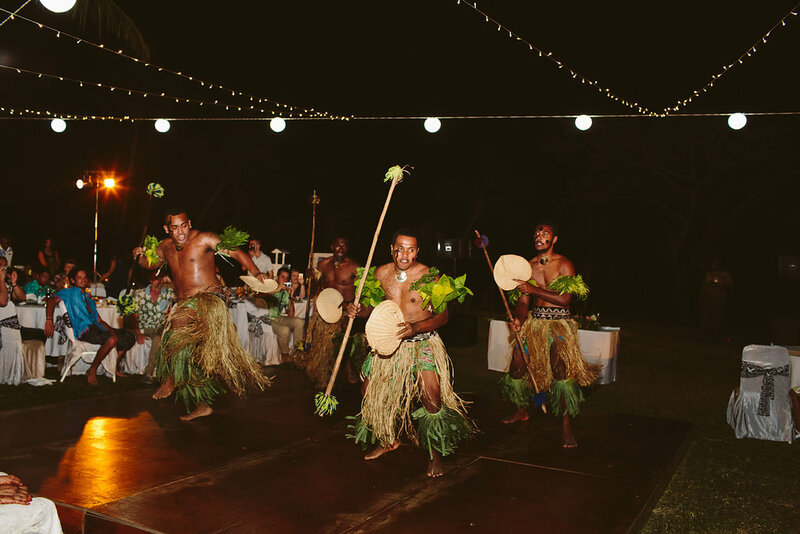 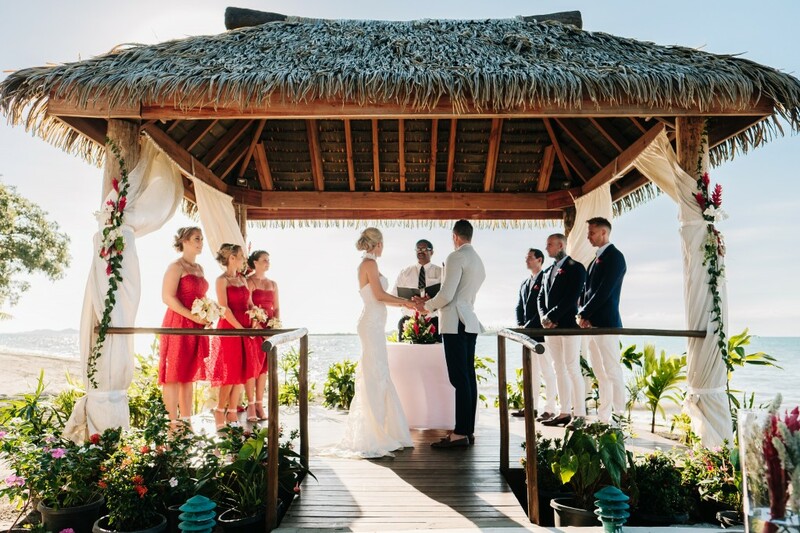 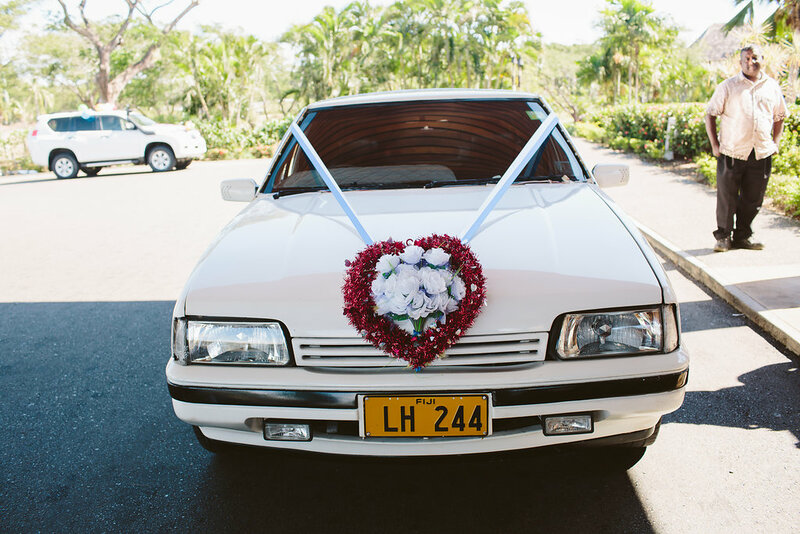 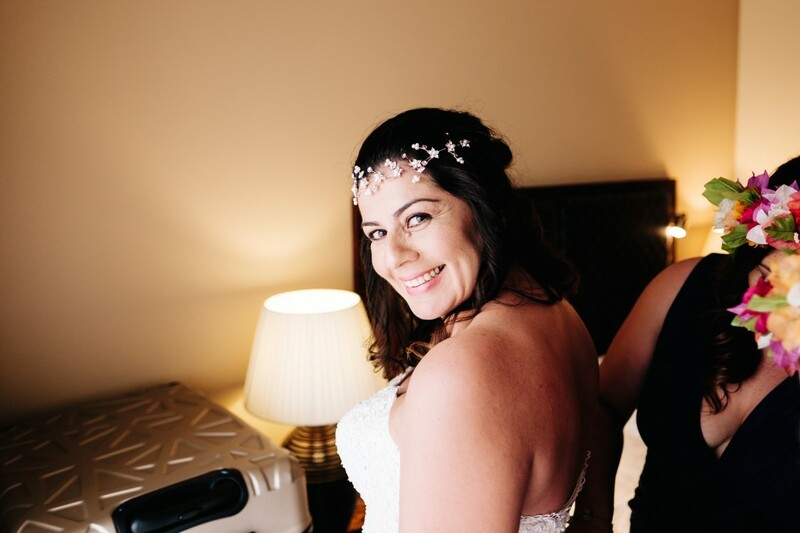 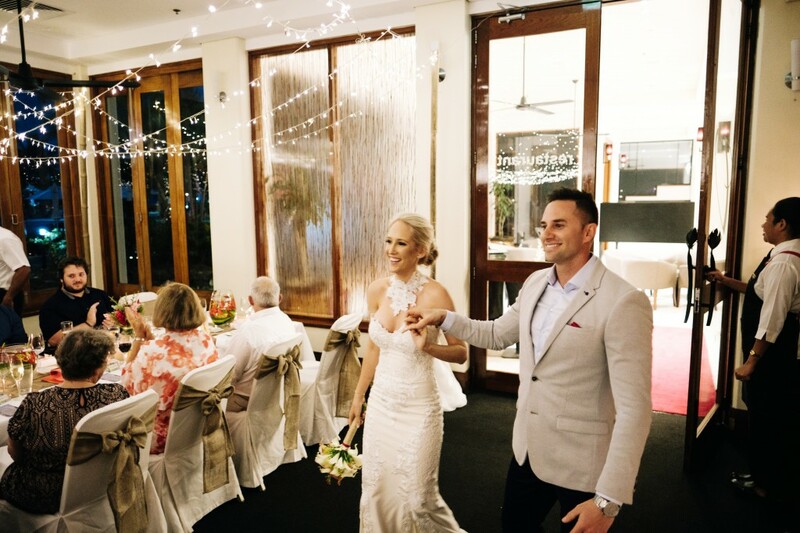 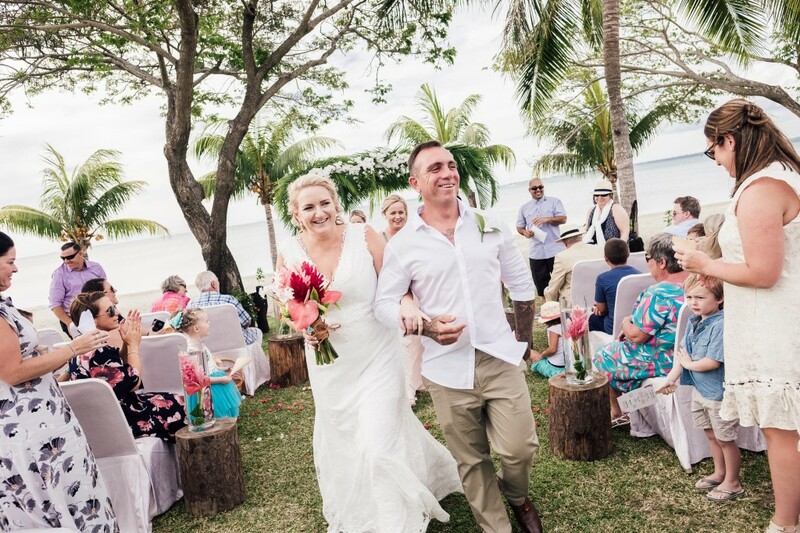 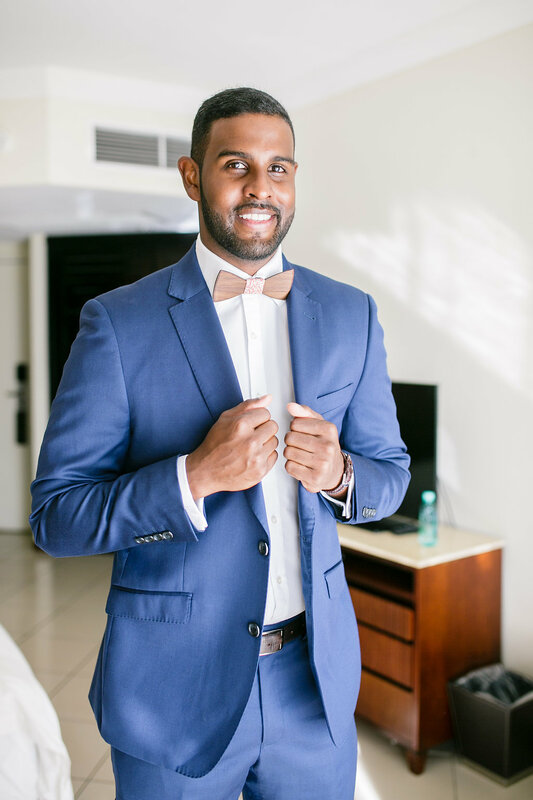 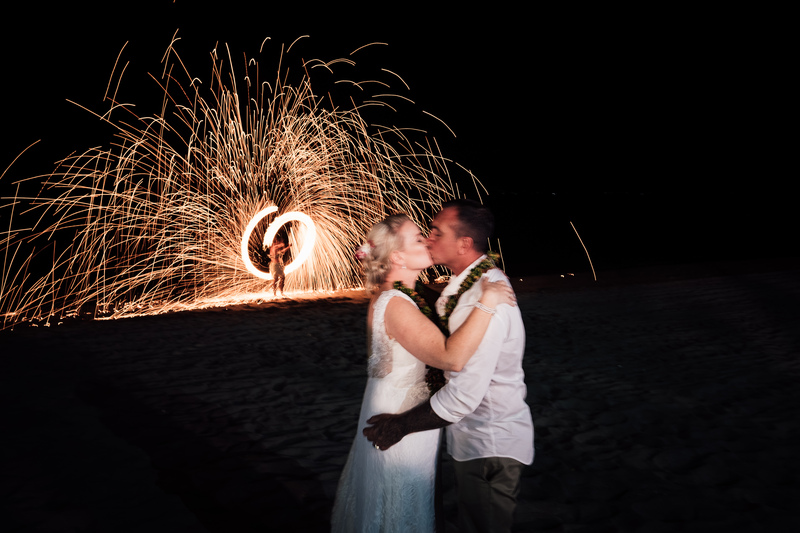 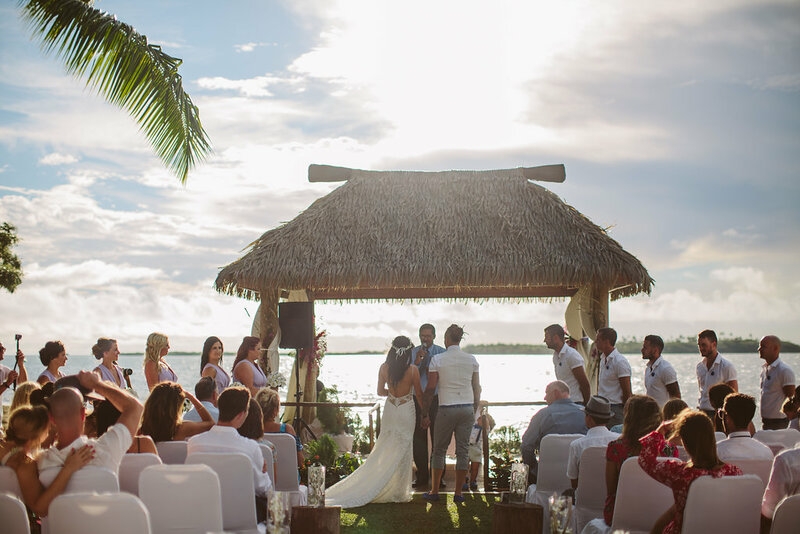 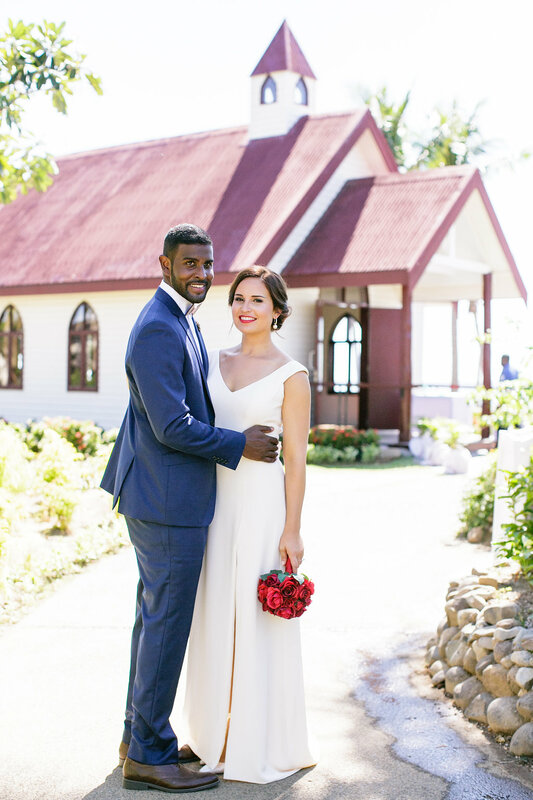 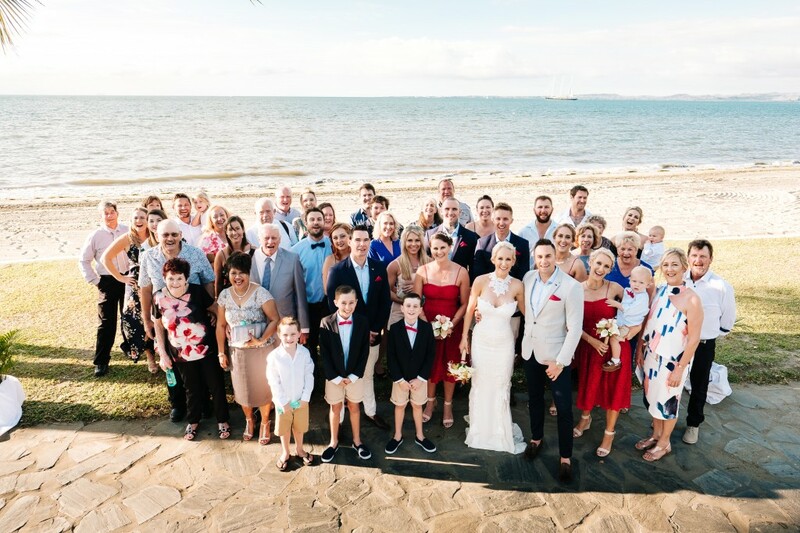 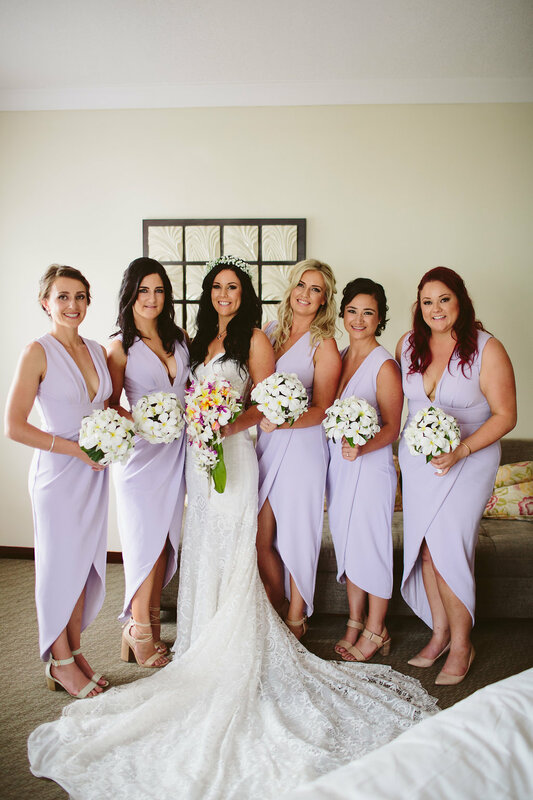 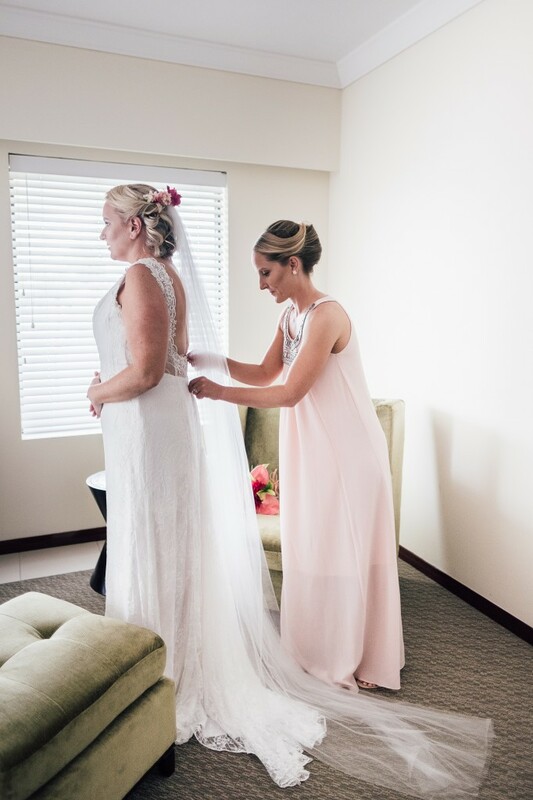 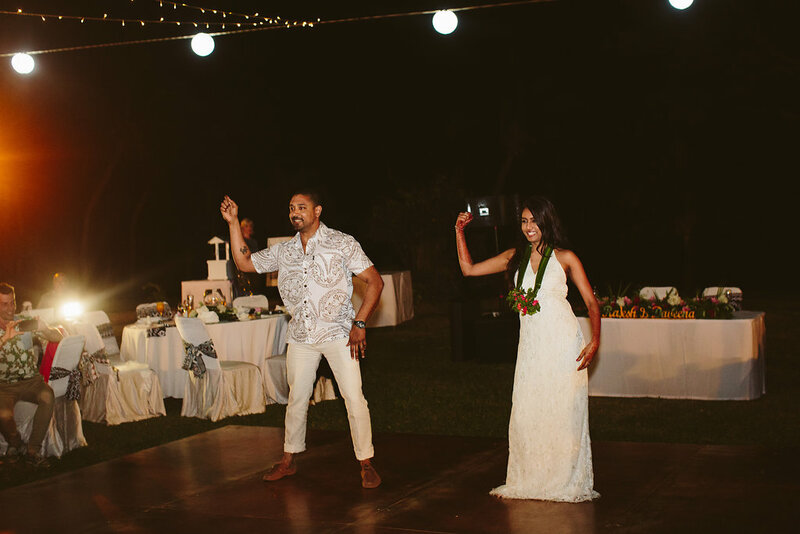 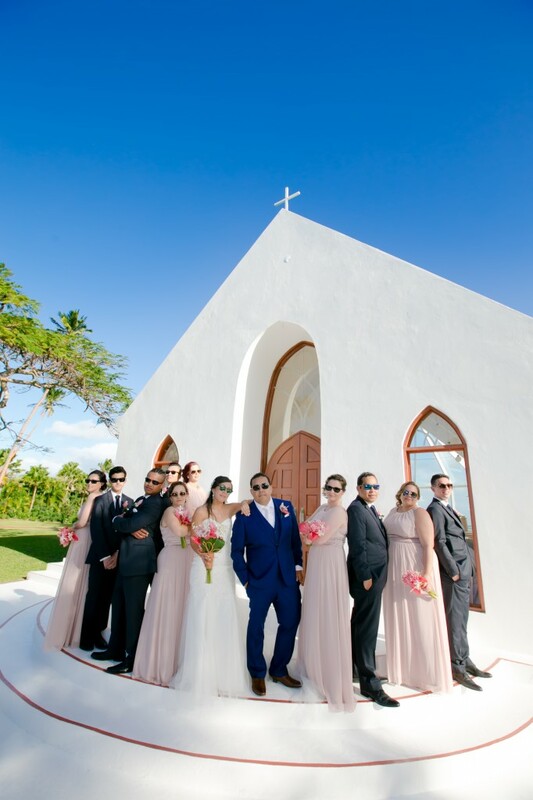 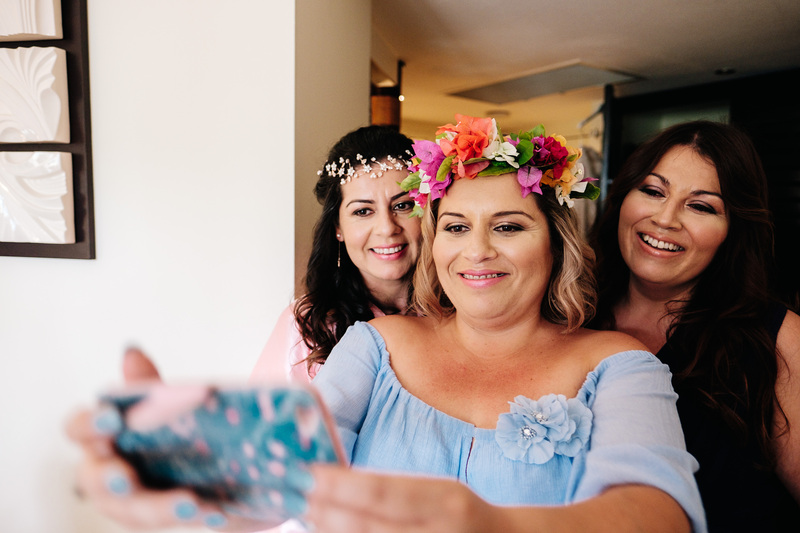 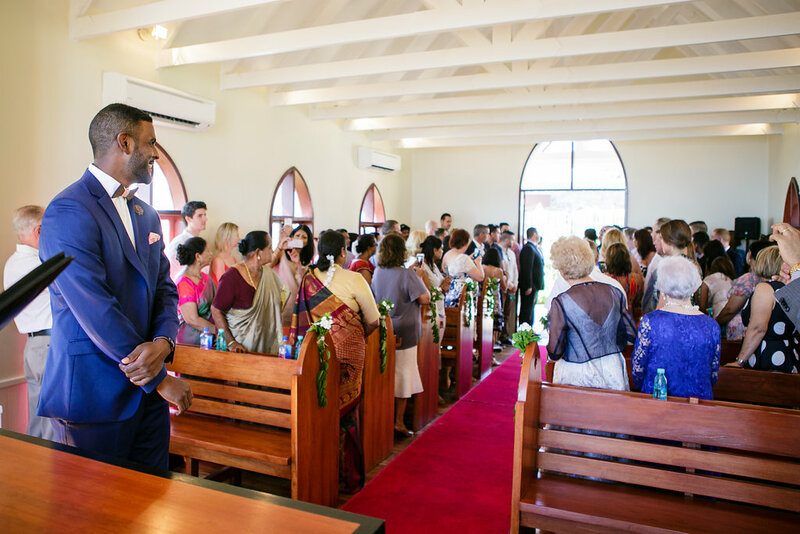 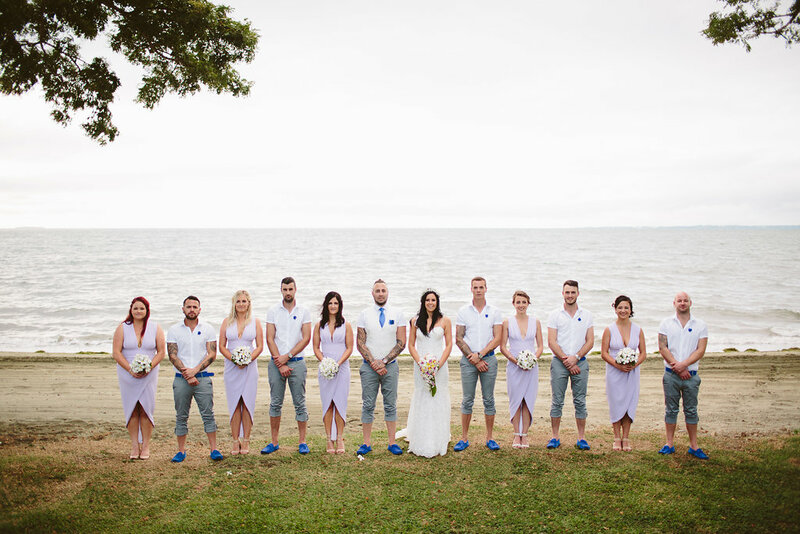 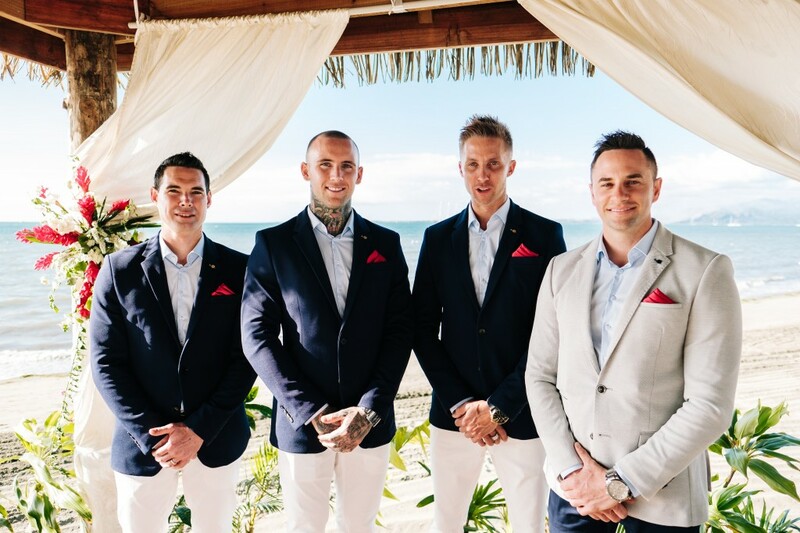 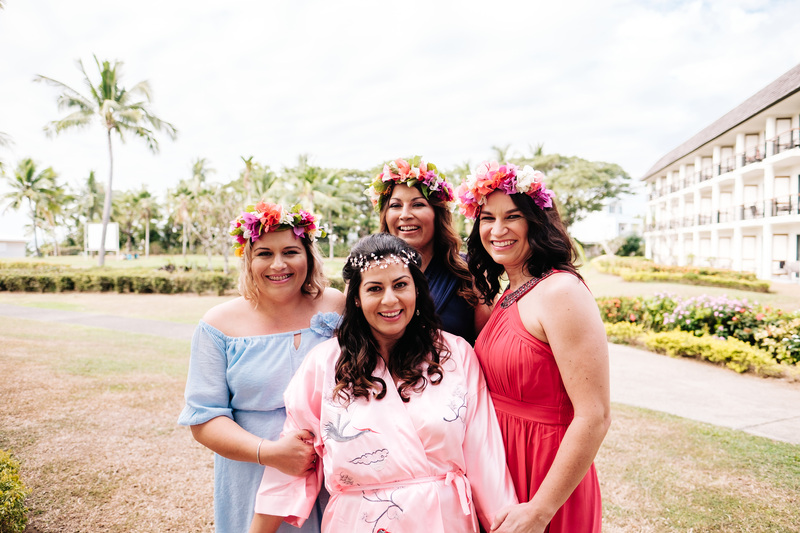 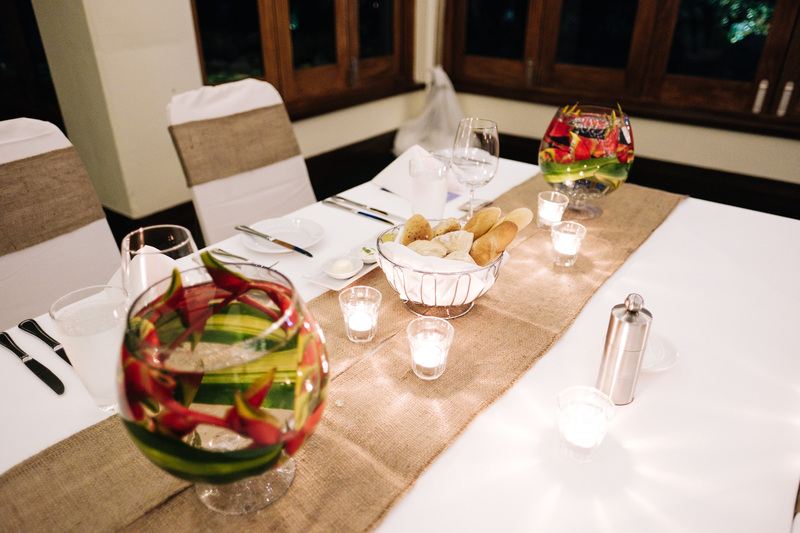 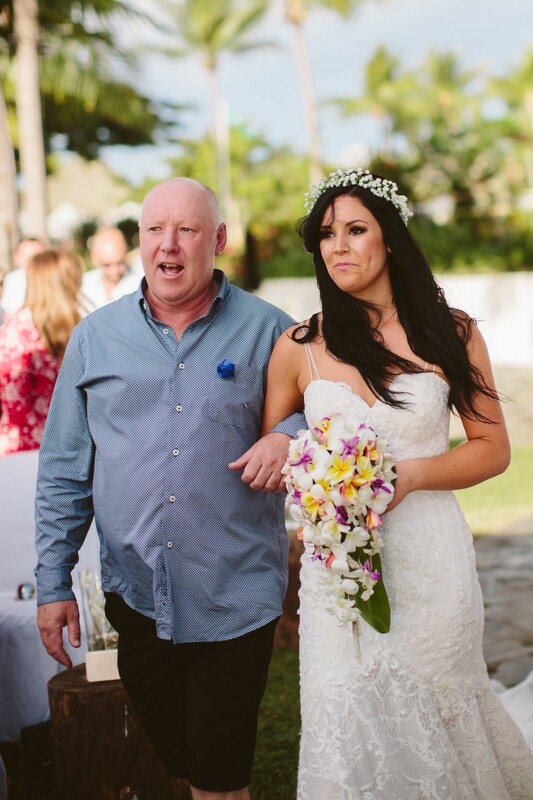 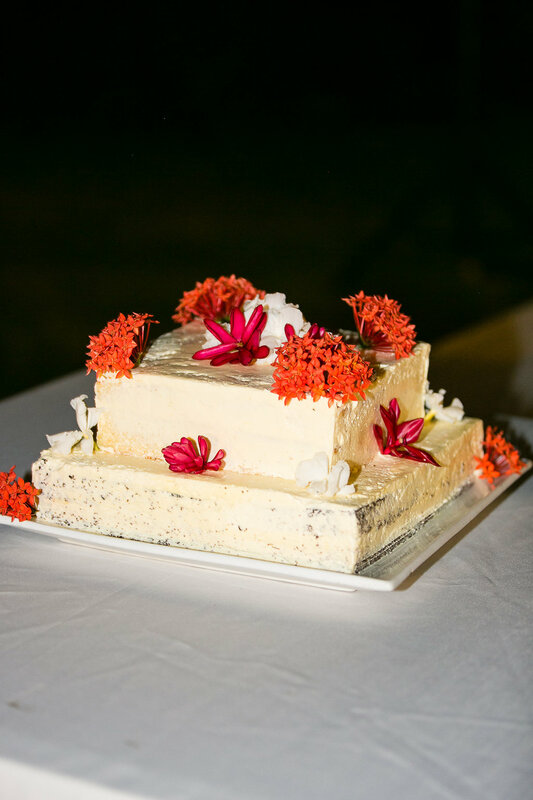 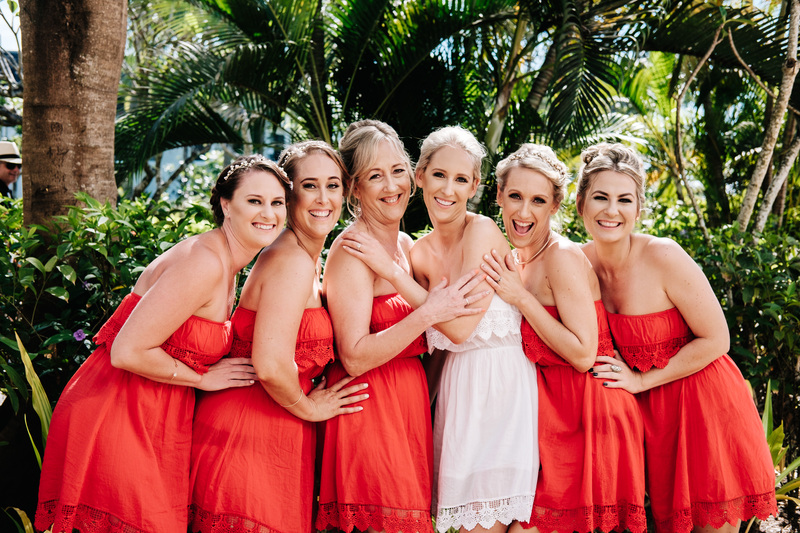 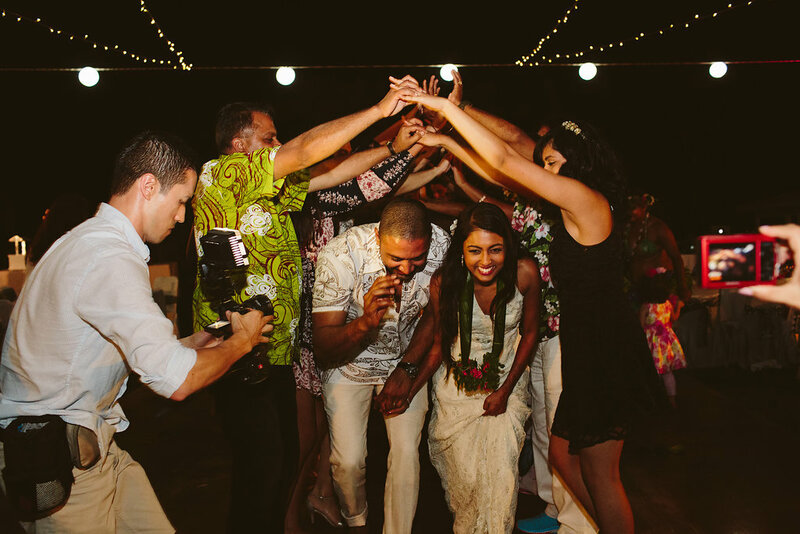 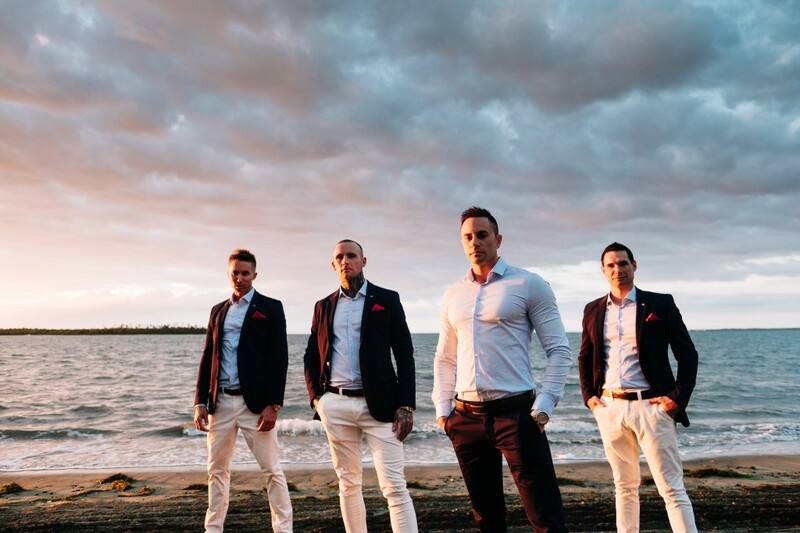 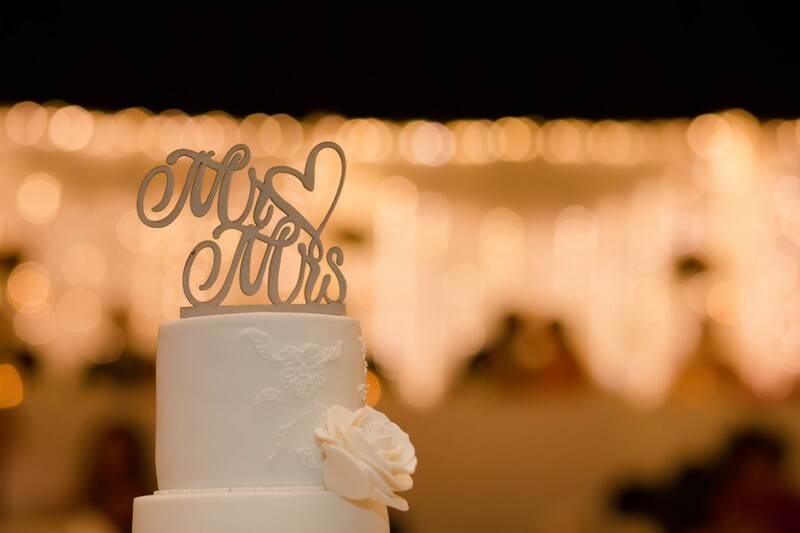 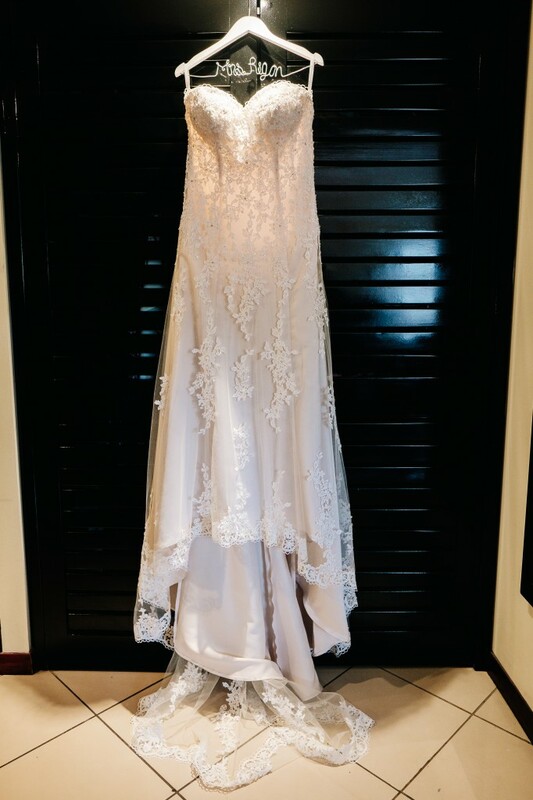 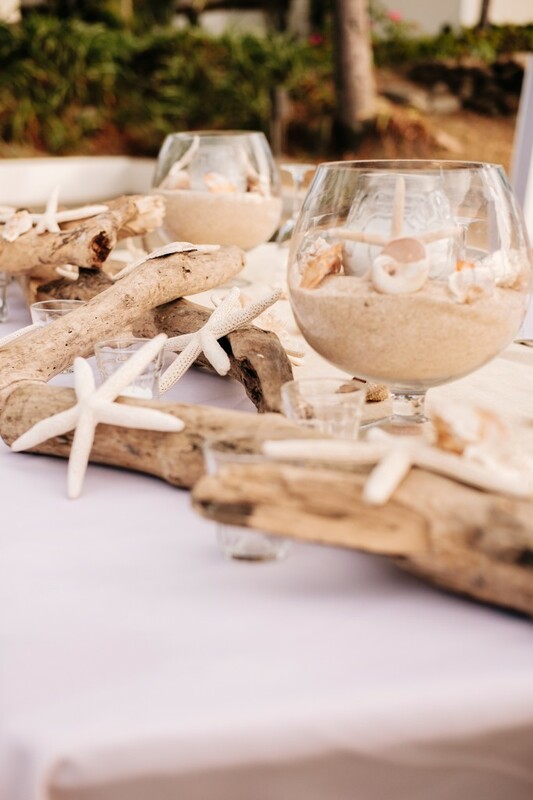 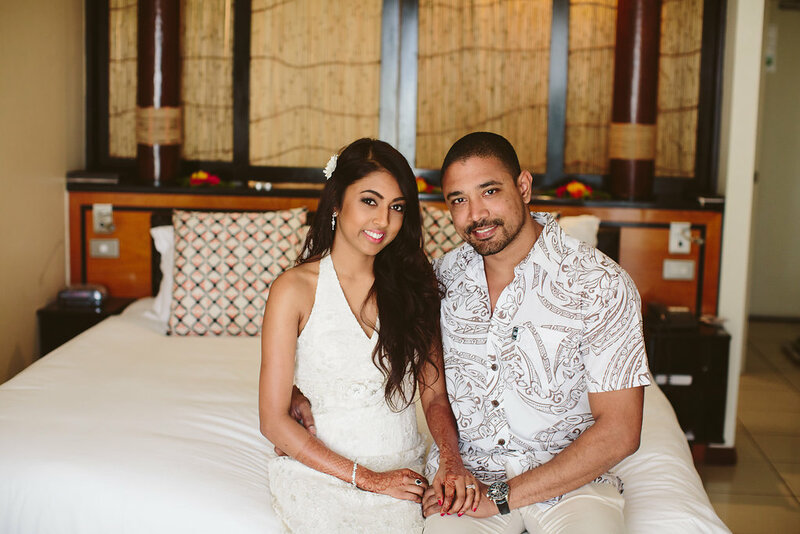 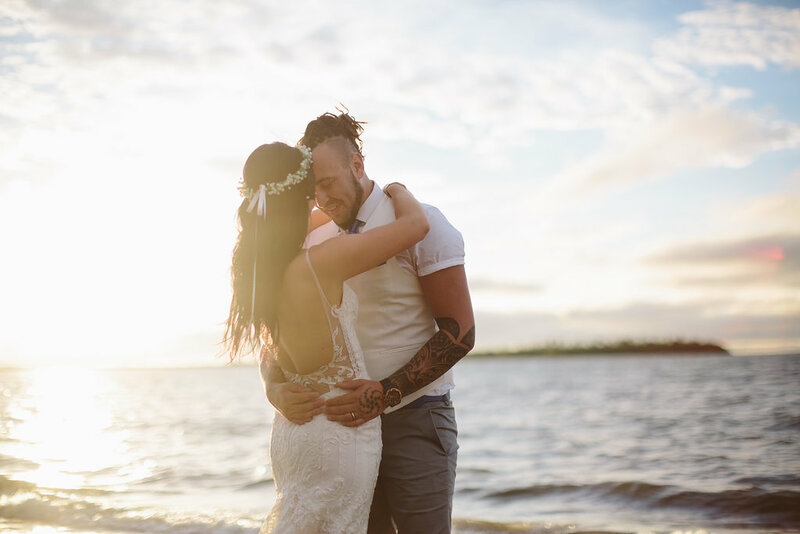 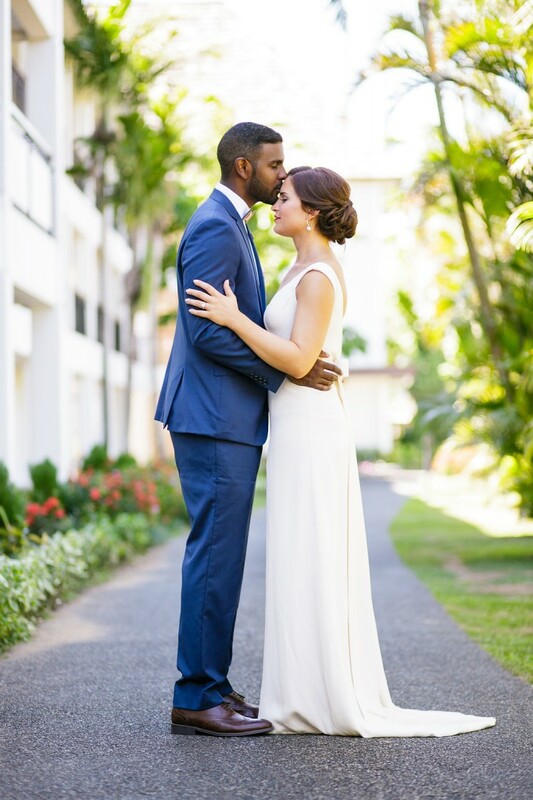 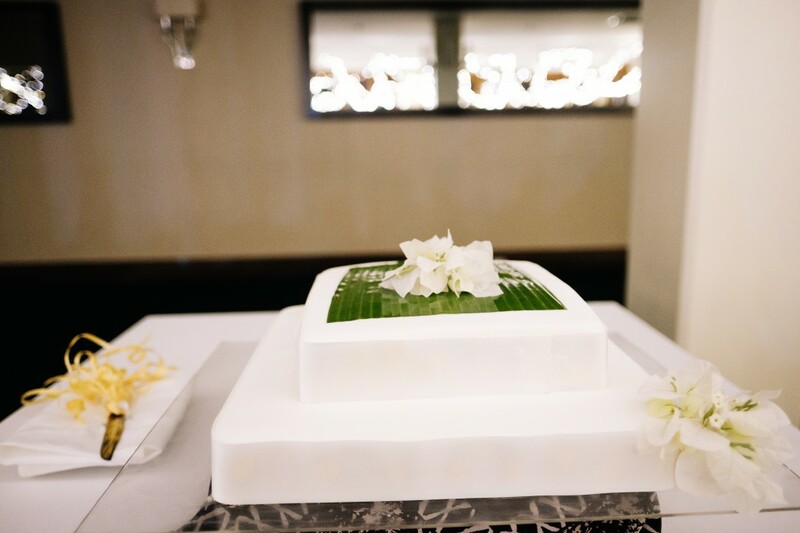 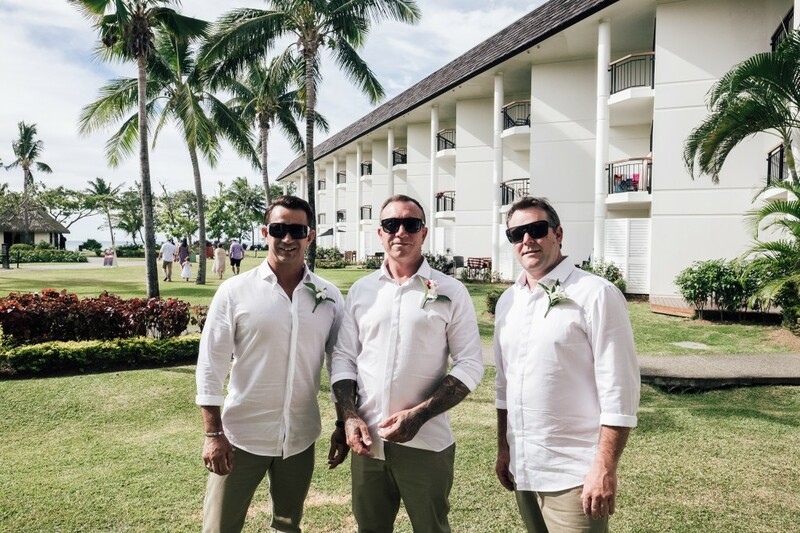 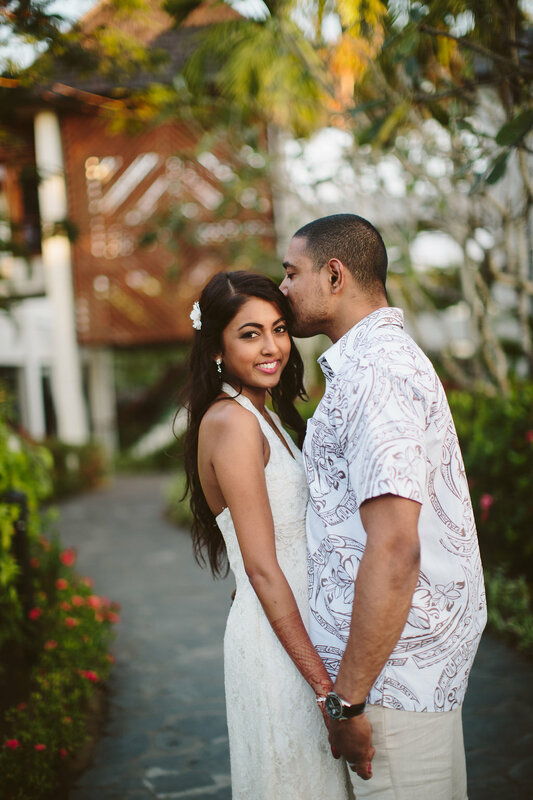 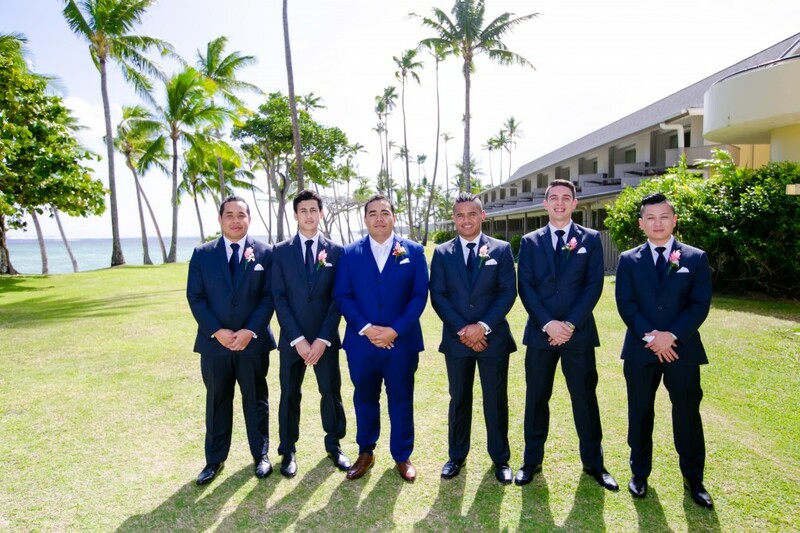 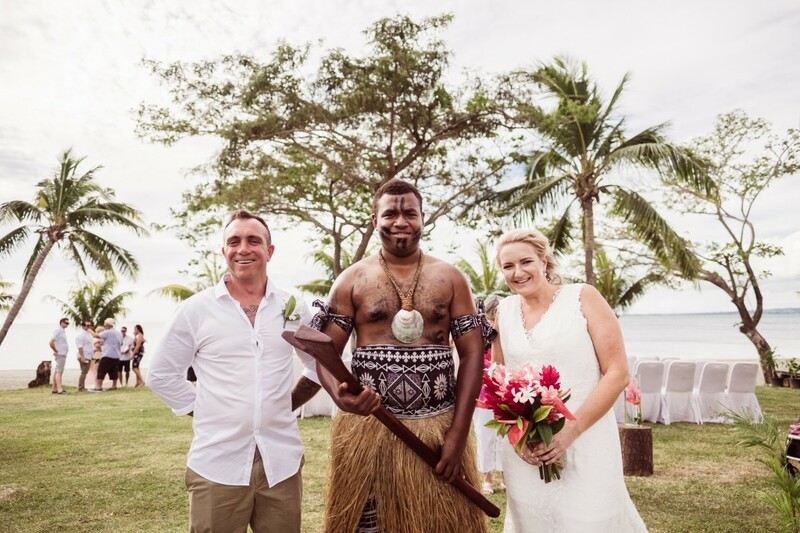 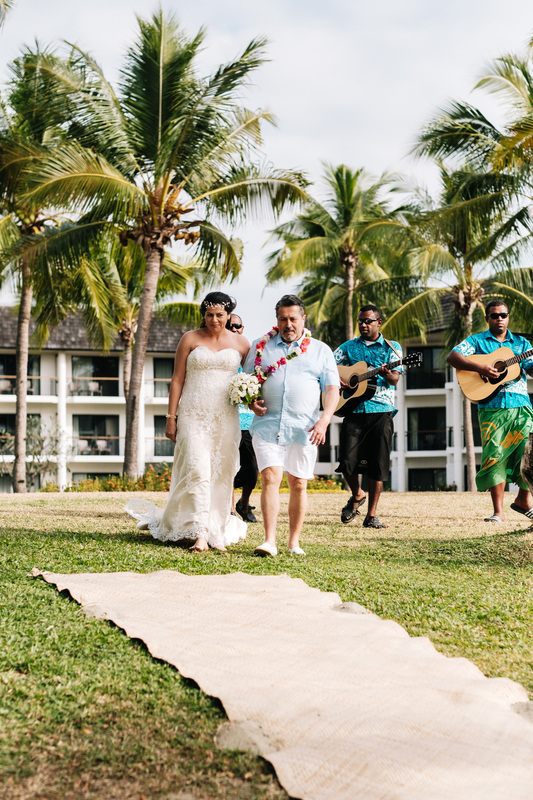 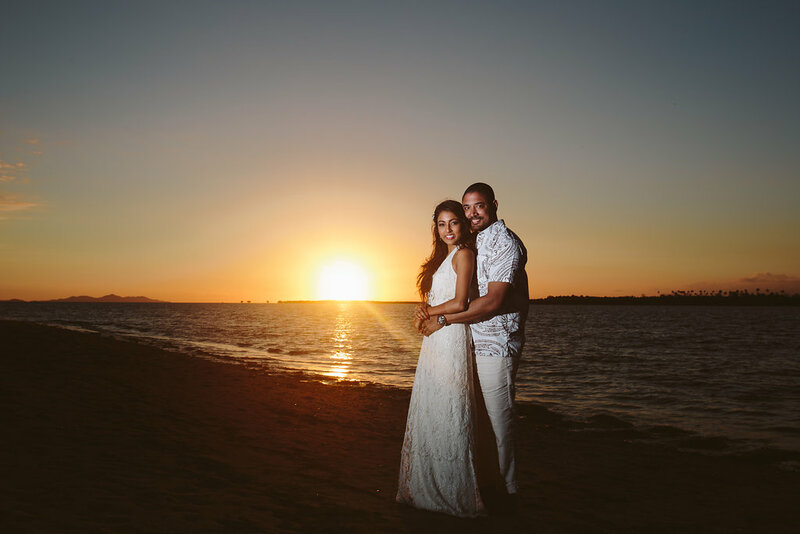 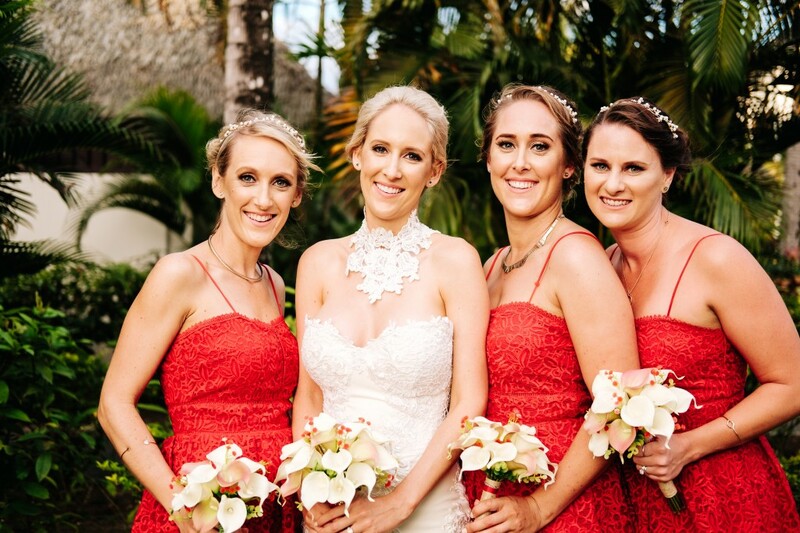 Pamela & Gregory held their ceremony at the stunning Chapel at the Shangri-La Fijian Resort & Spa on the Coral Coast, we then bussed all the wedding guest up to the Sofitel Fiji Resort & Spa in Denarau for the reception which was held in the ballroom. 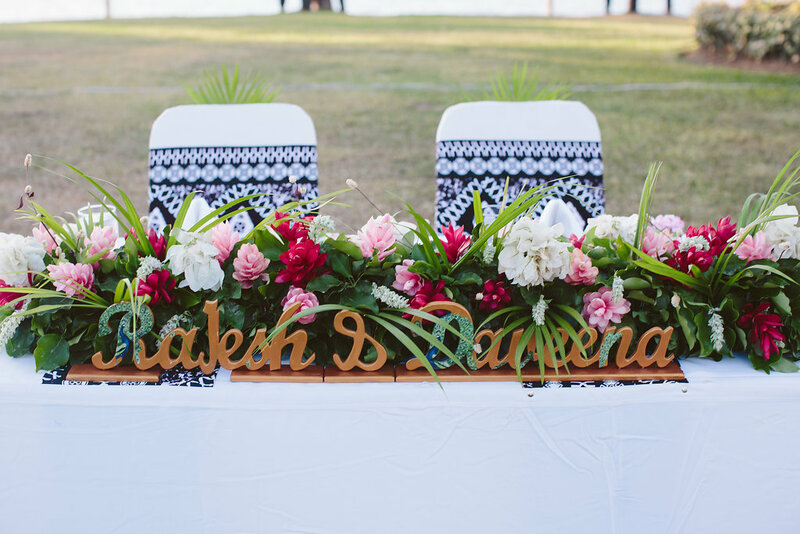 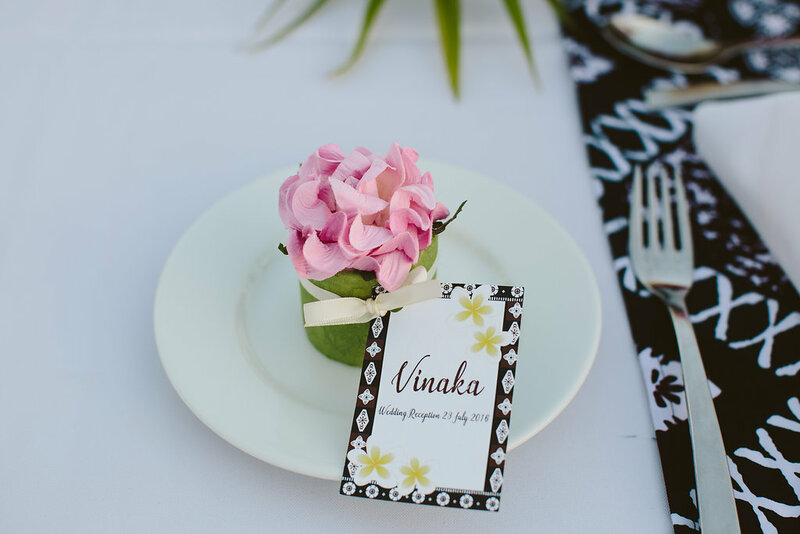 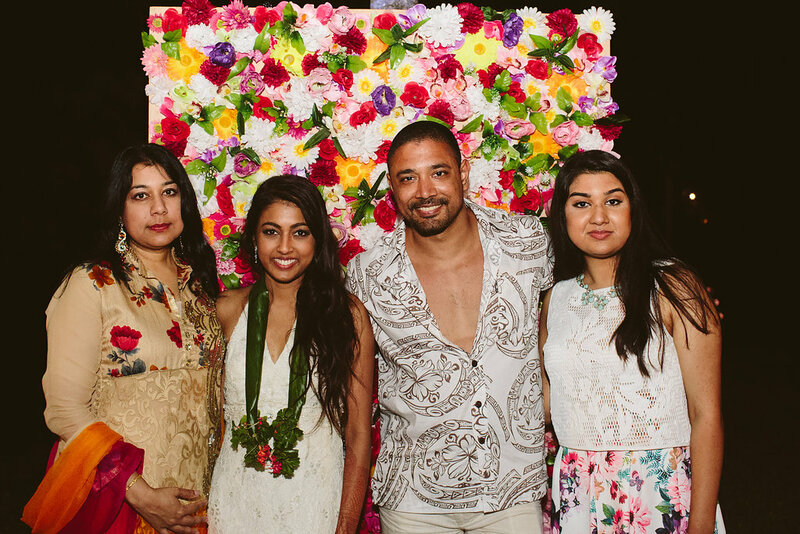 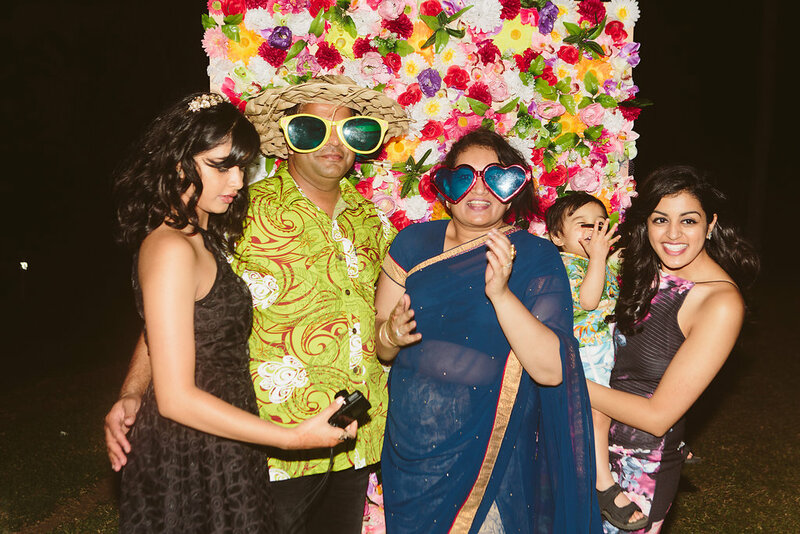 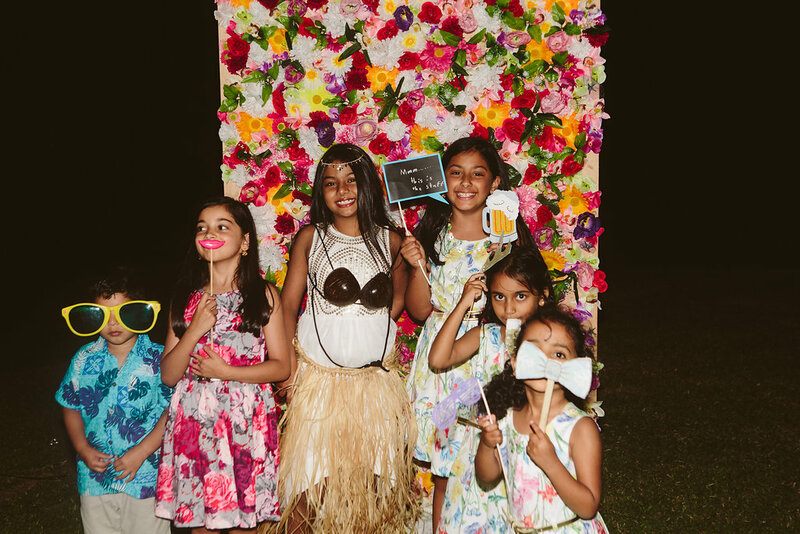 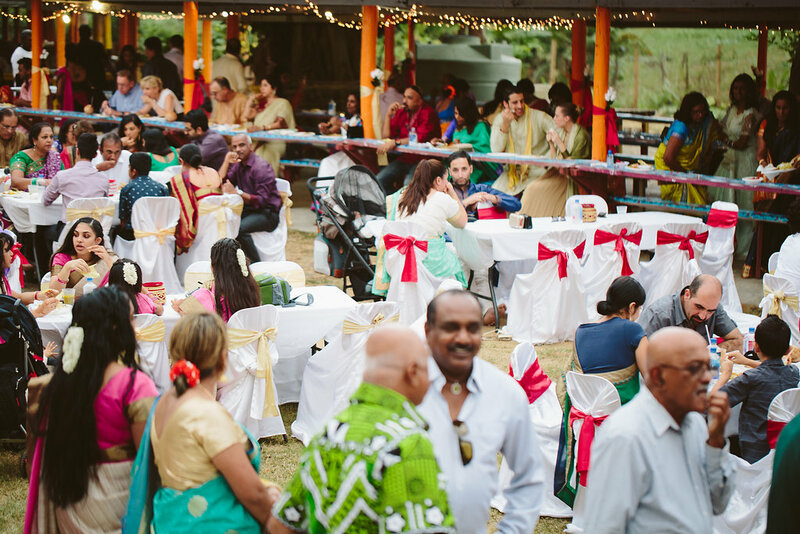 Day three of Daveena & Raj’s wedding celebrations saw the reception on the North Lawn at the Sofitel Fiji Resort & Spa, Denarau. 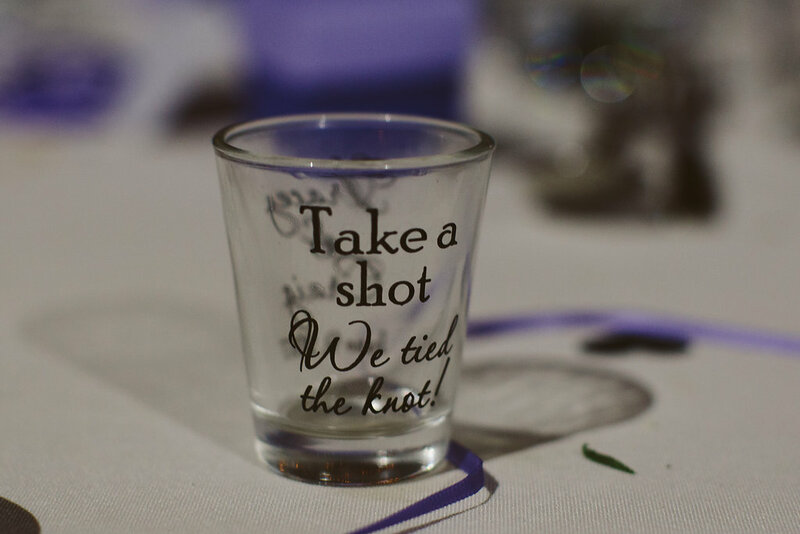 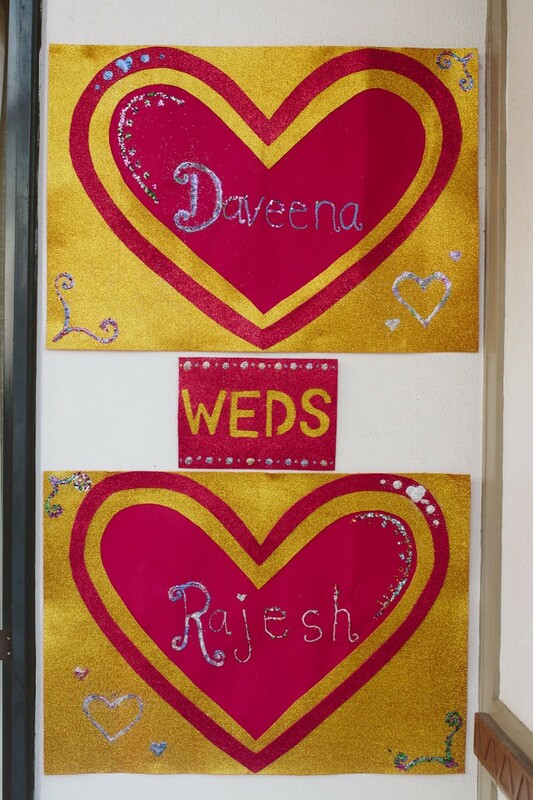 Day two of Daveena & Raj’s celebrations, the wedding day! 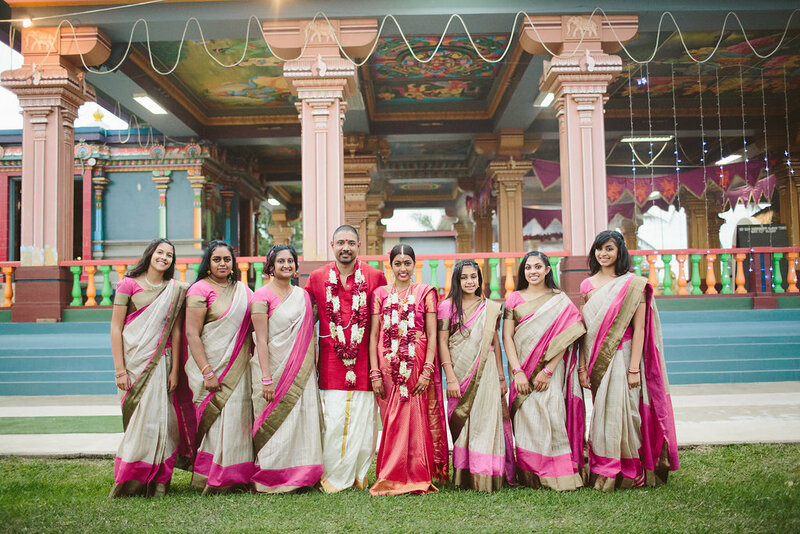 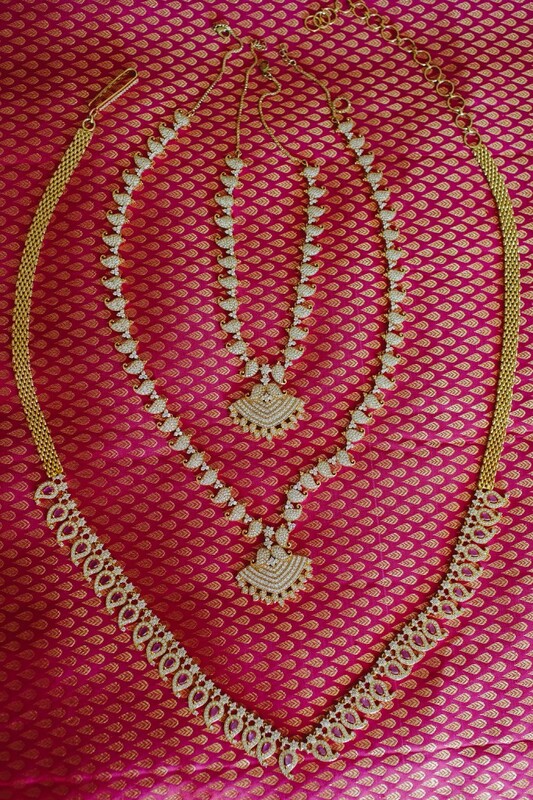 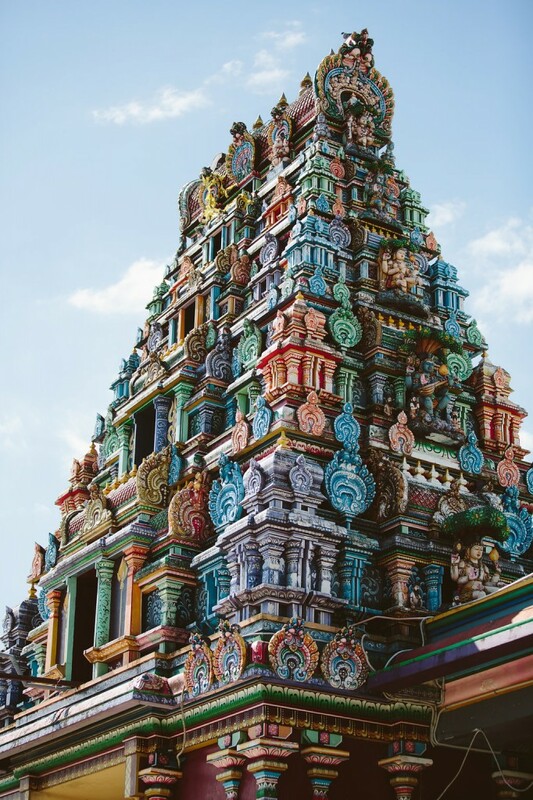 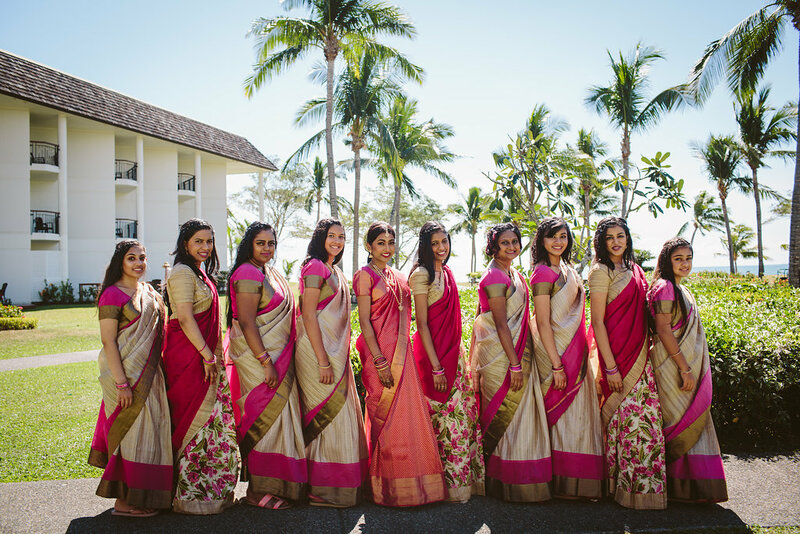 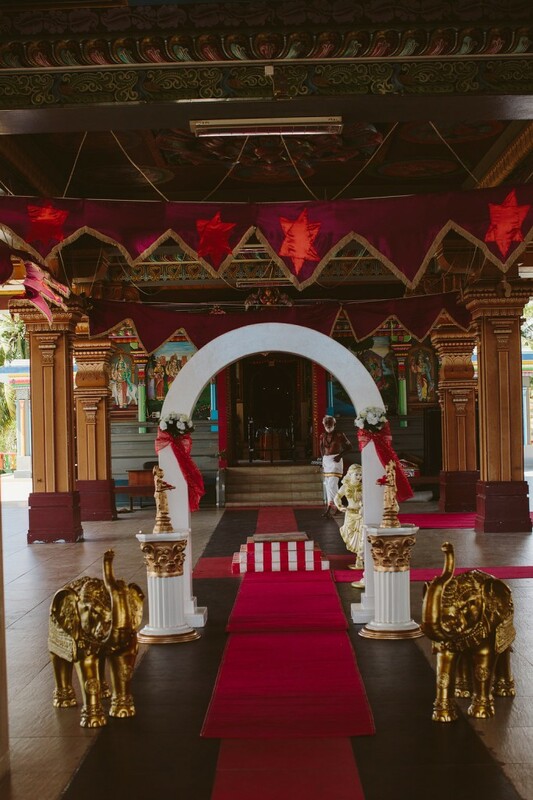 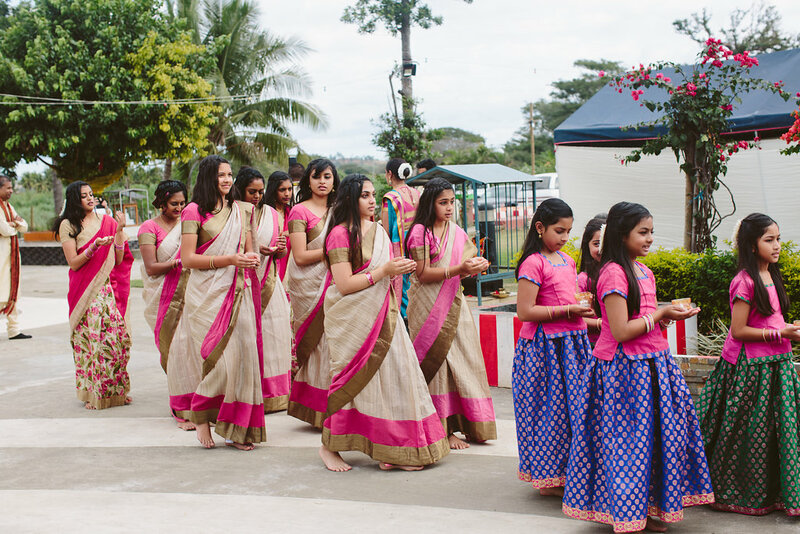 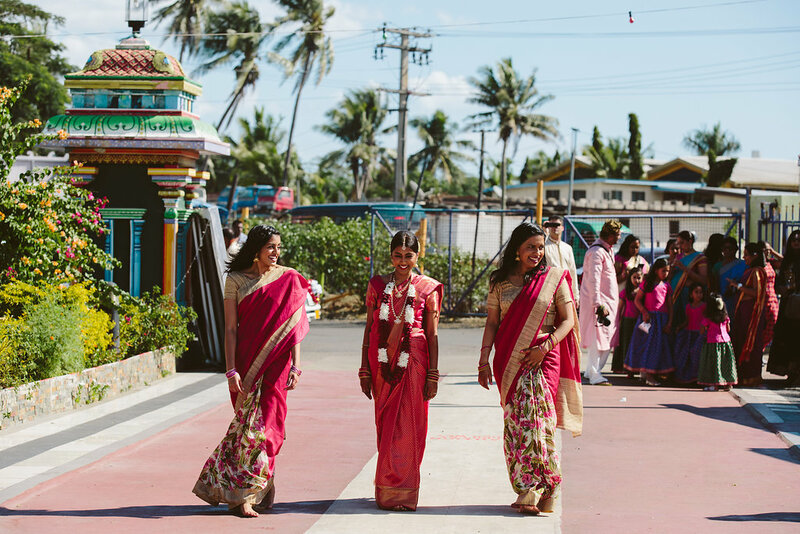 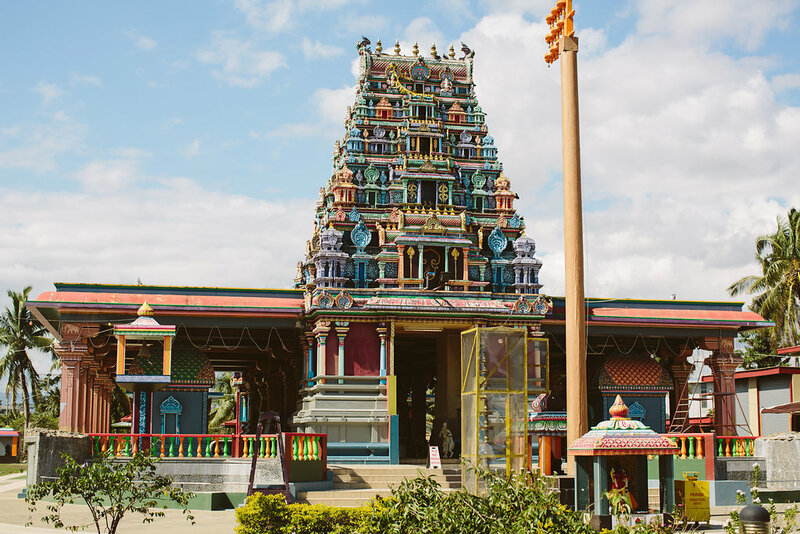 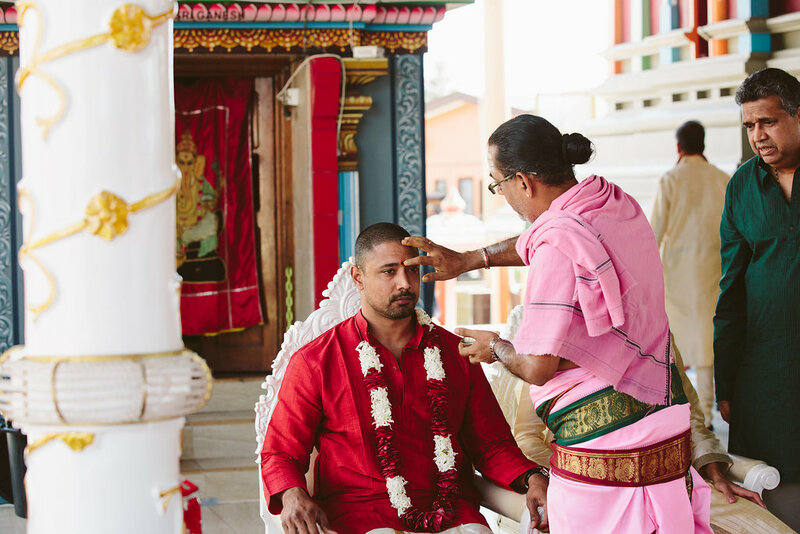 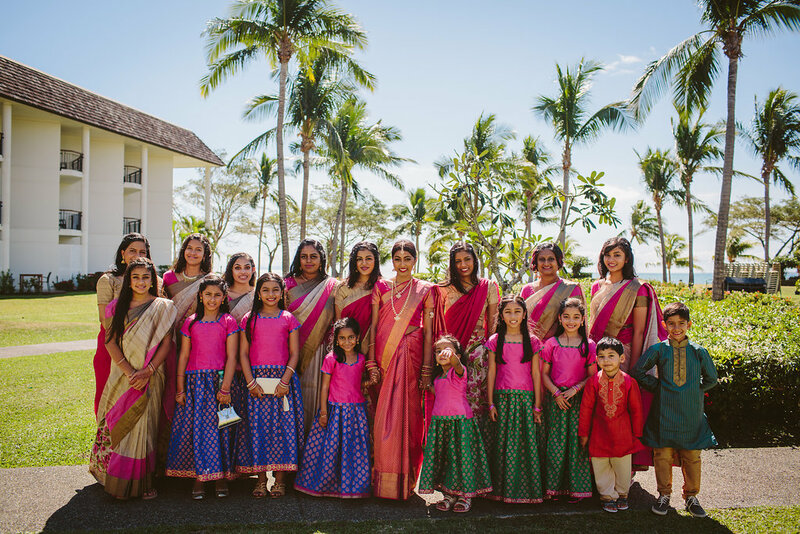 All wedding guest were transported from the Sofitel to the amazing Sri Siva Subramaniya Temple, located in Nadi for the marriage ceremony. 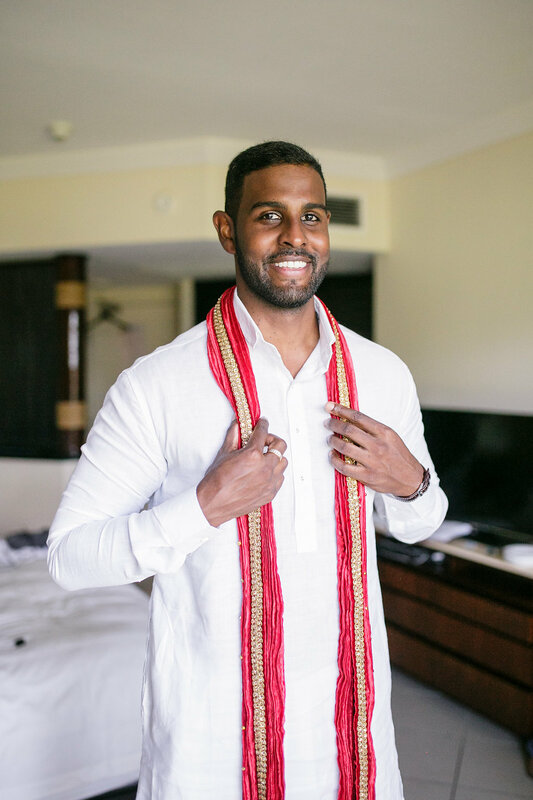 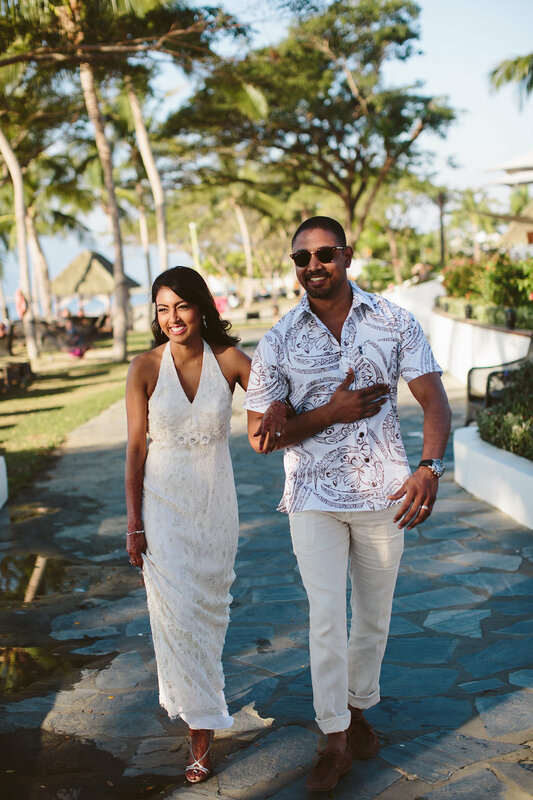 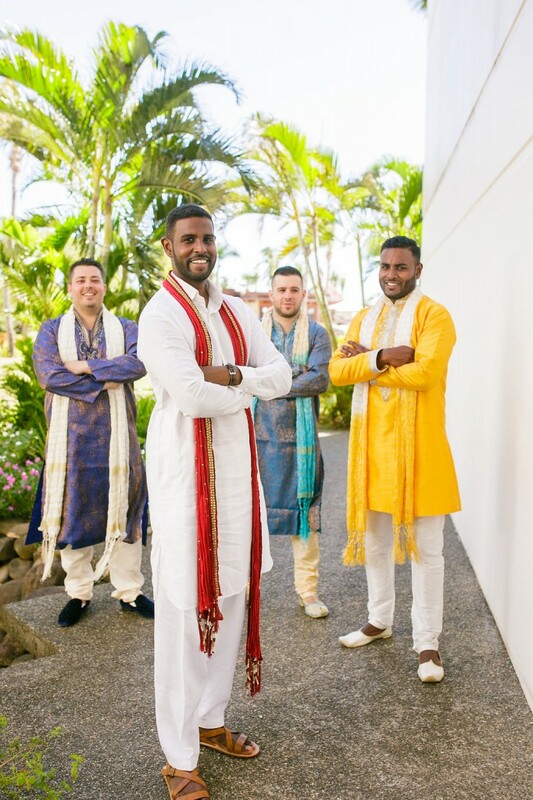 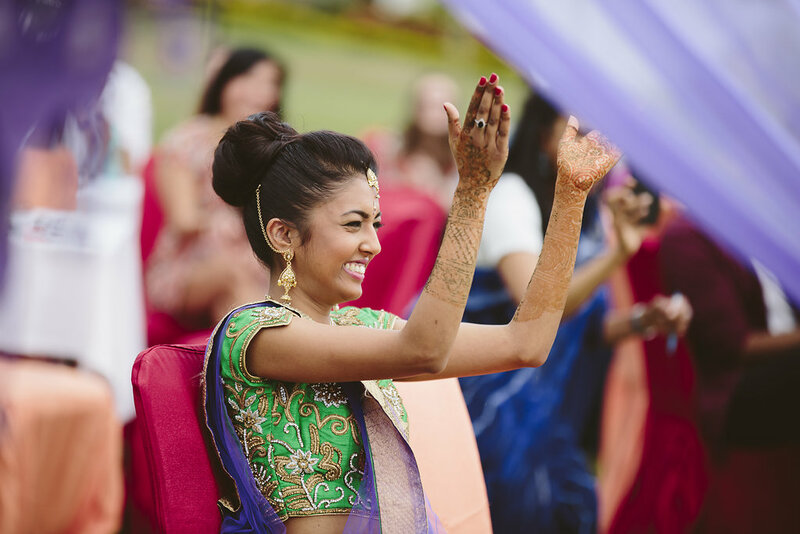 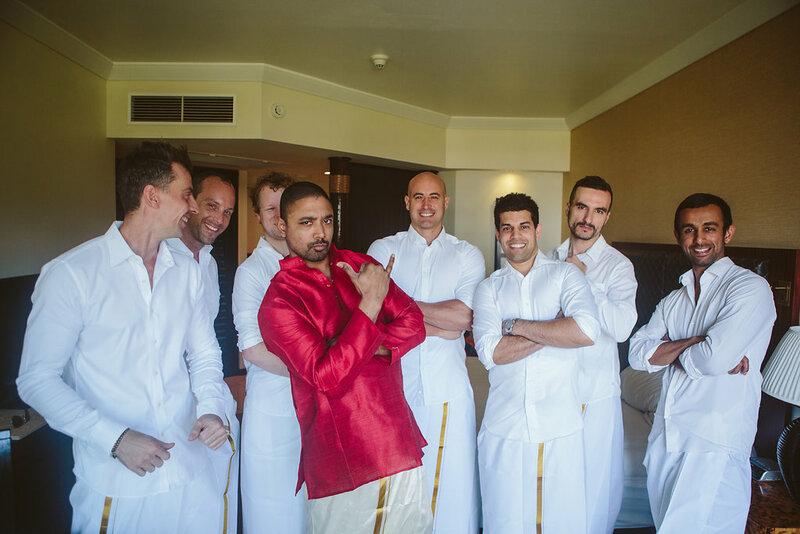 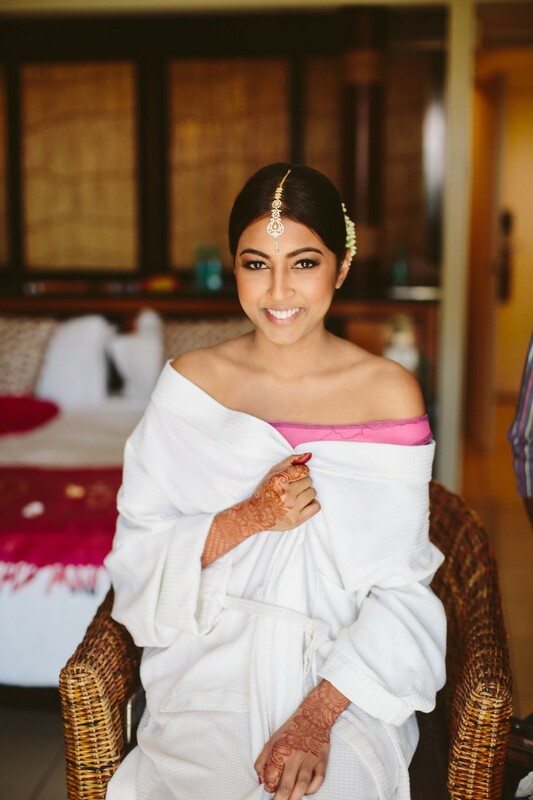 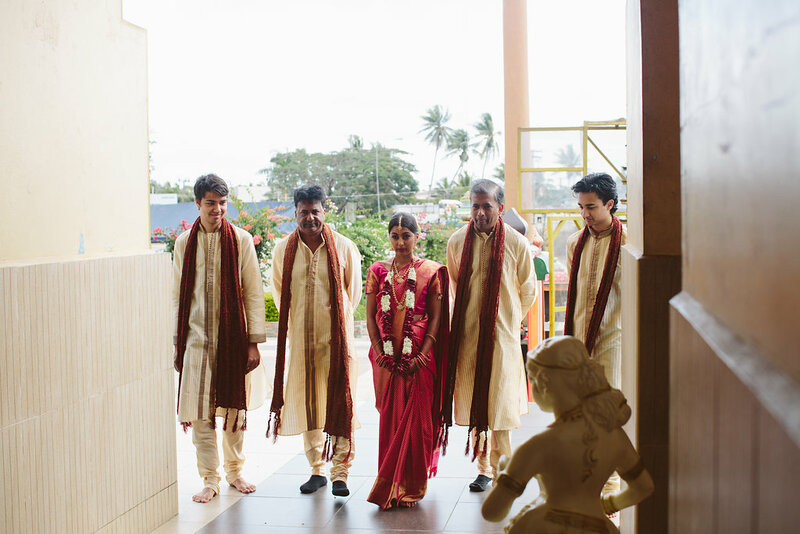 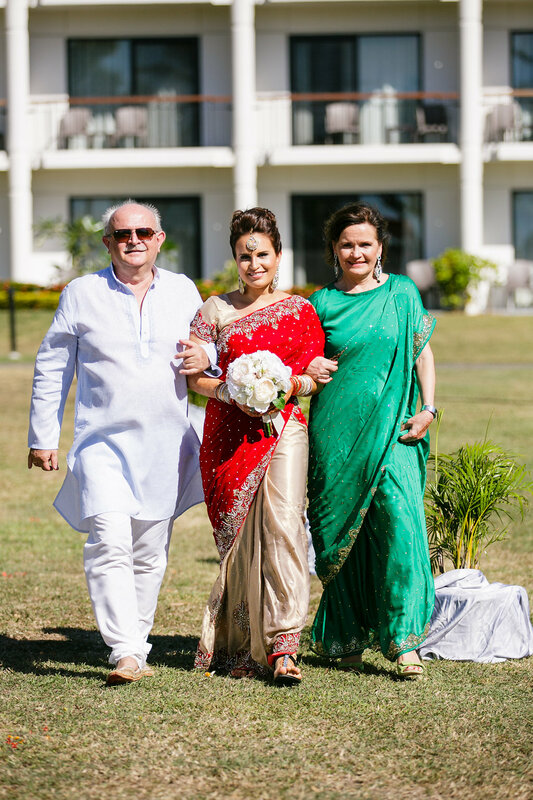 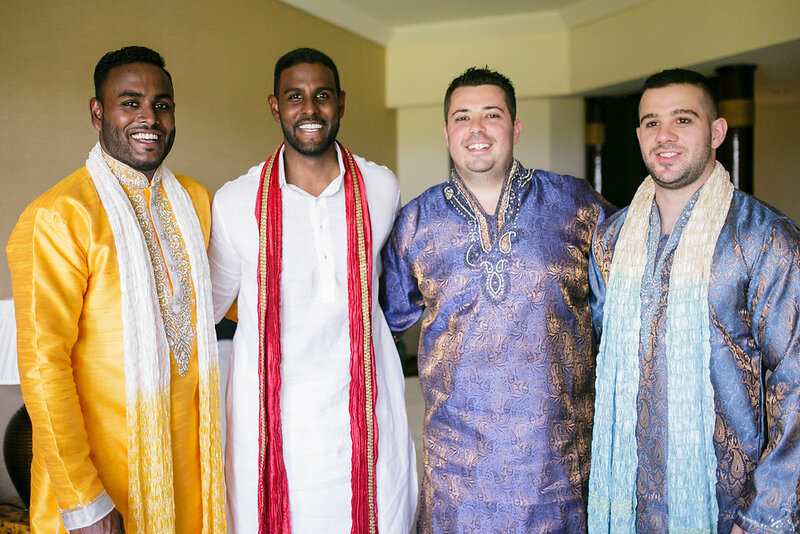 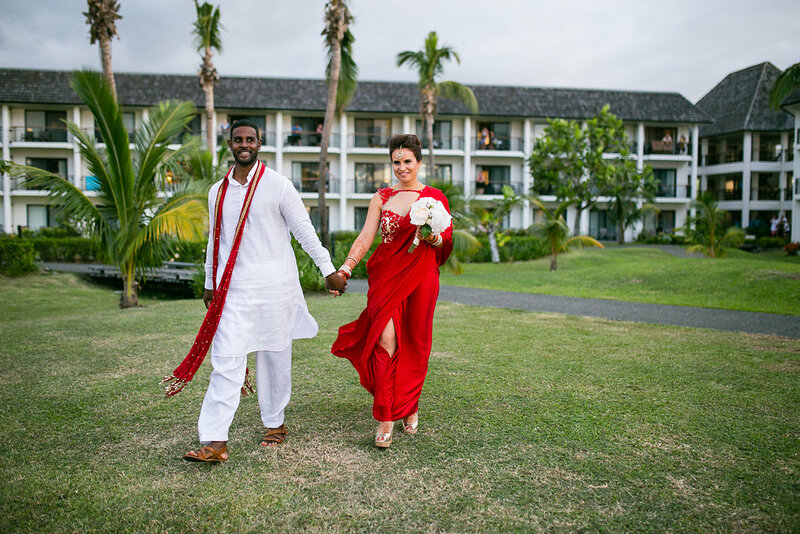 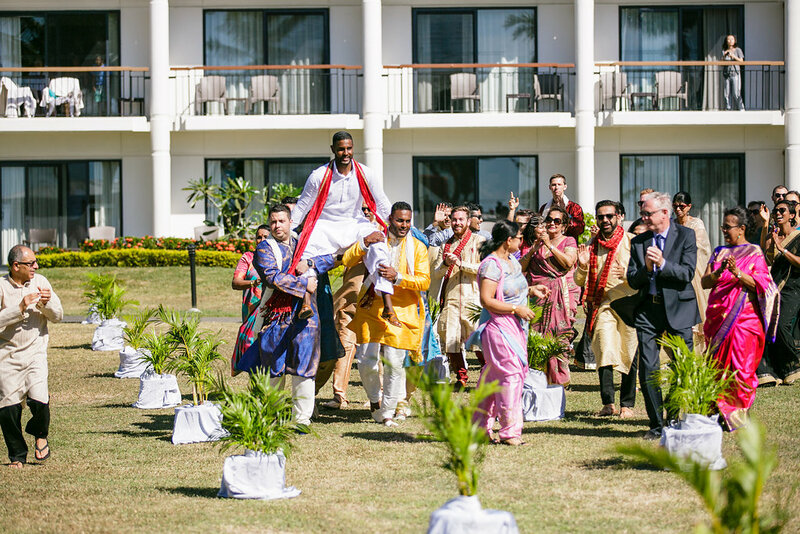 Day one of Daveena & Raj’s wedding celebrations saw the Haldi ceremony performed in the morning outside the bride and grooms room followed that afternoon by the Mendhi ceremony on the Sofitel beachfront. 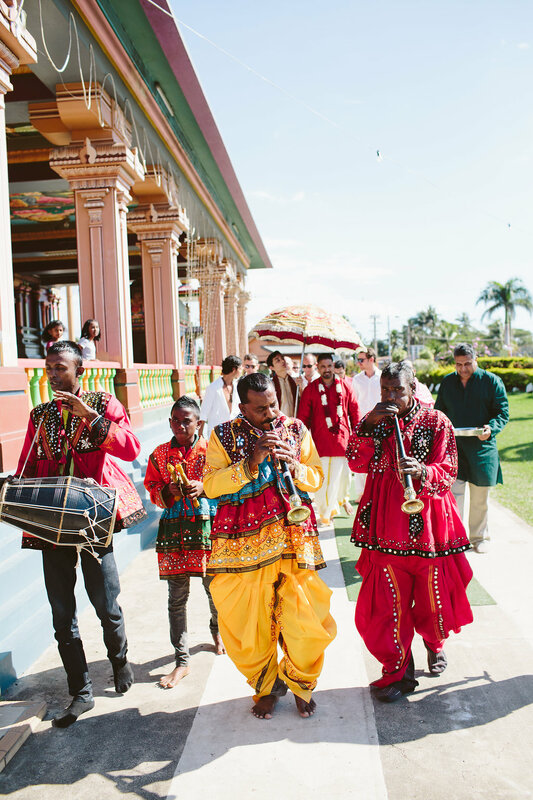 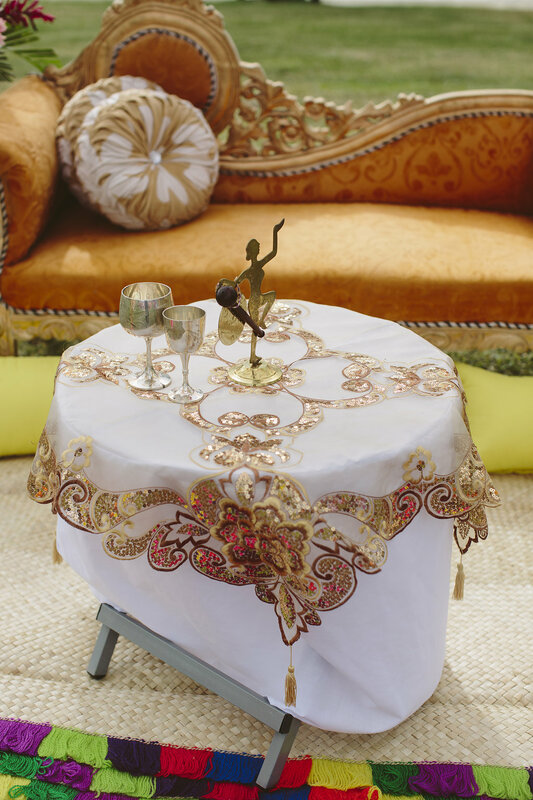 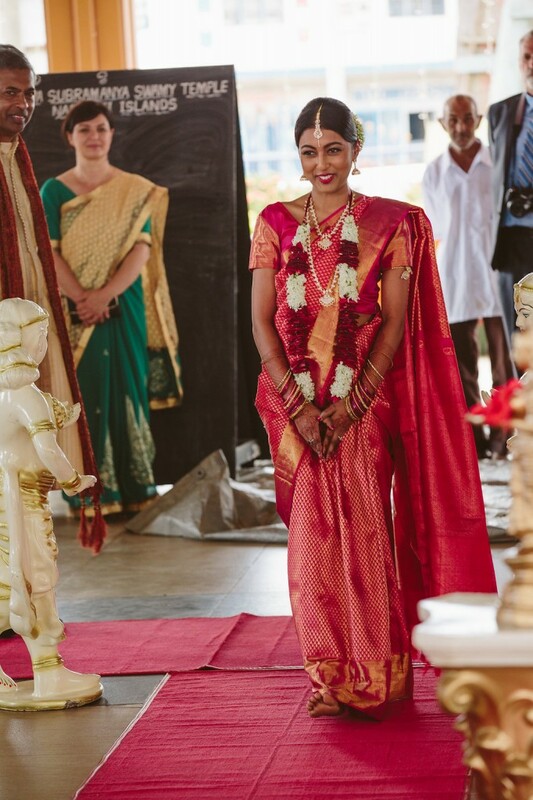 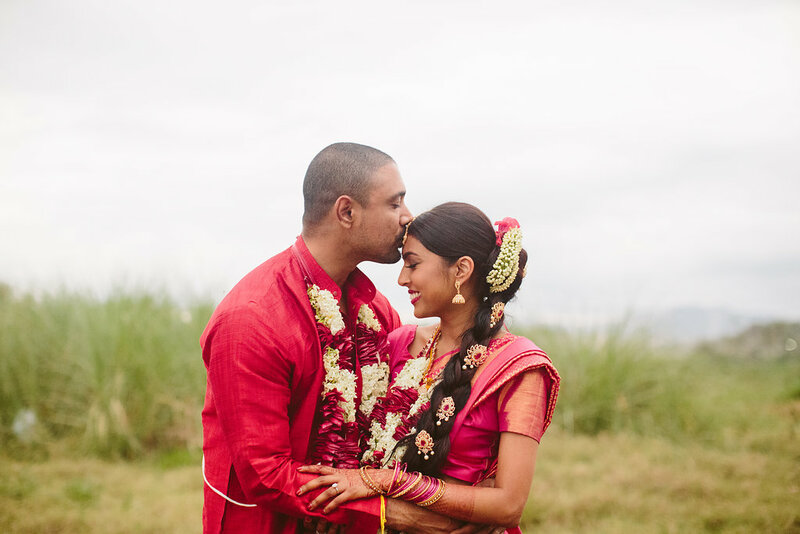 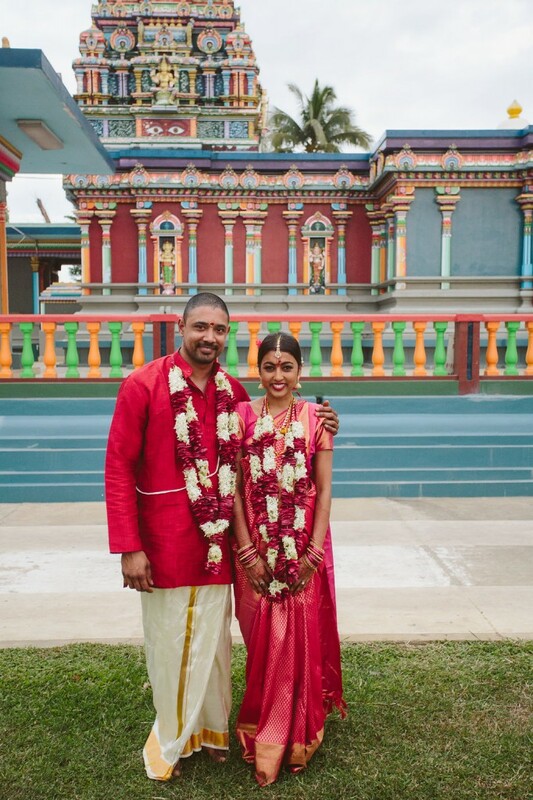 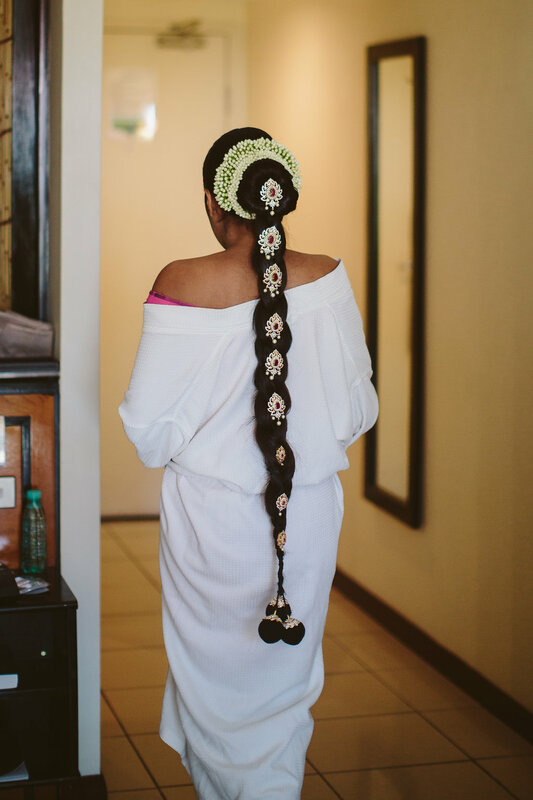 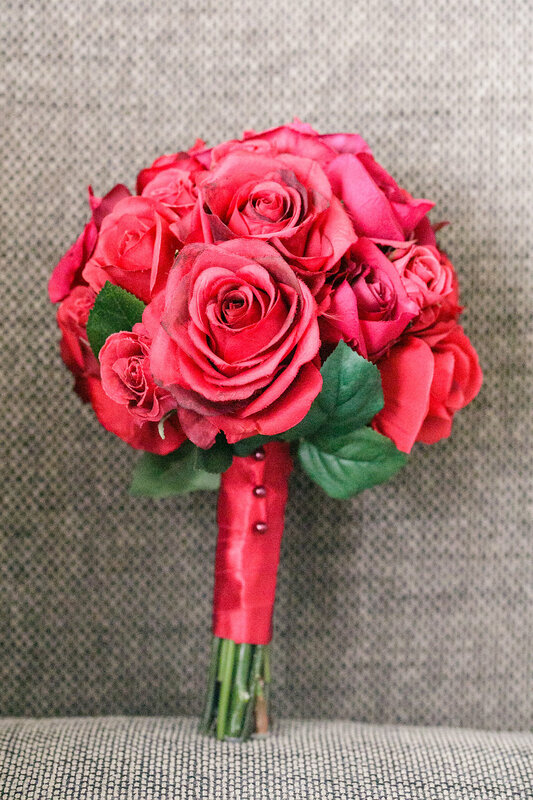 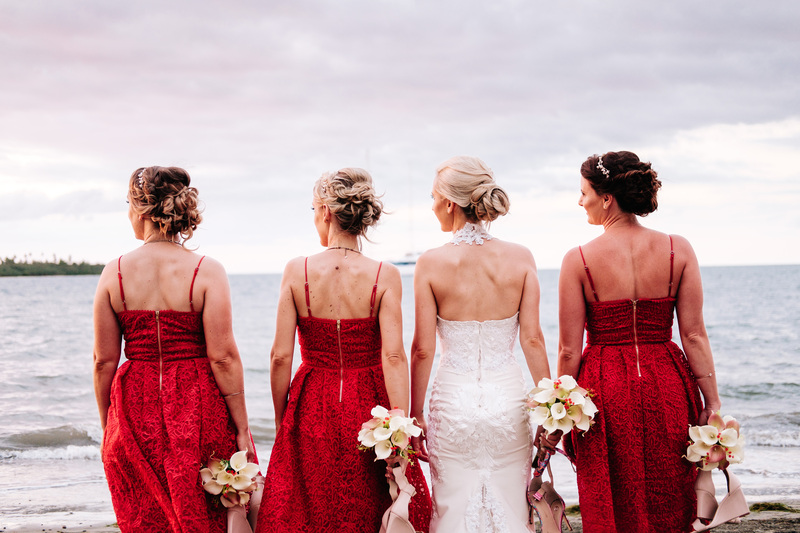 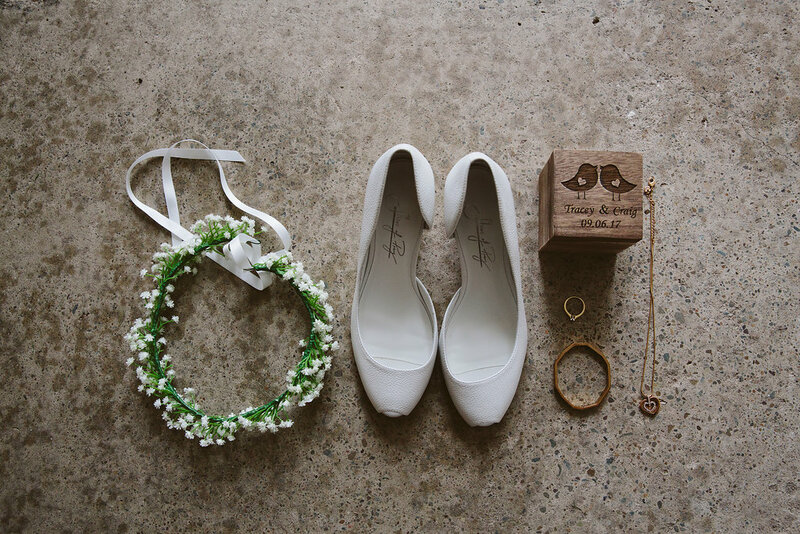 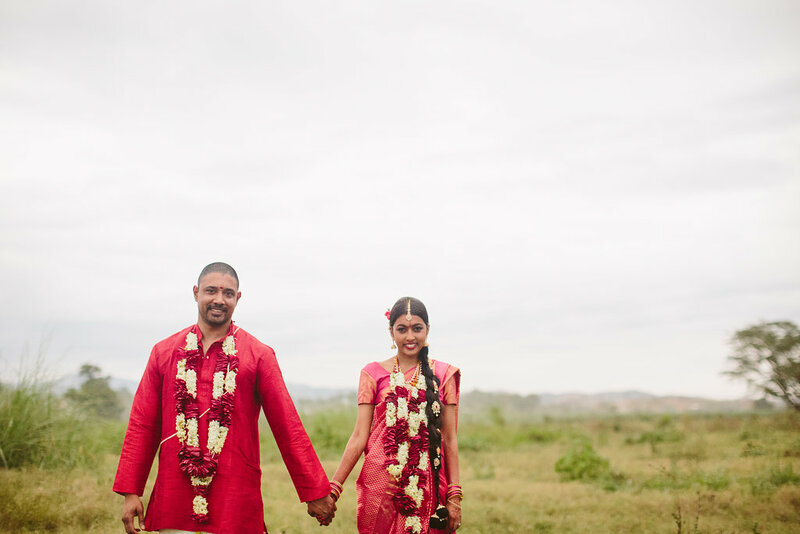 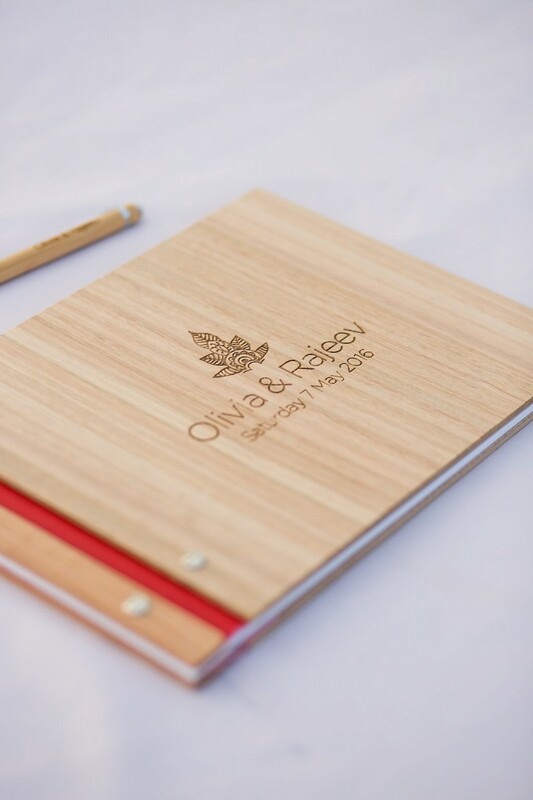 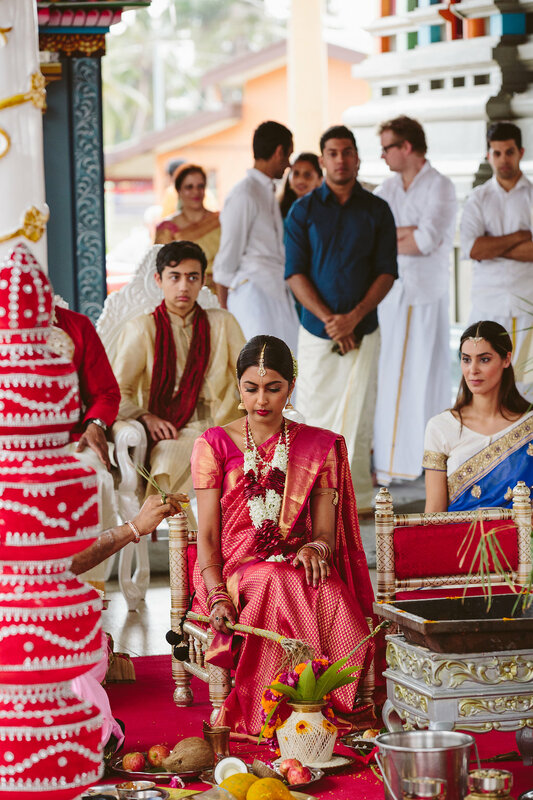 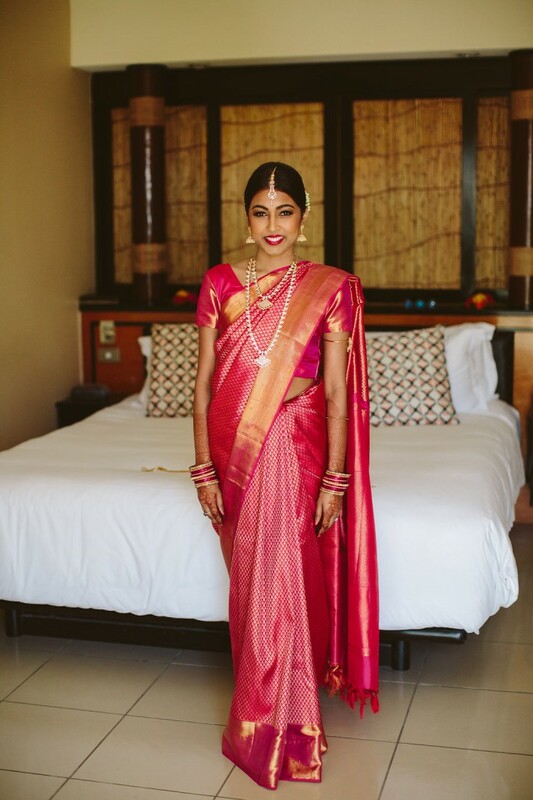 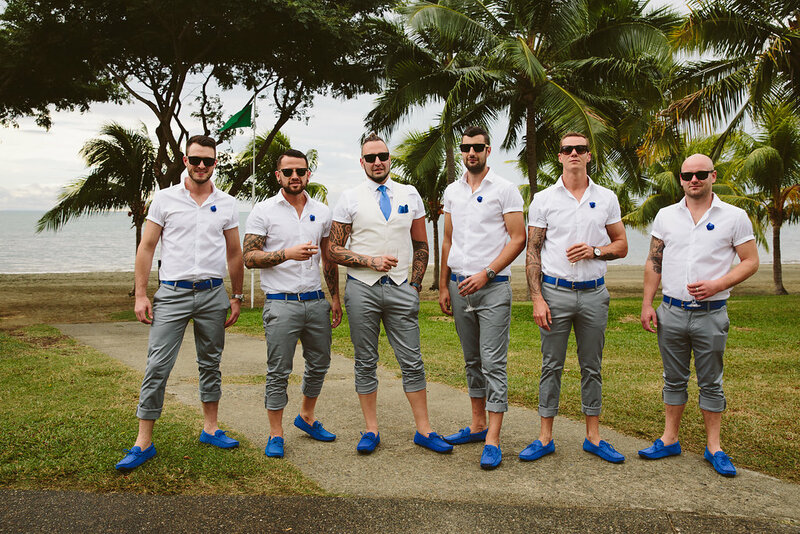 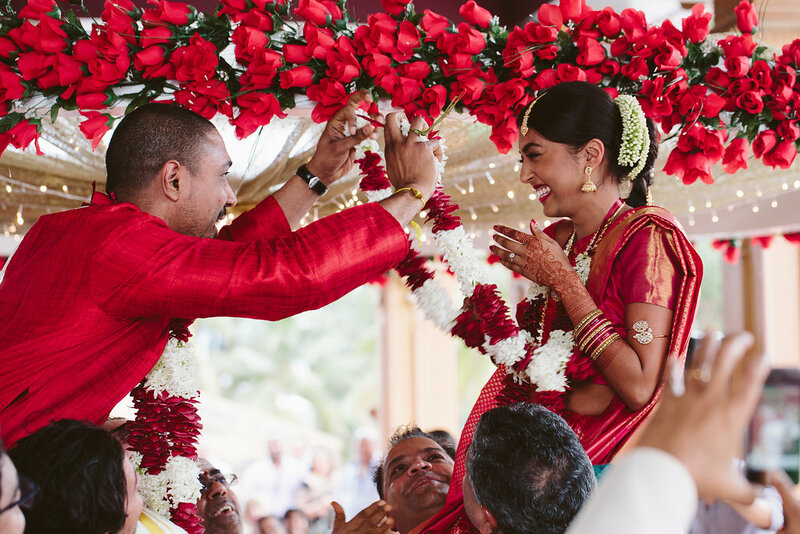 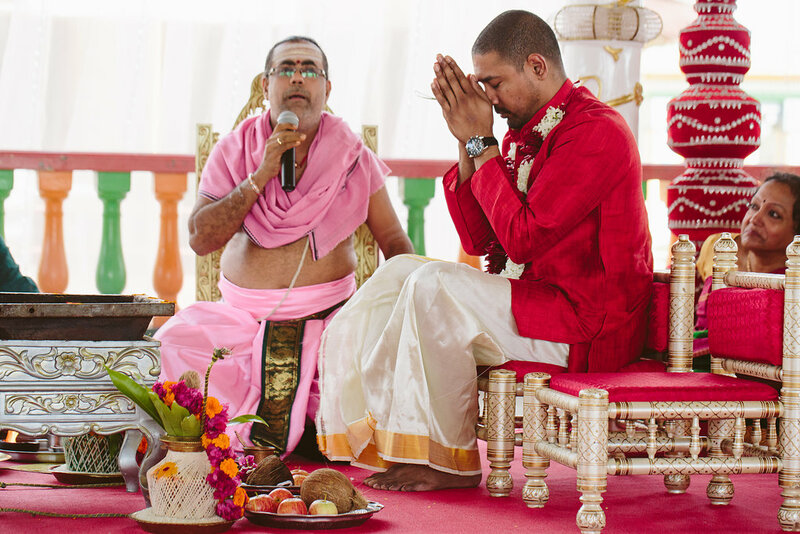 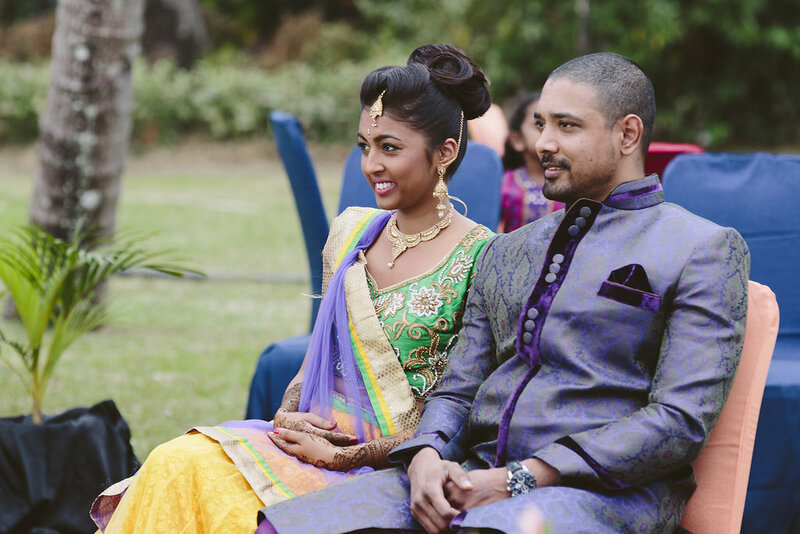 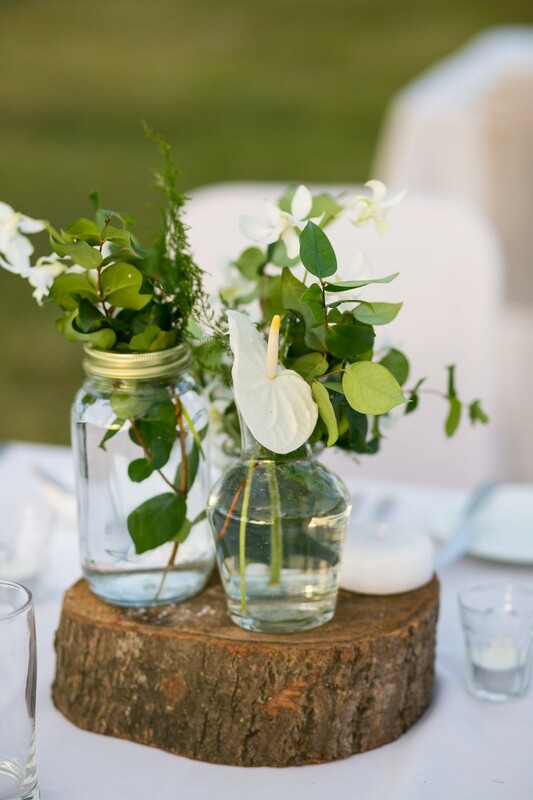 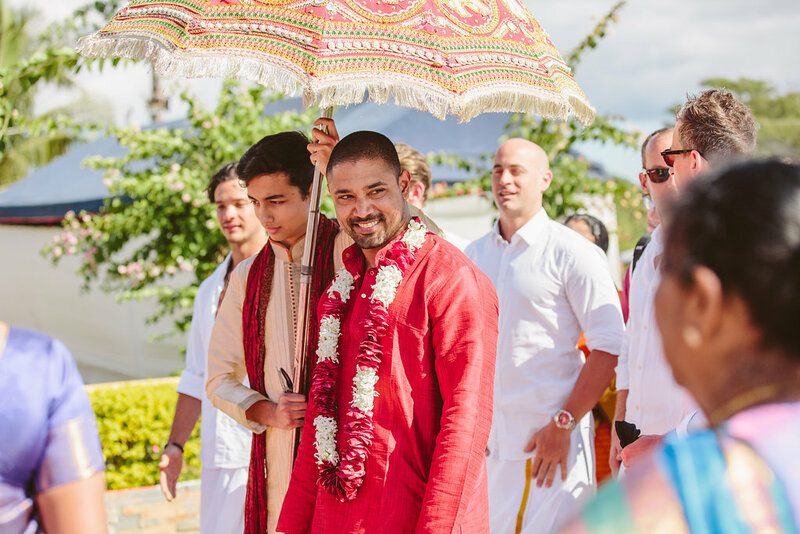 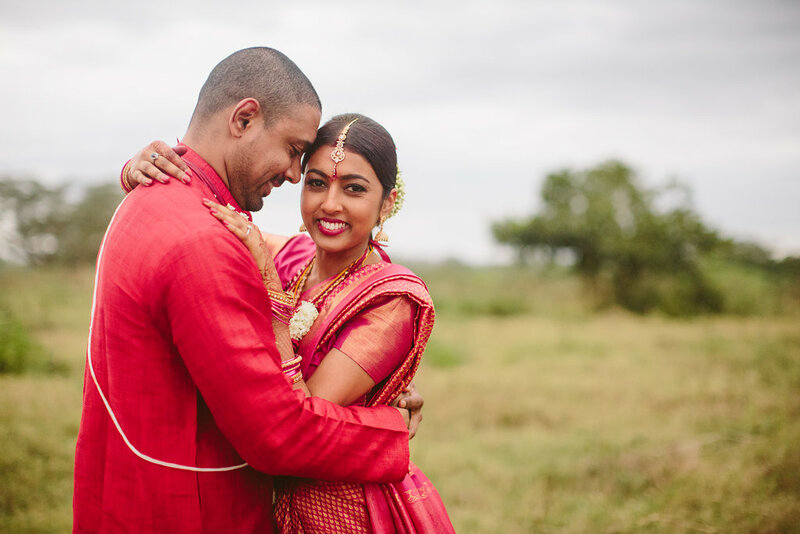 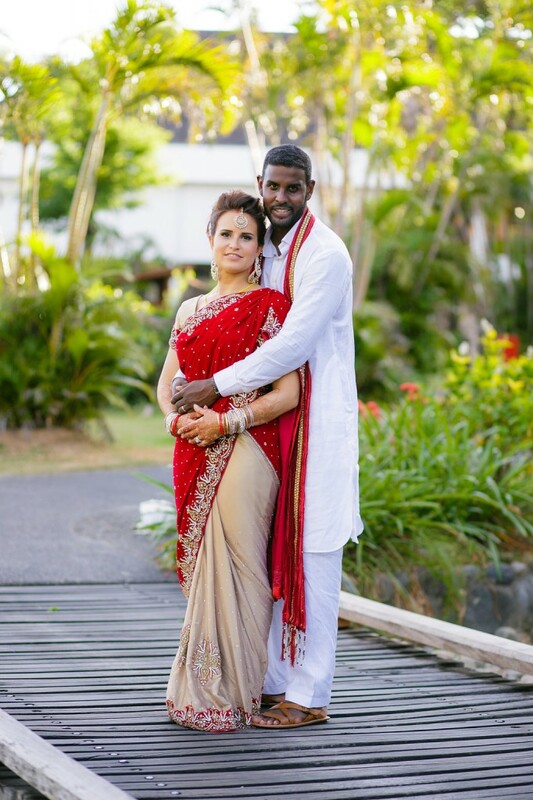 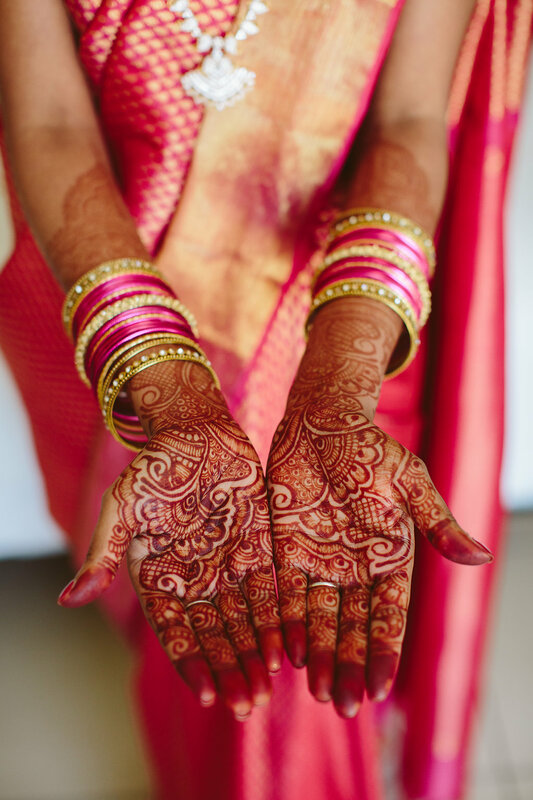 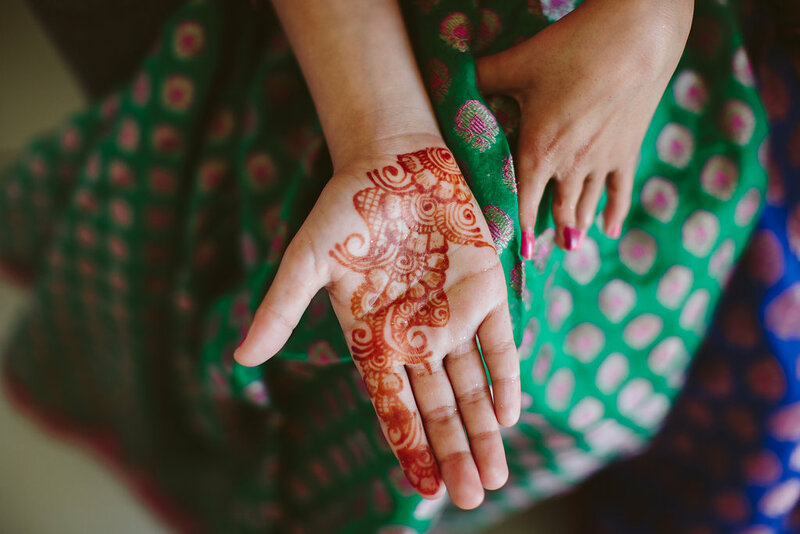 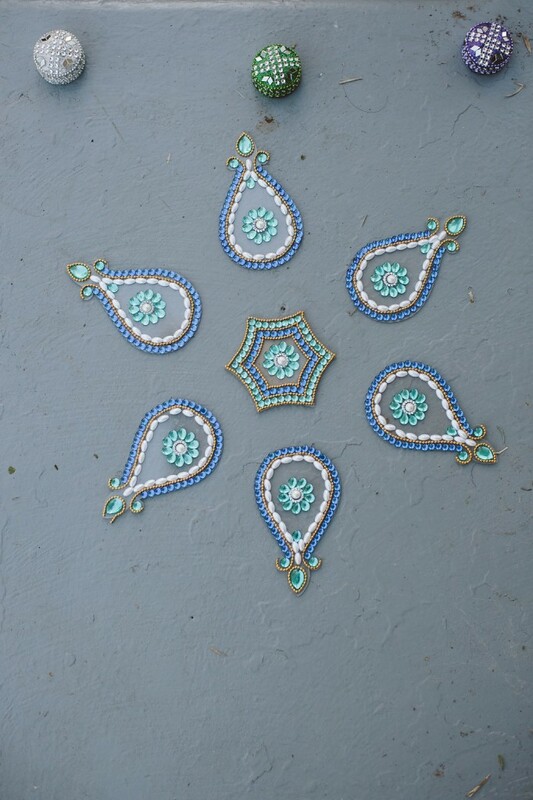 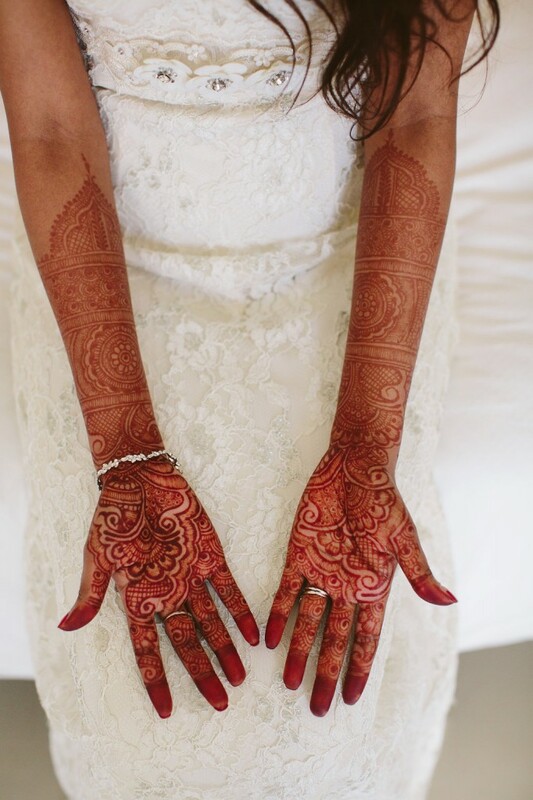 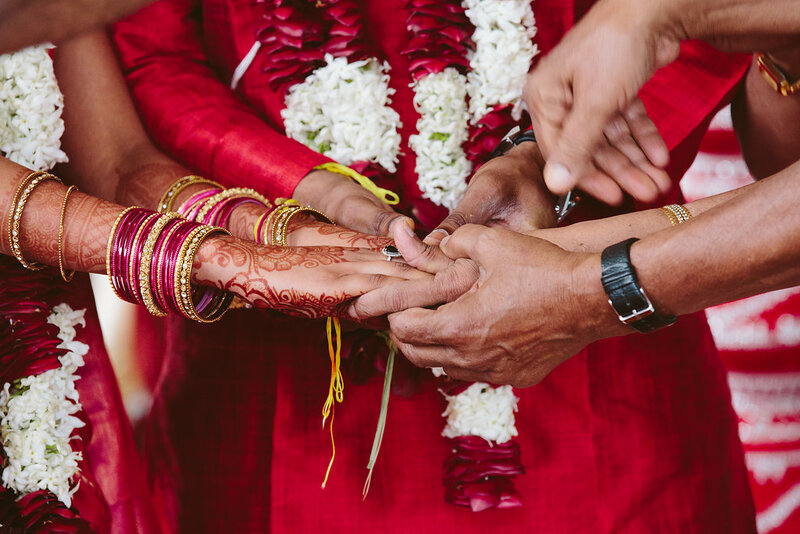 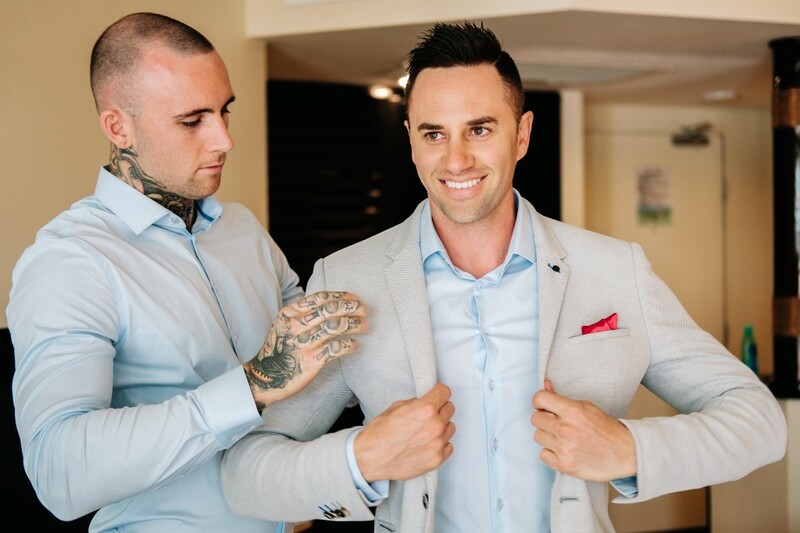 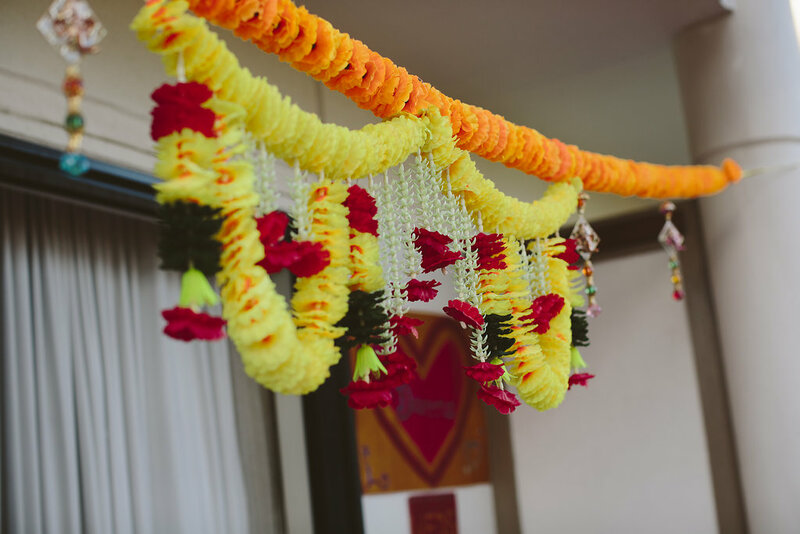 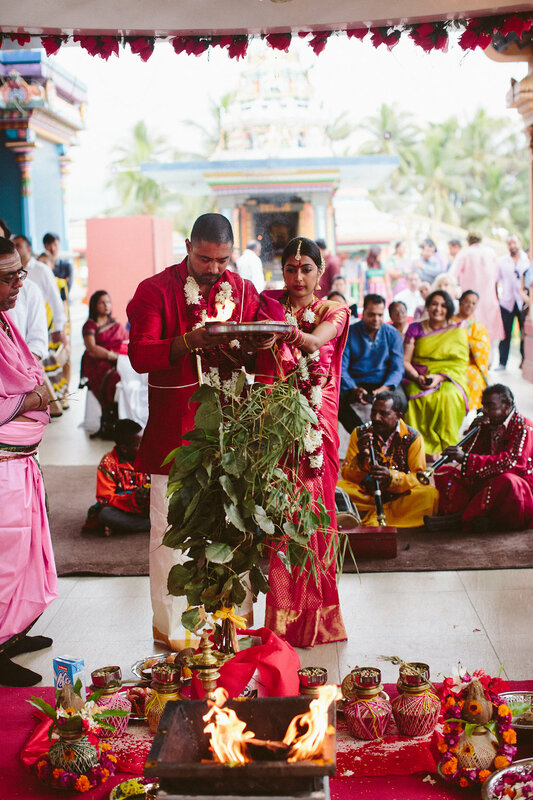 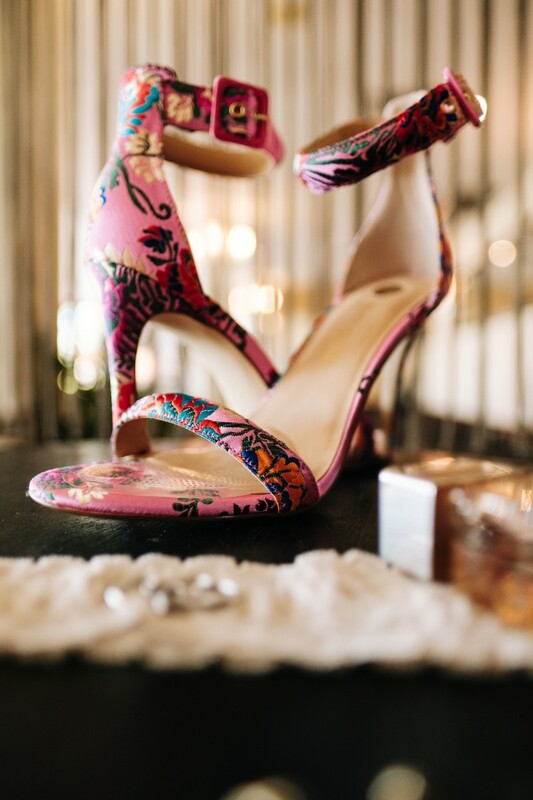 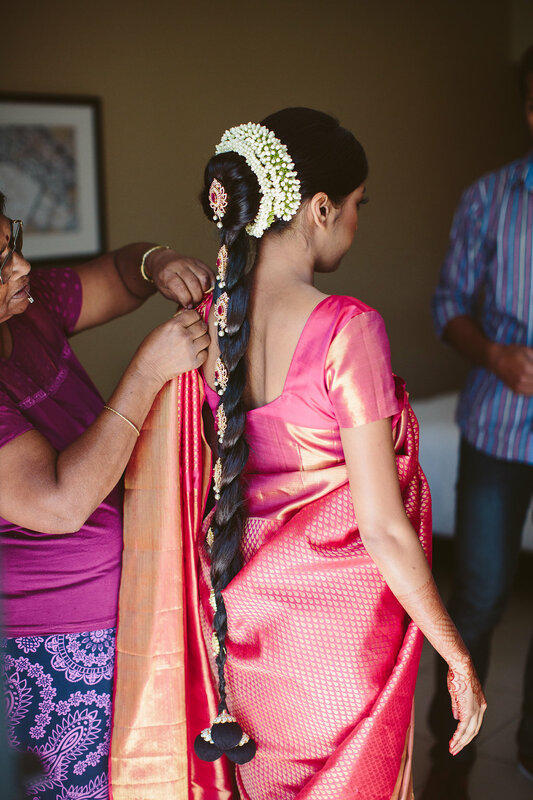 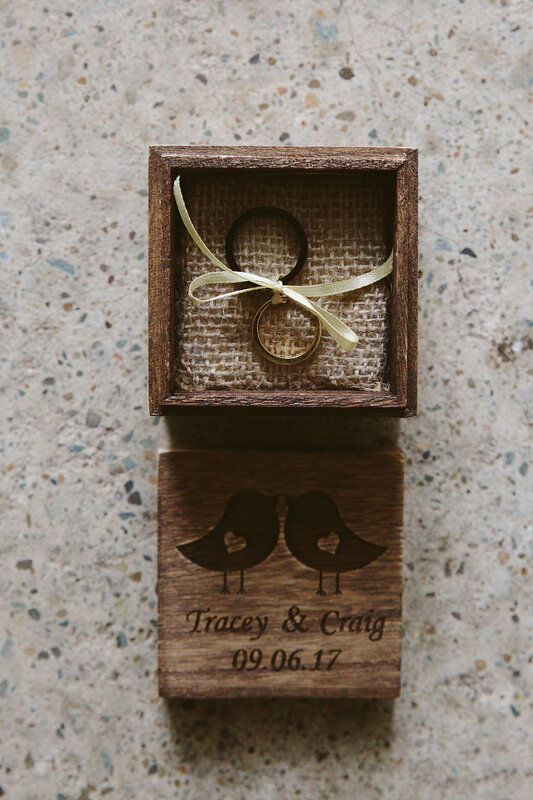 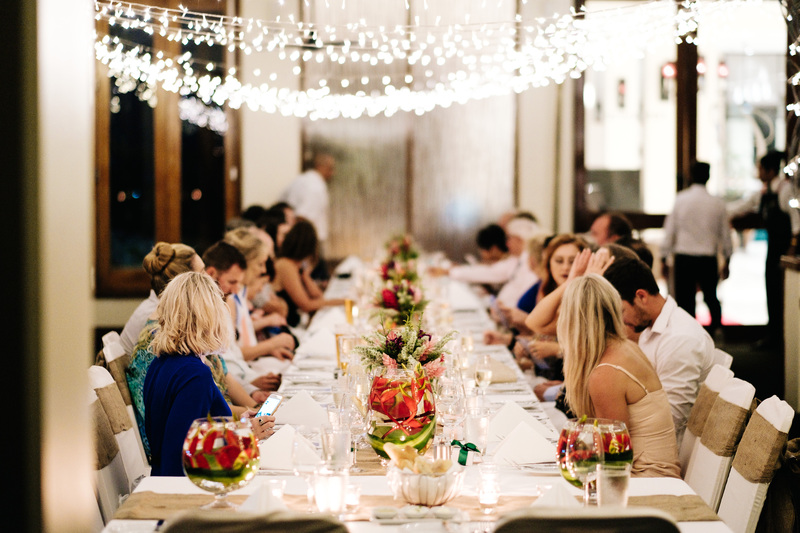 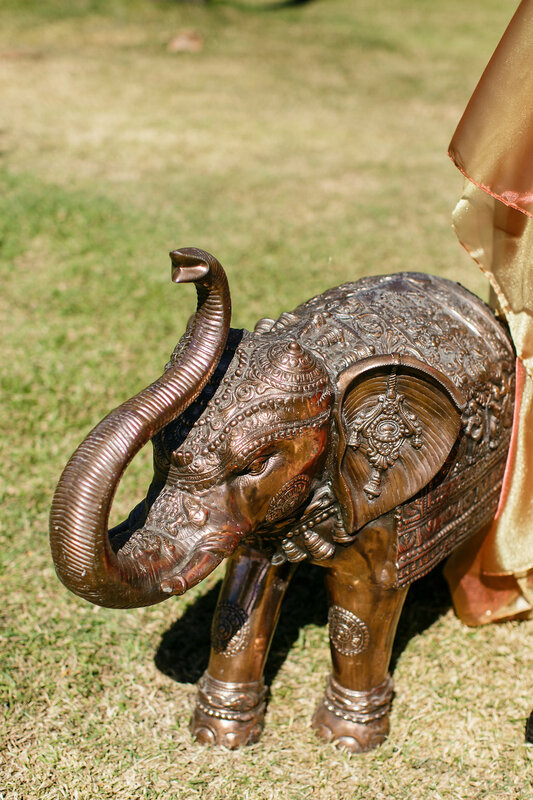 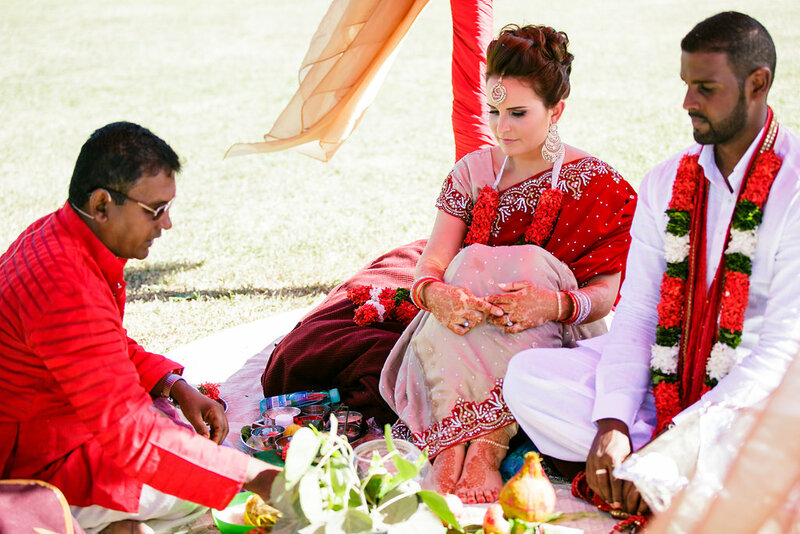 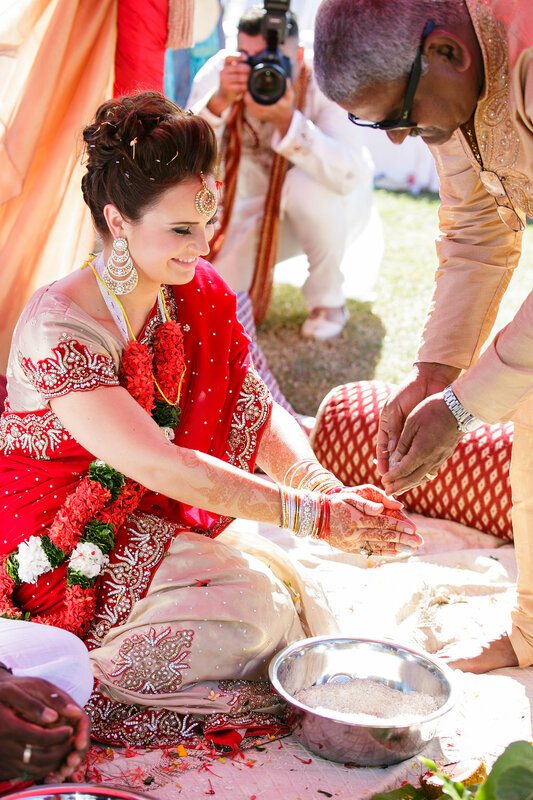 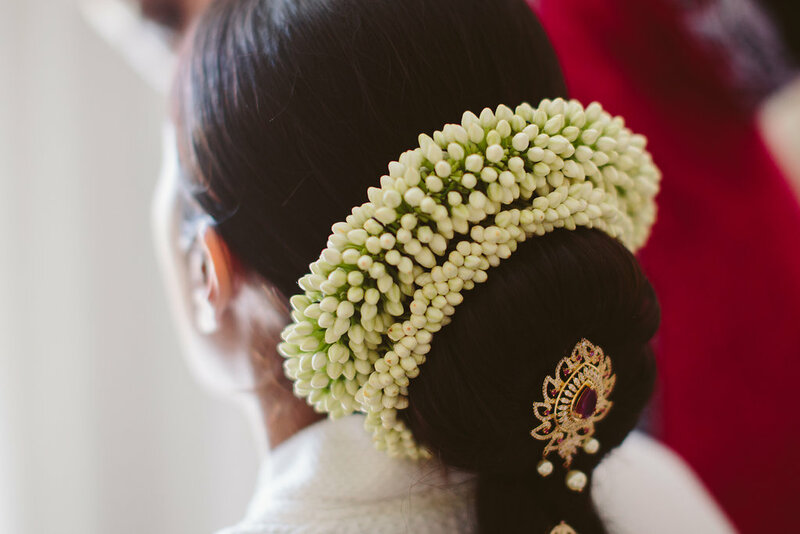 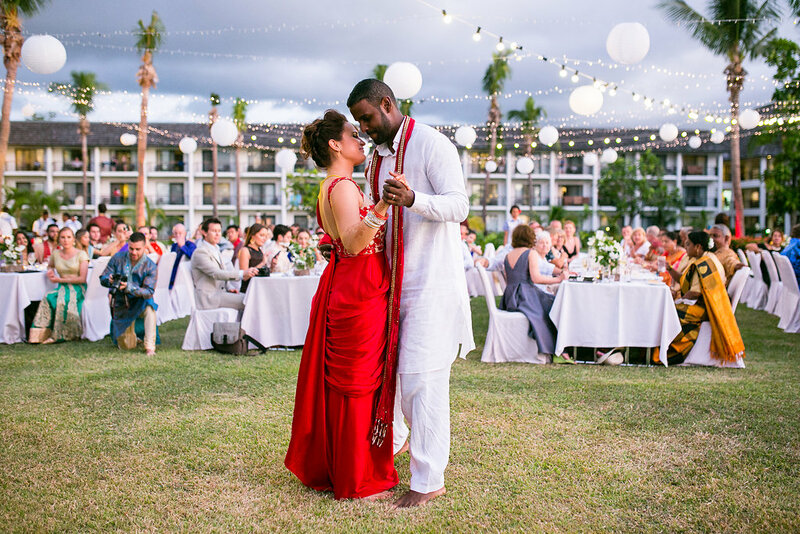 We are loving the culture and tradition of this wedding and the beautiful array of colour and textures. 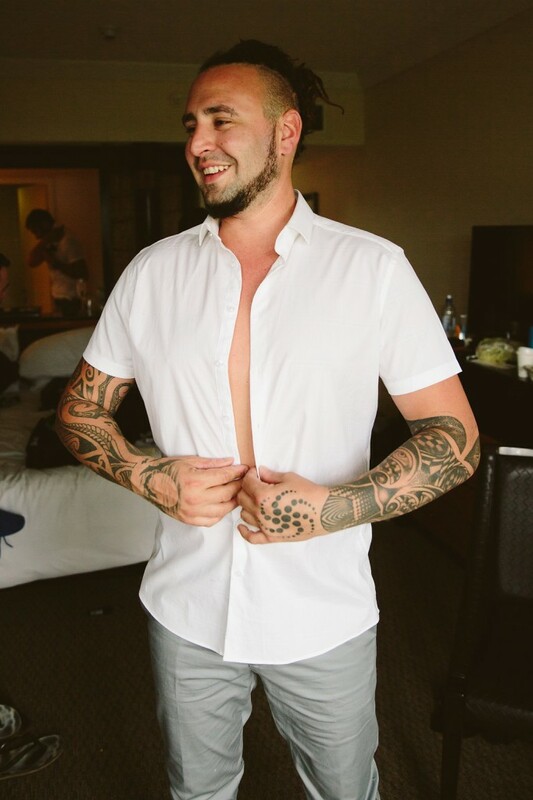 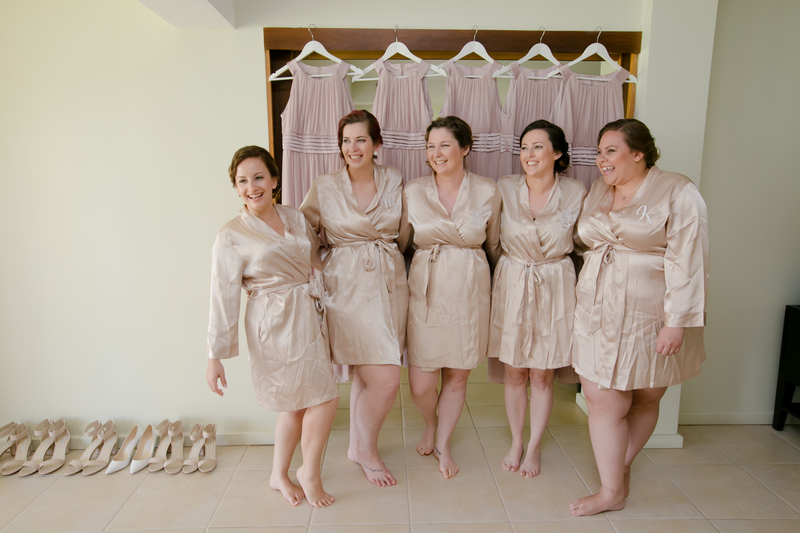 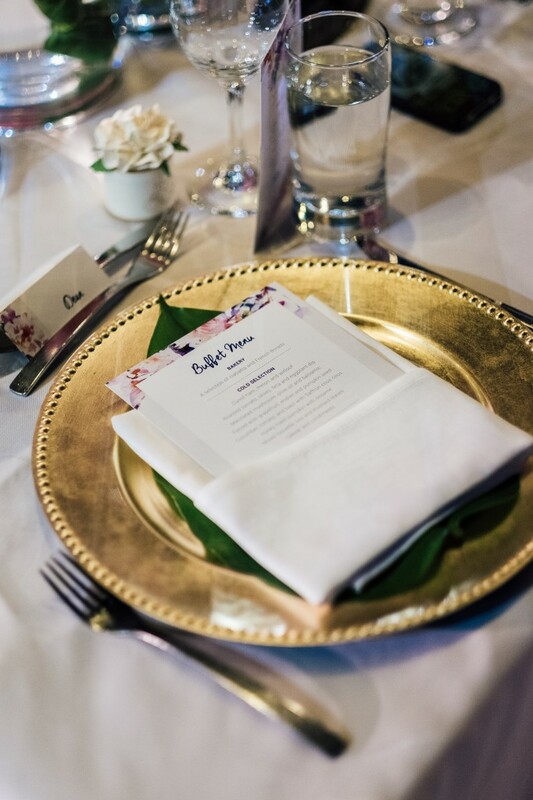 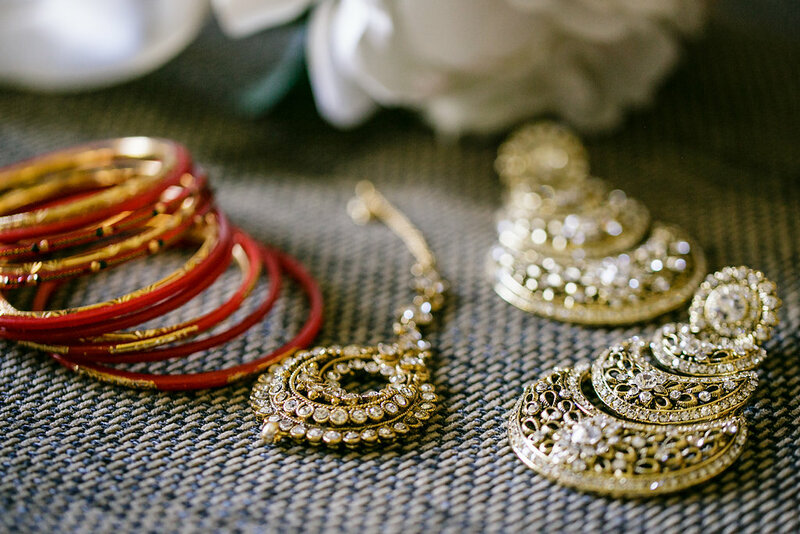 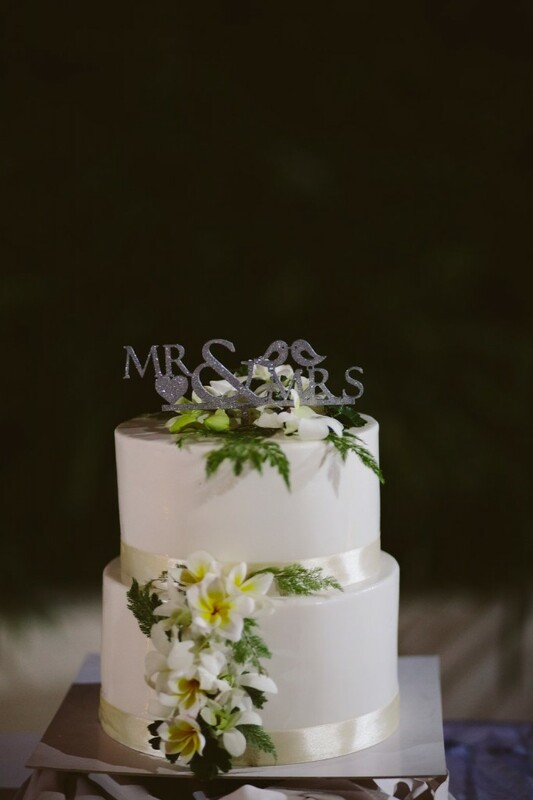 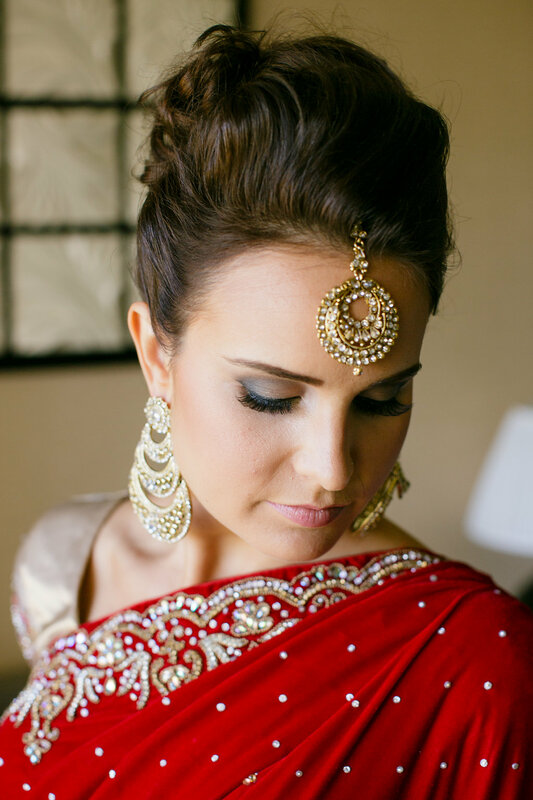 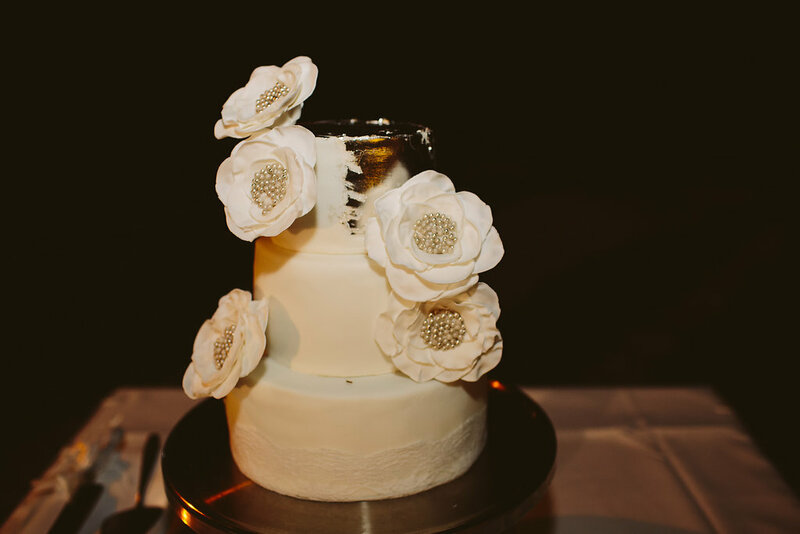 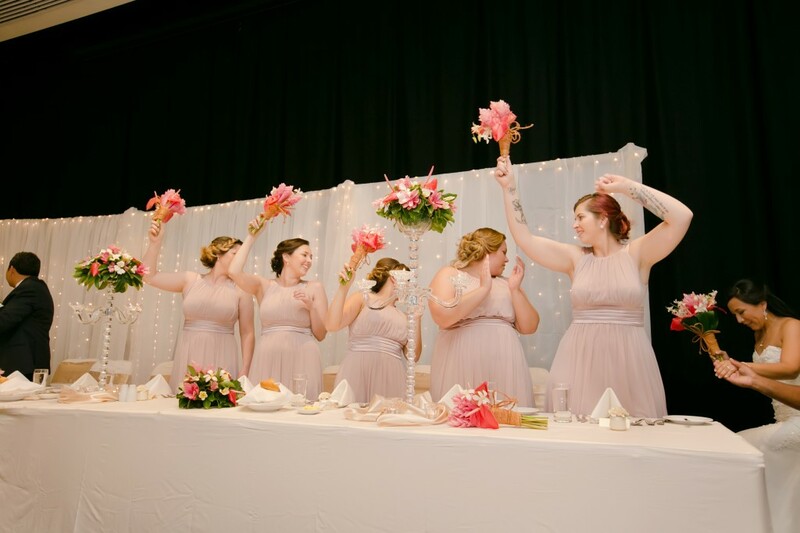 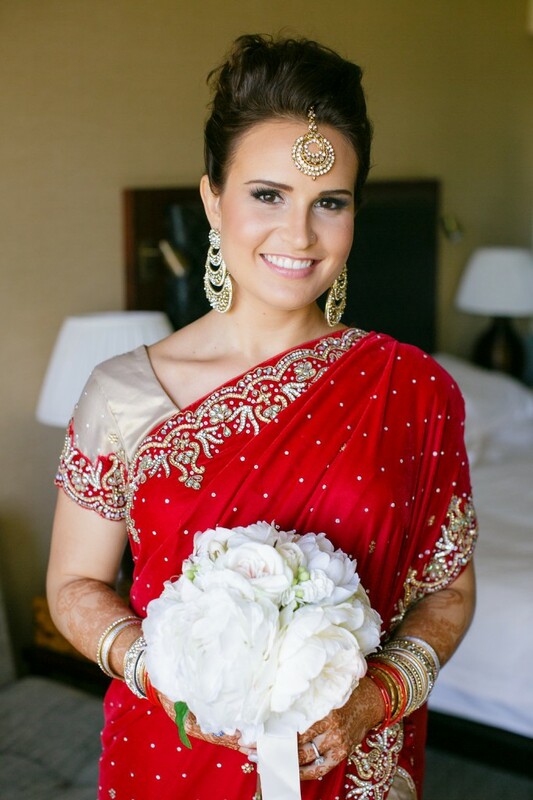 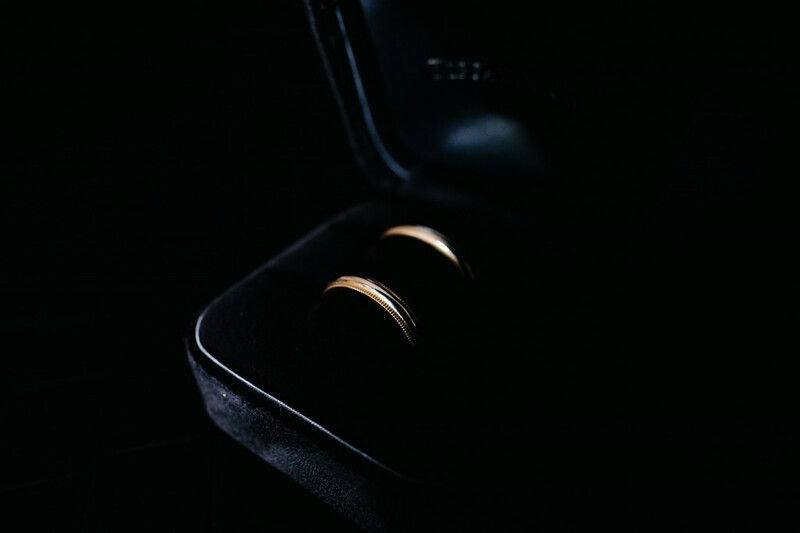 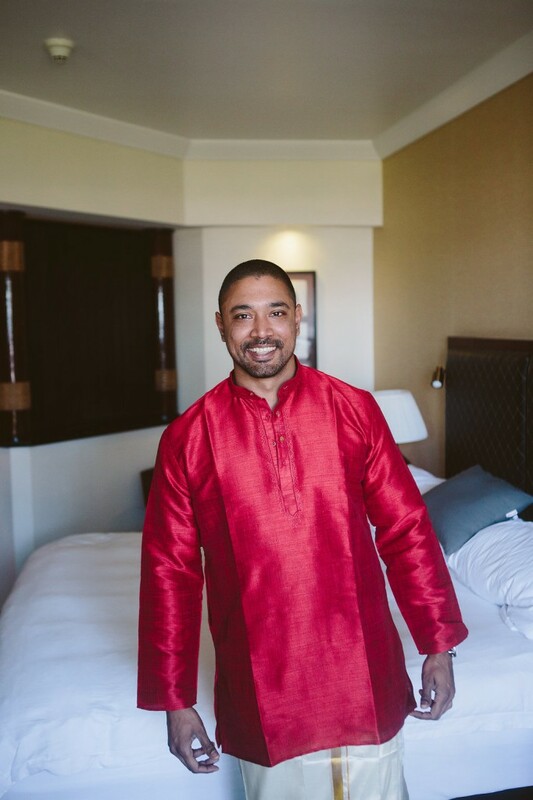 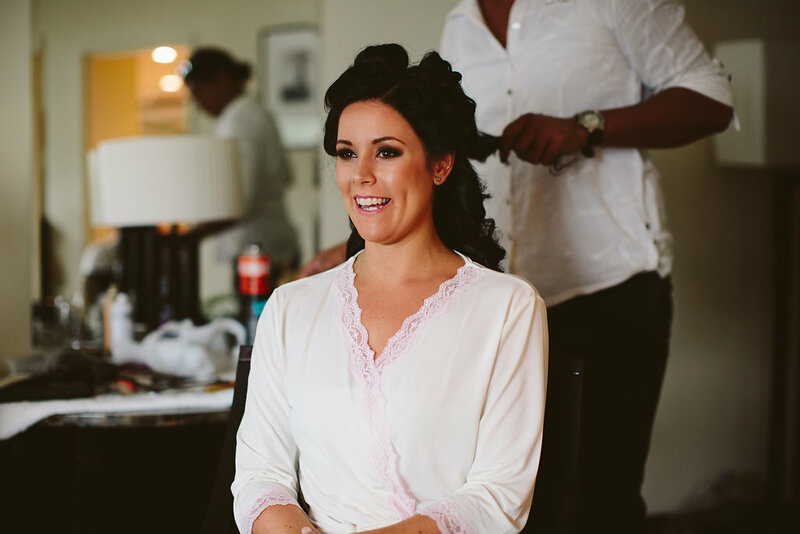 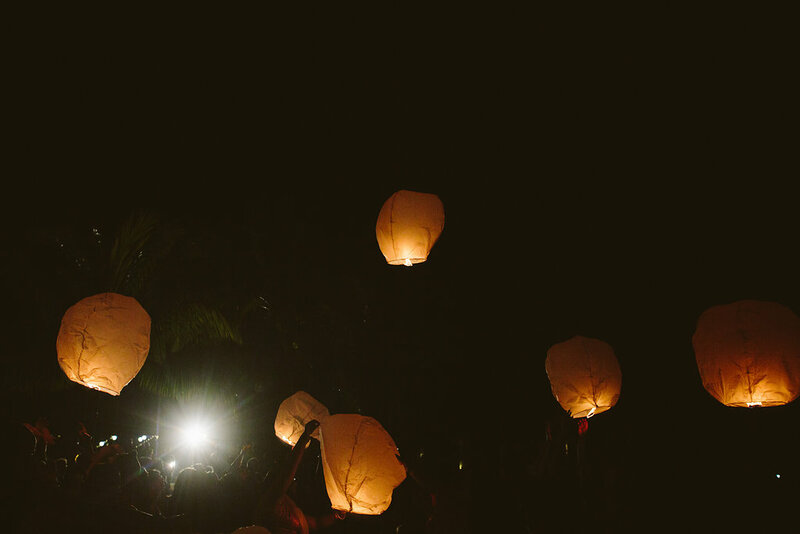 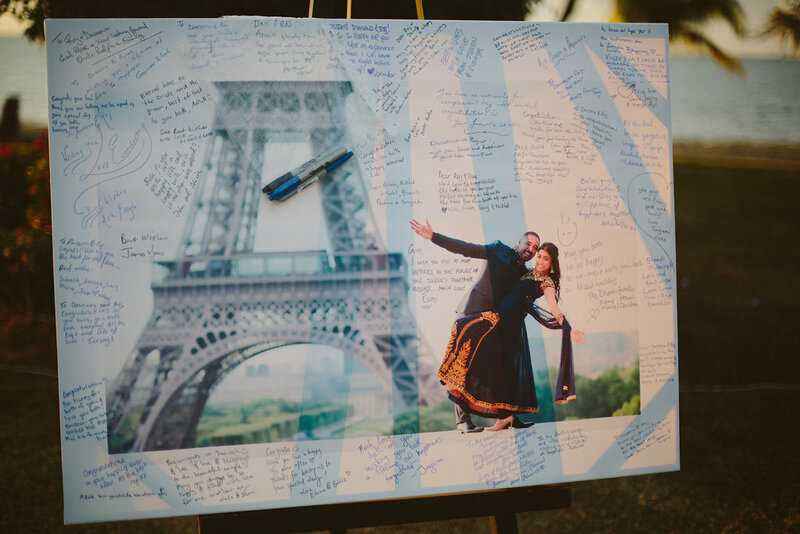 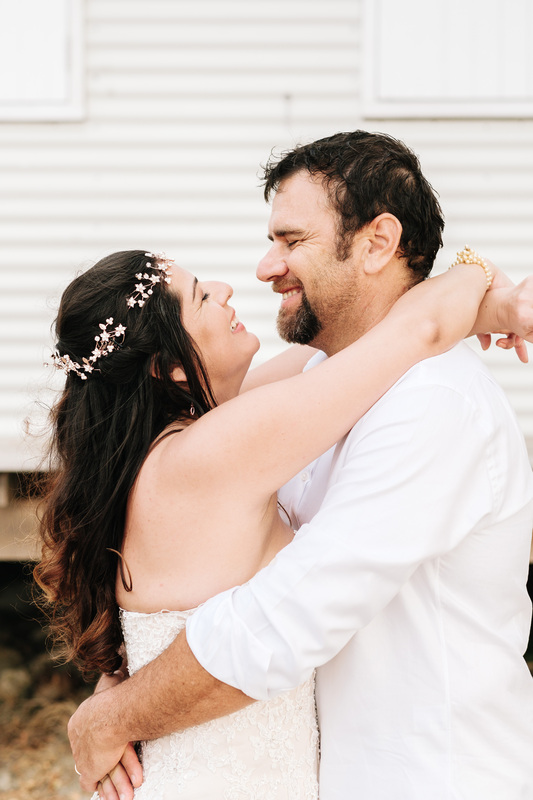 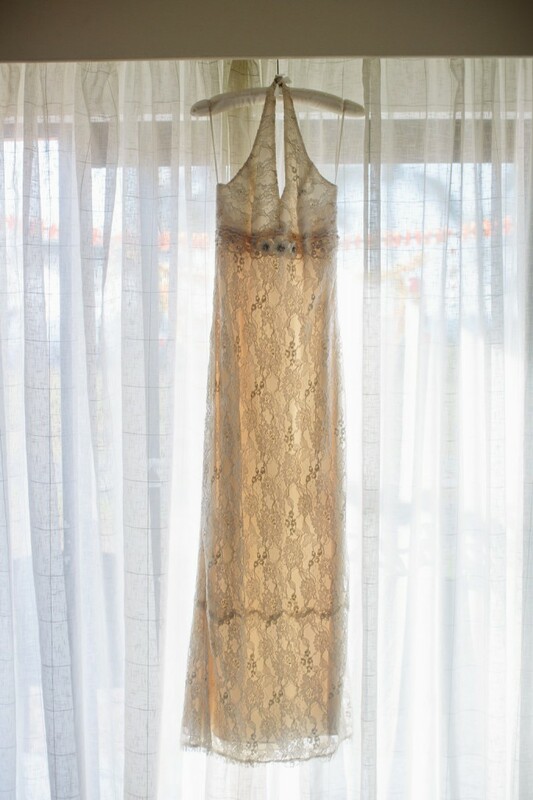 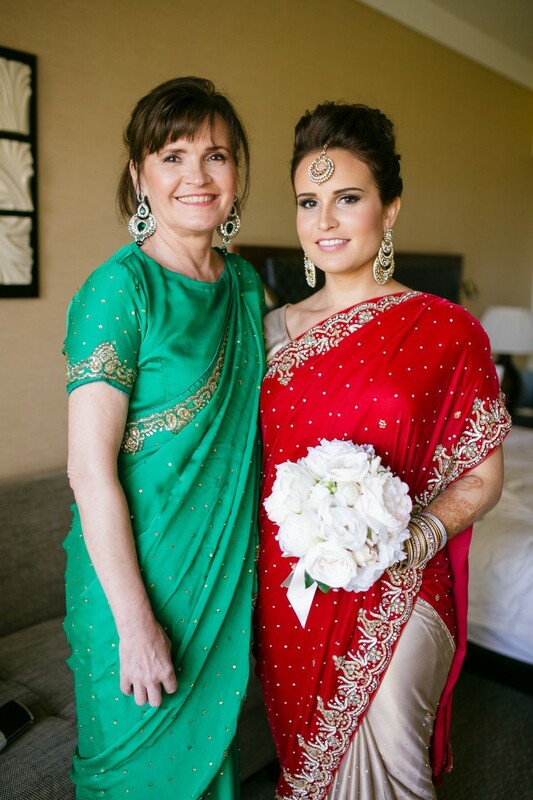 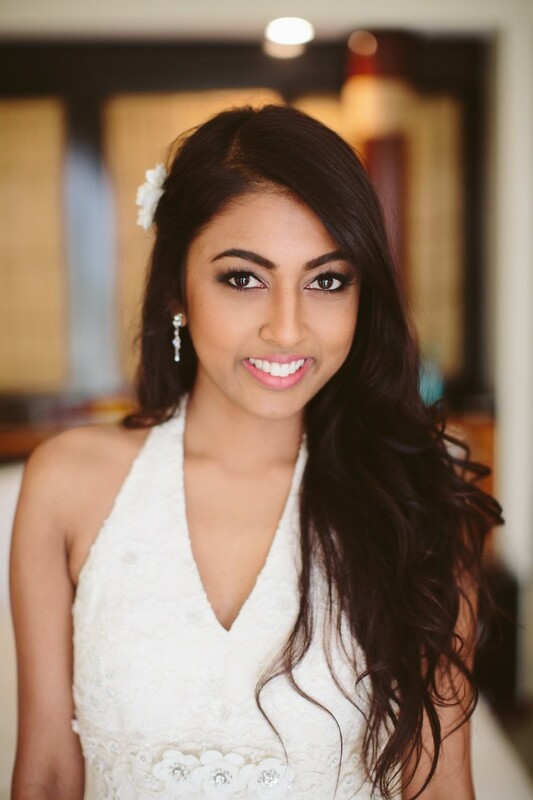 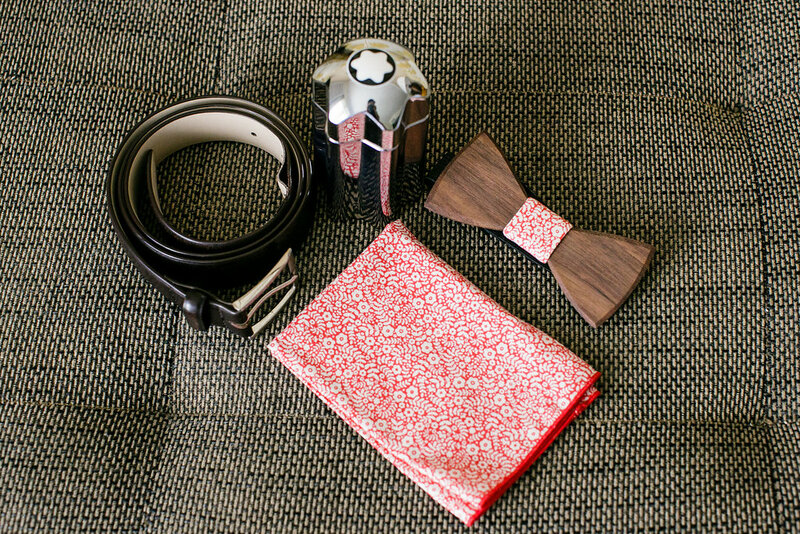 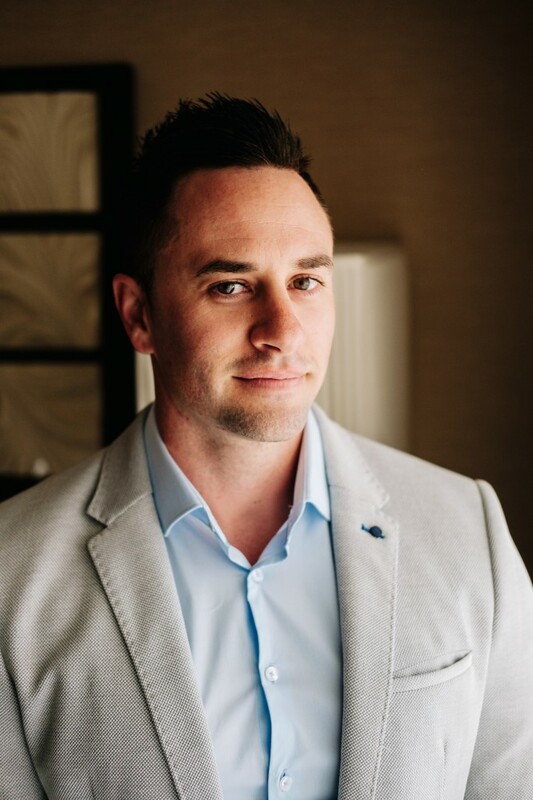 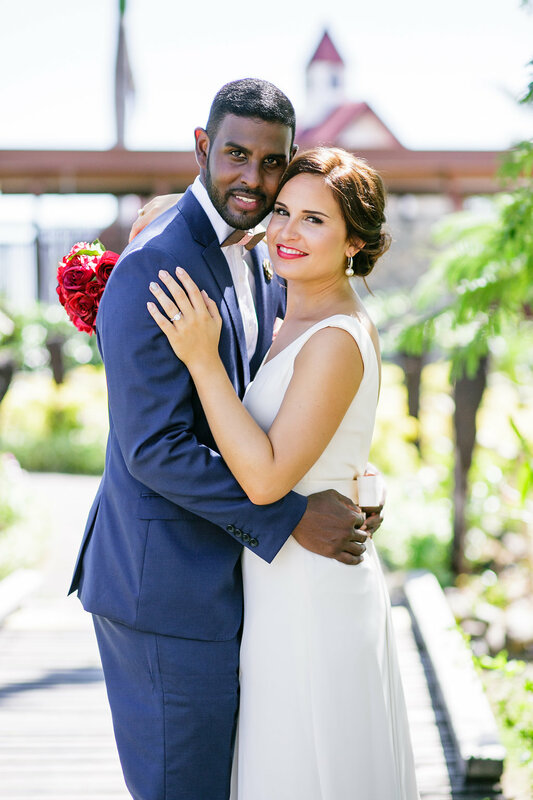 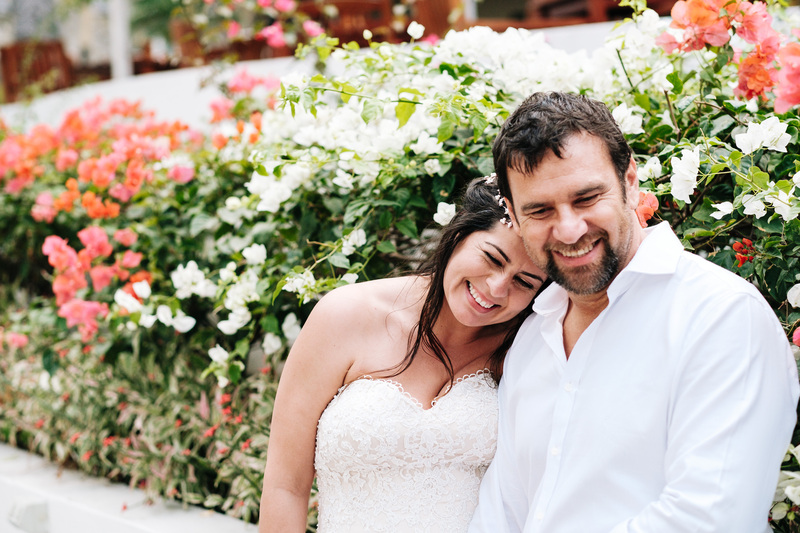 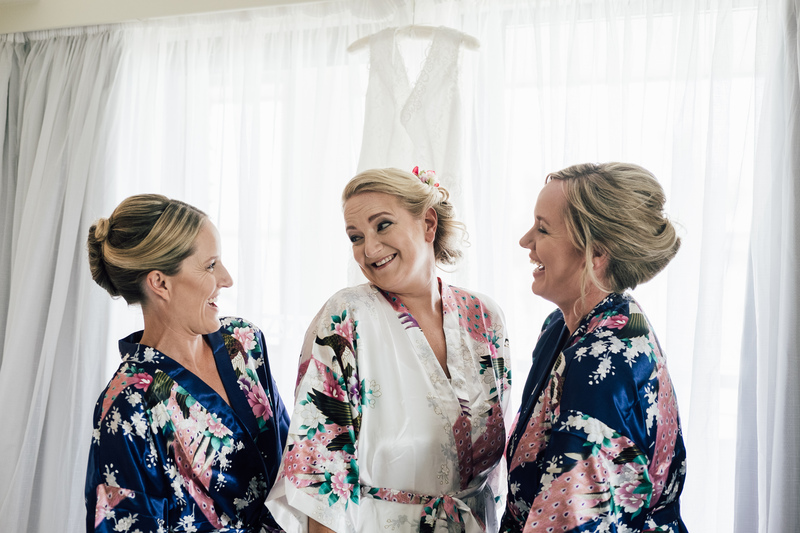 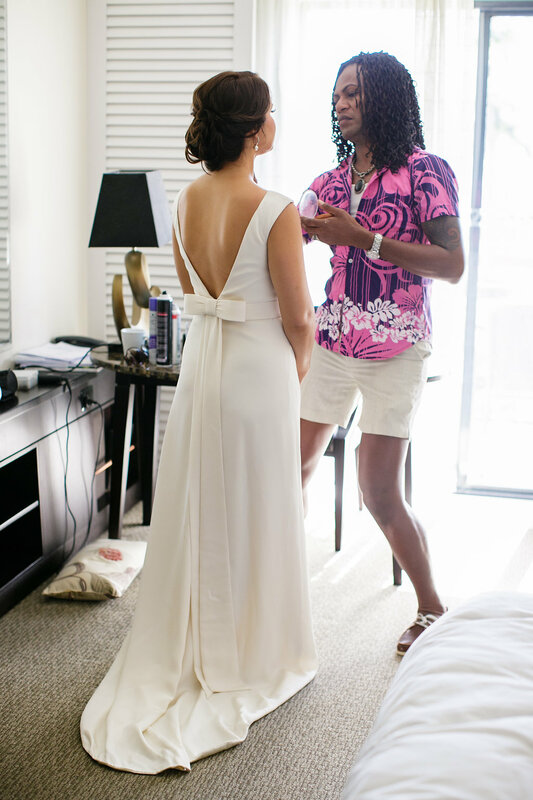 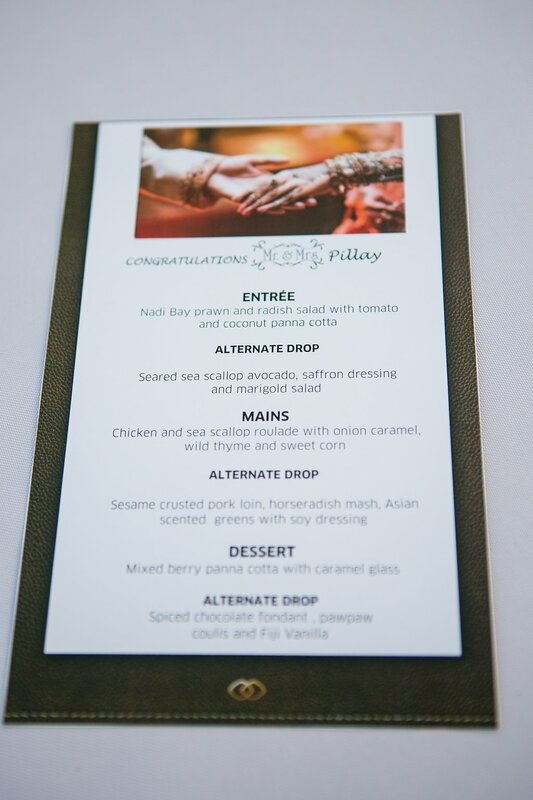 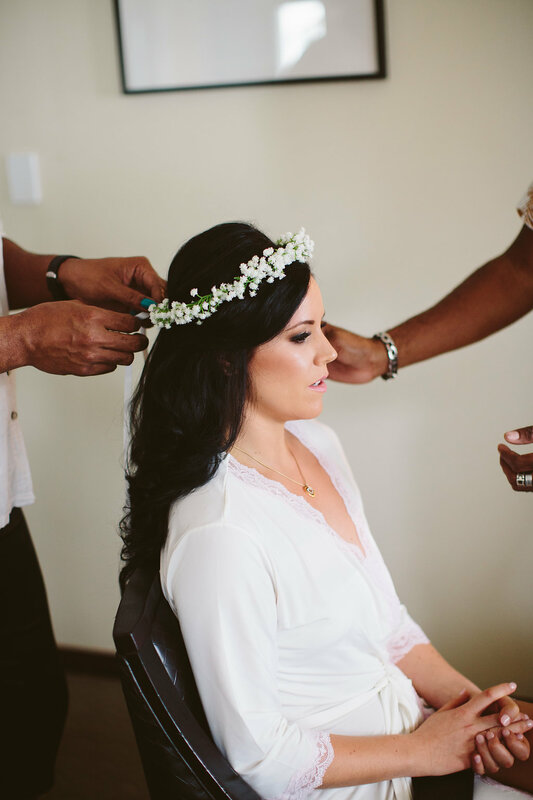 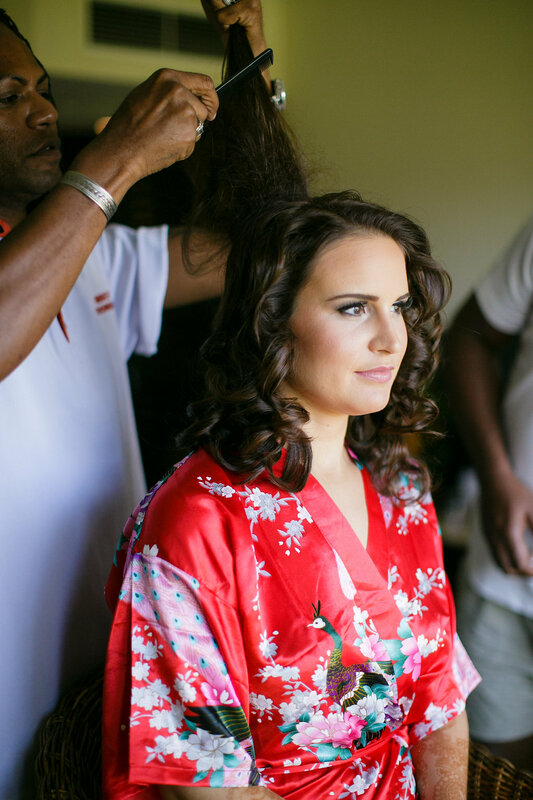 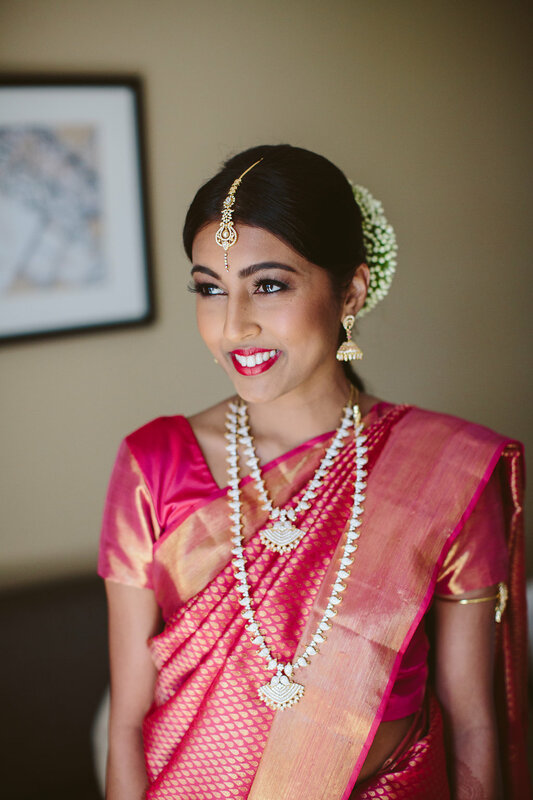 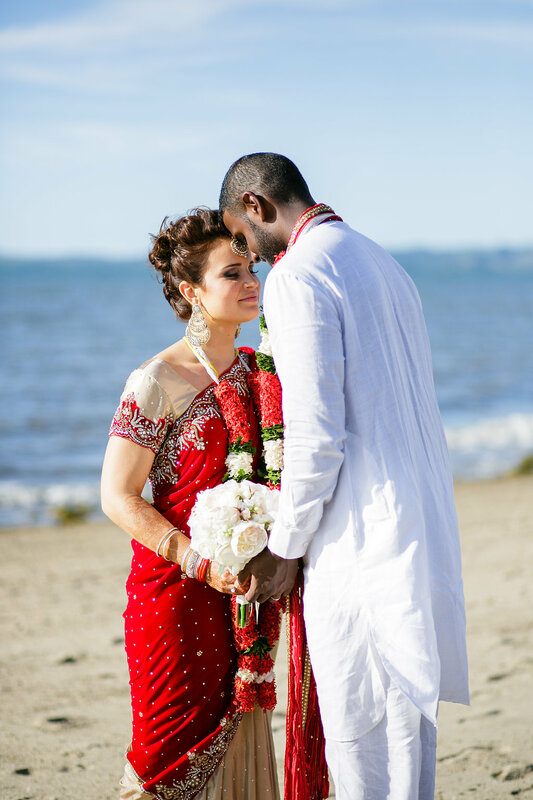 We are so excited to finally get this wedding up on our blog, showcasing the coming together of two different cultures. 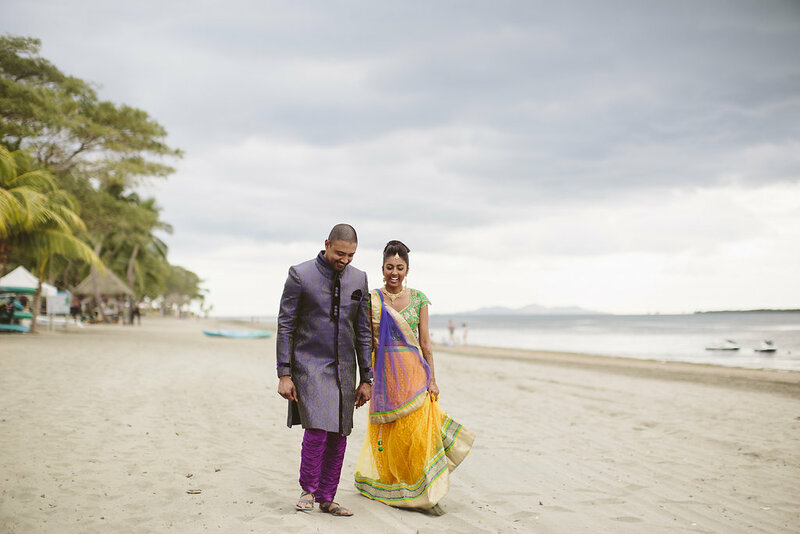 We love the tradition and vibrant colours and what a stunning couple they were!!! 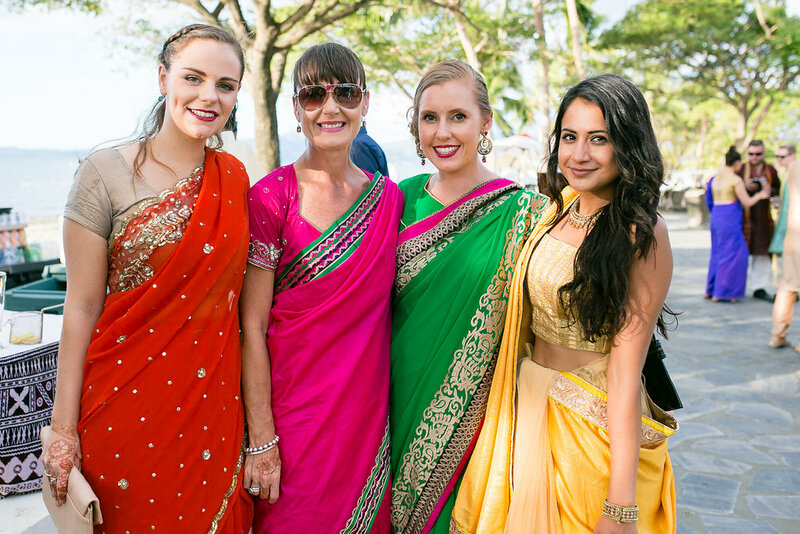 We counted 5 different outfits for Olivia during her 2 days of celebration. 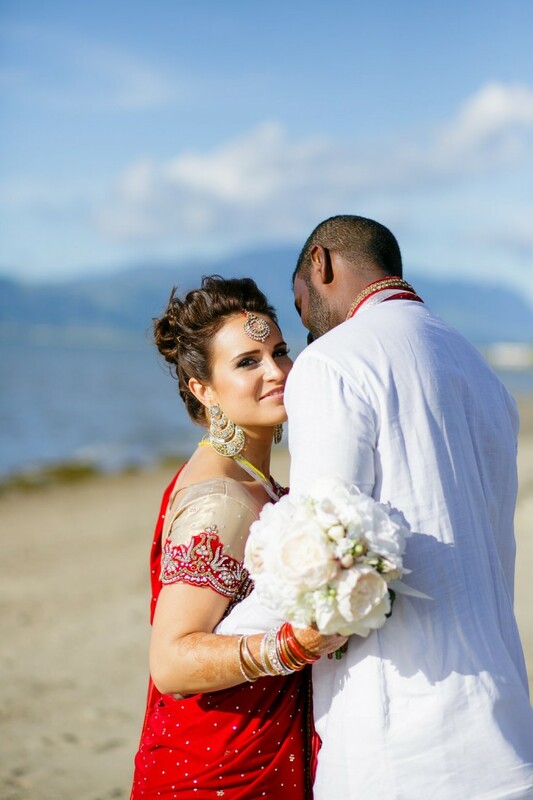 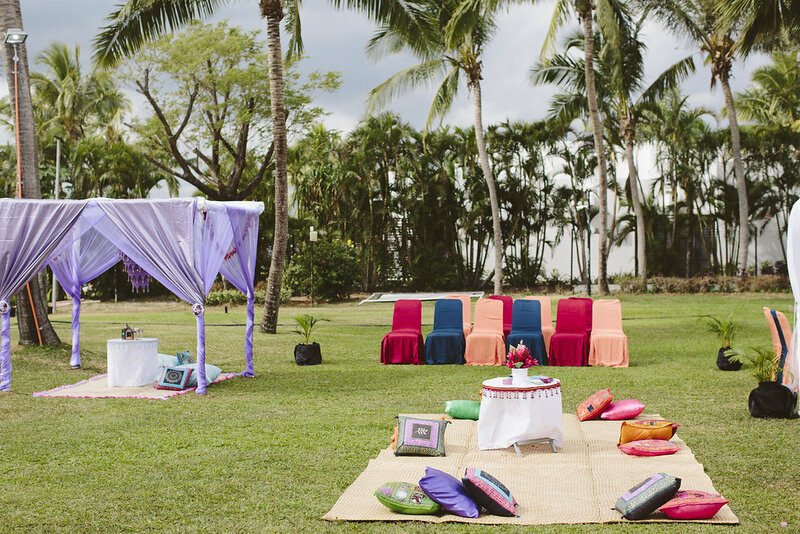 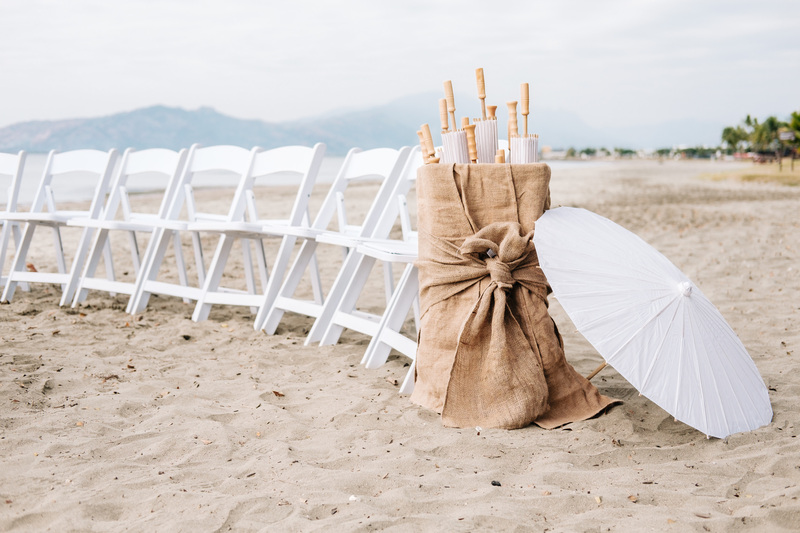 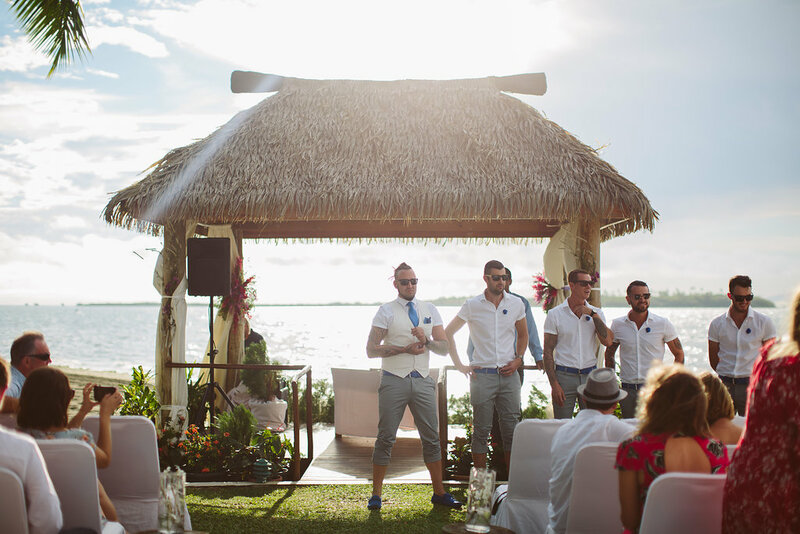 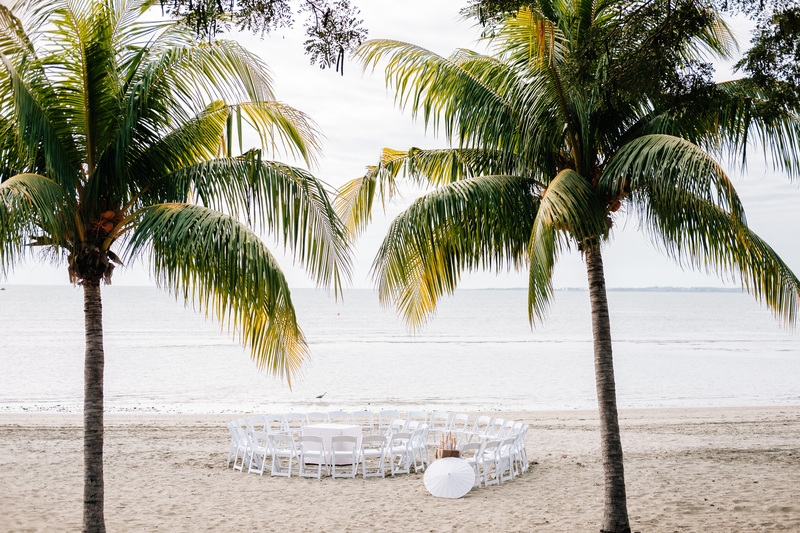 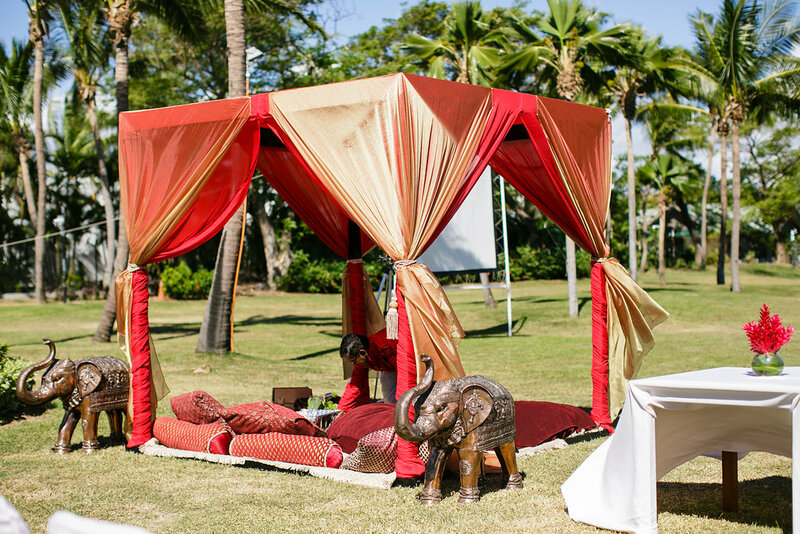 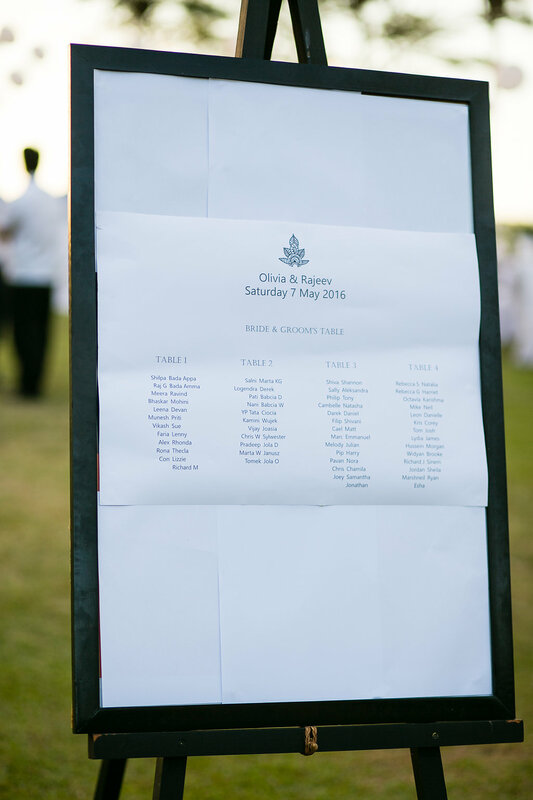 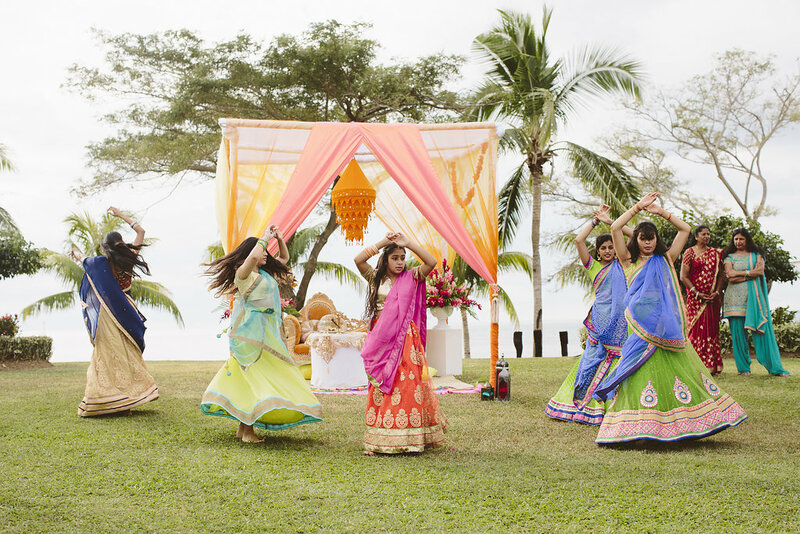 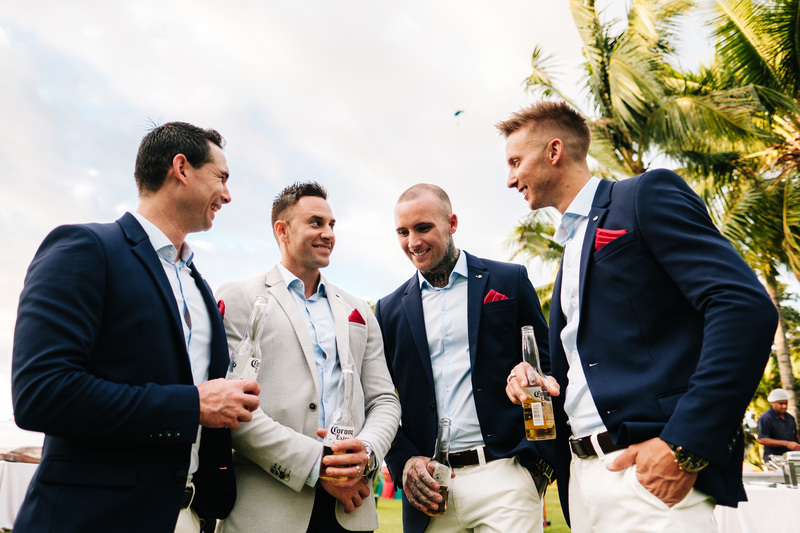 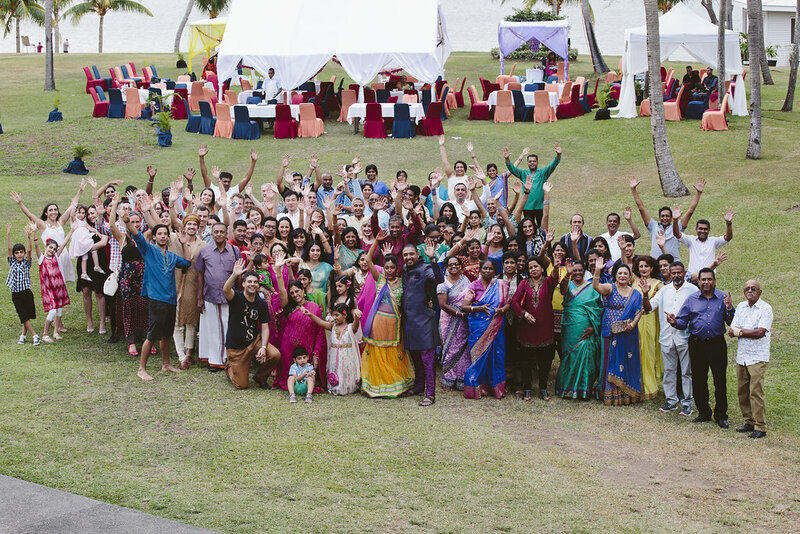 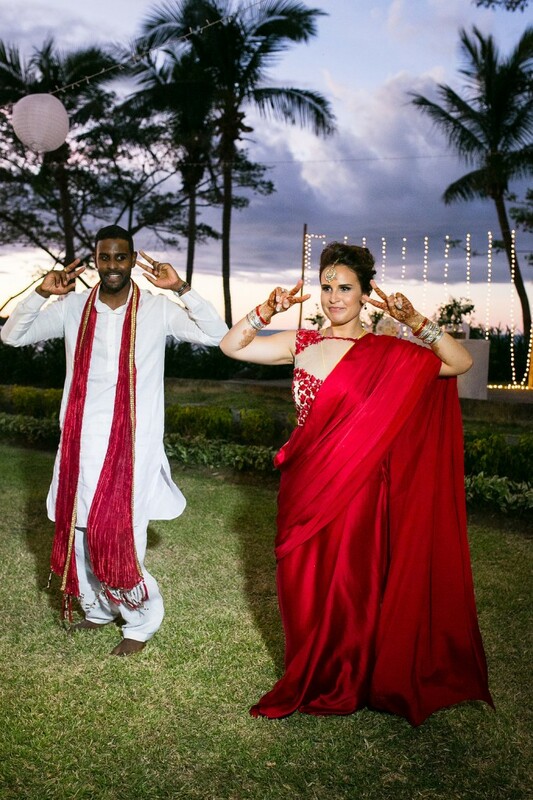 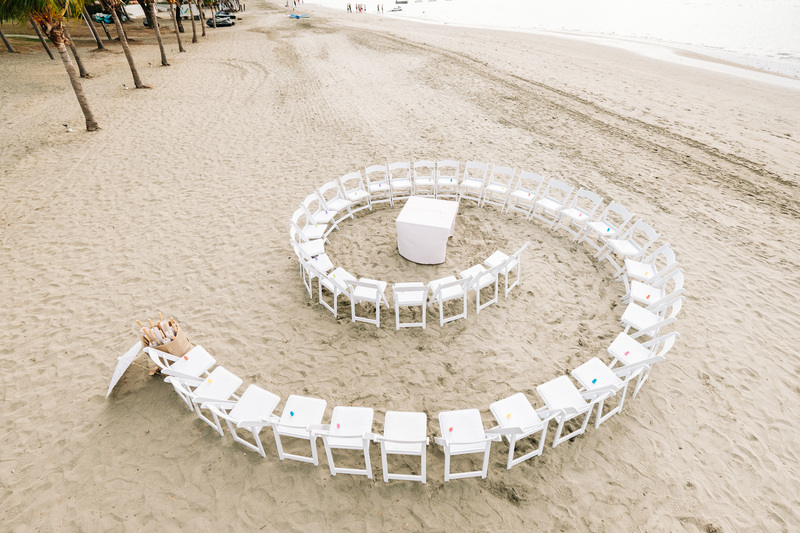 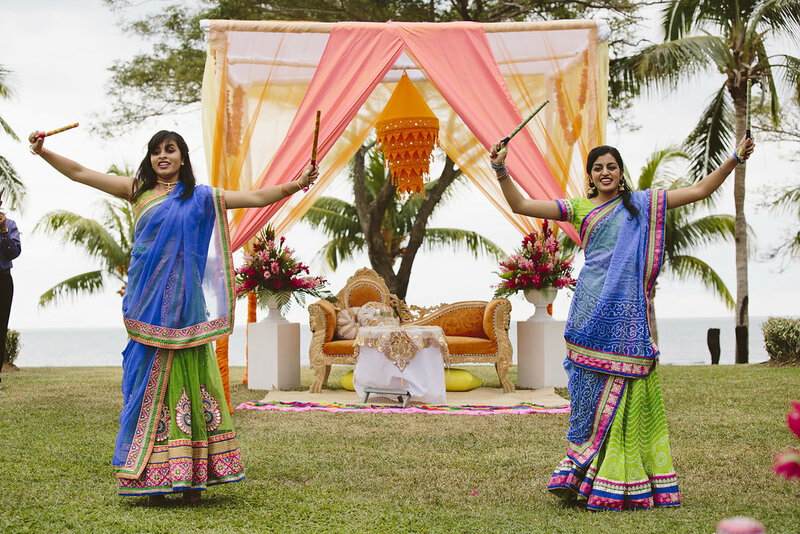 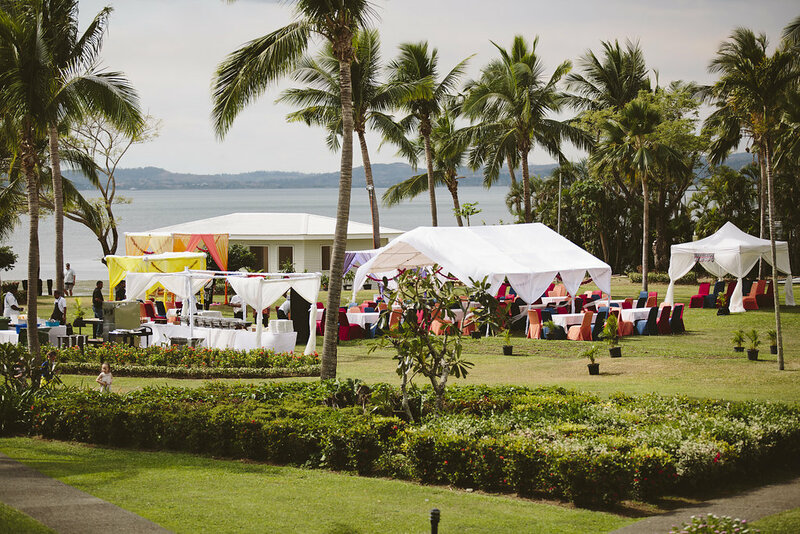 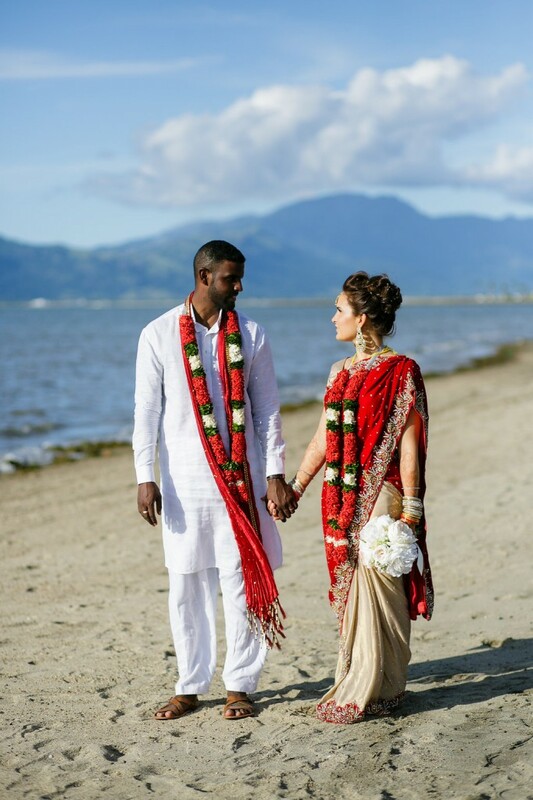 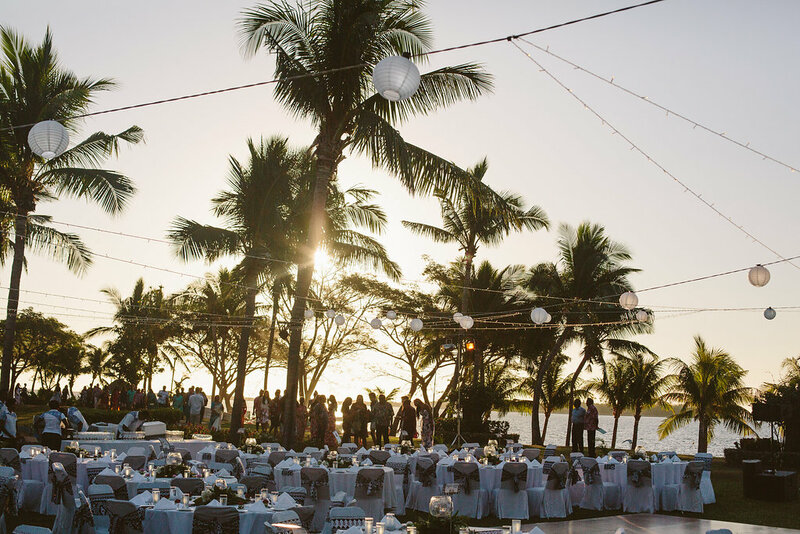 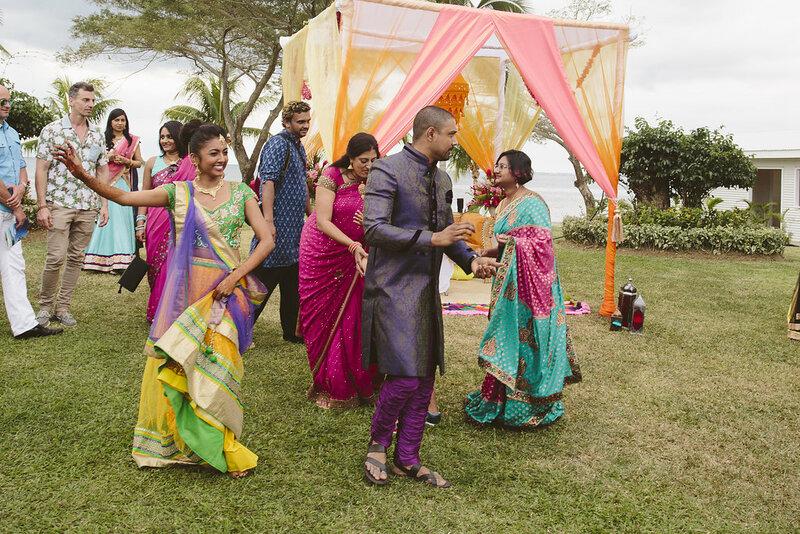 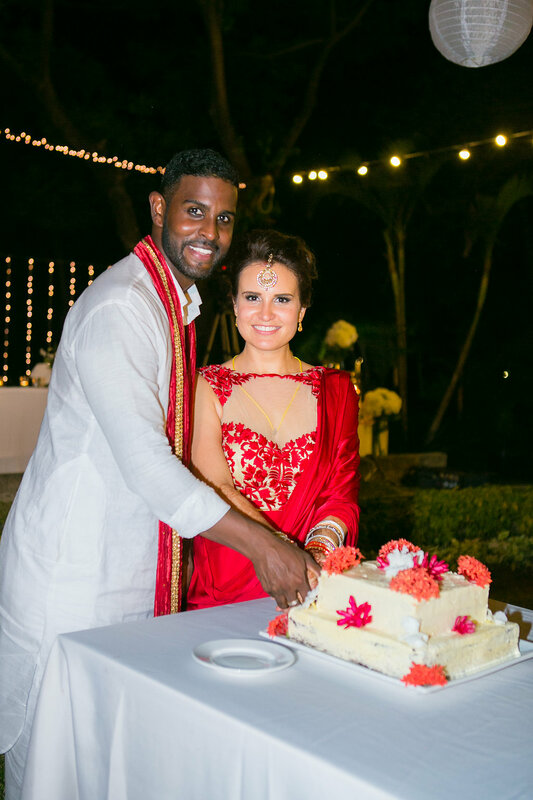 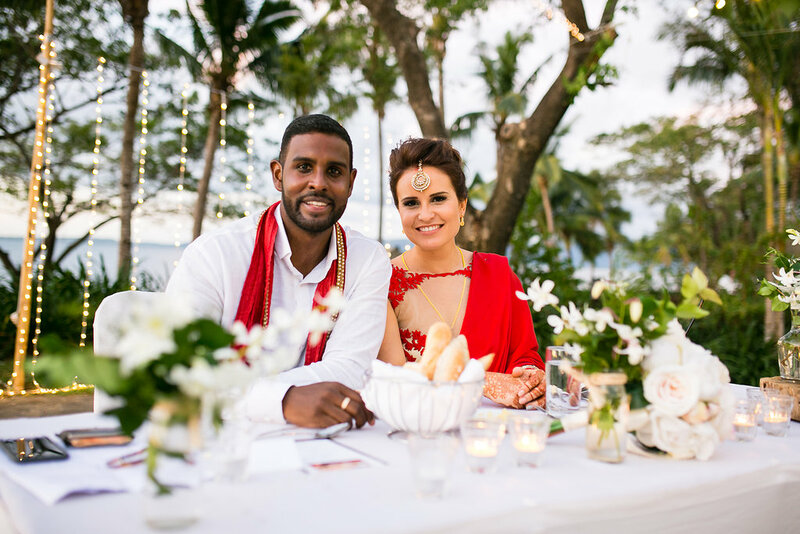 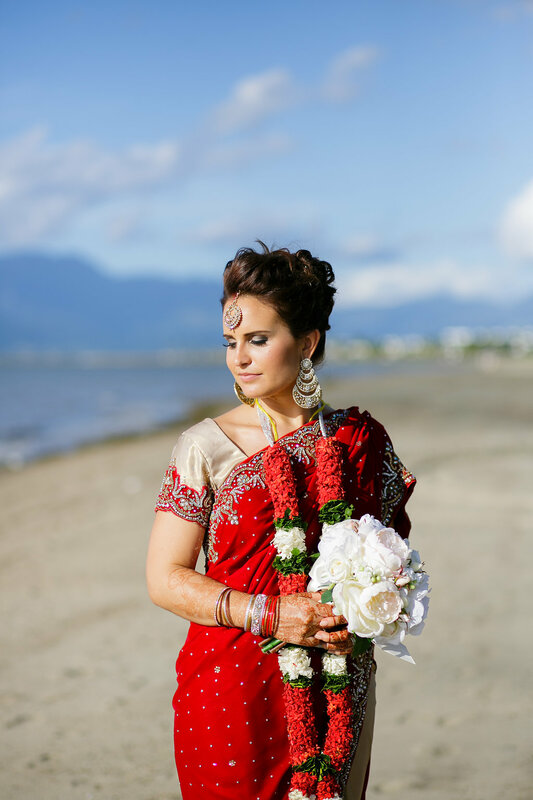 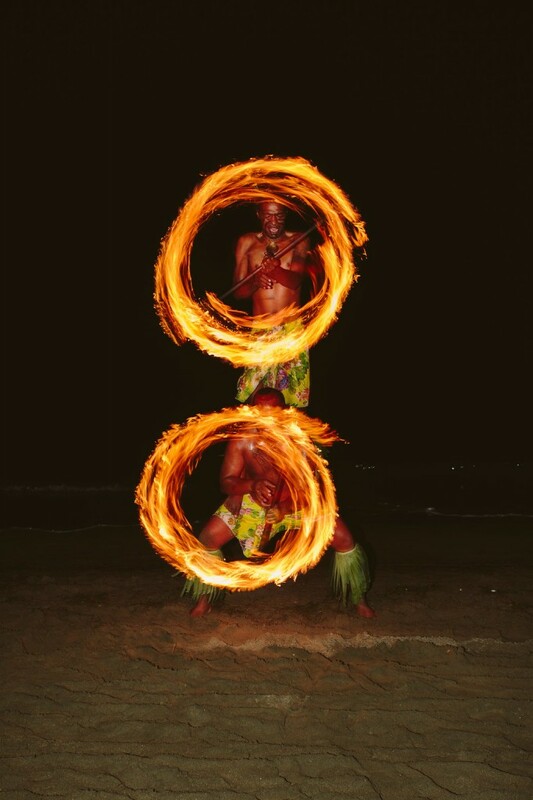 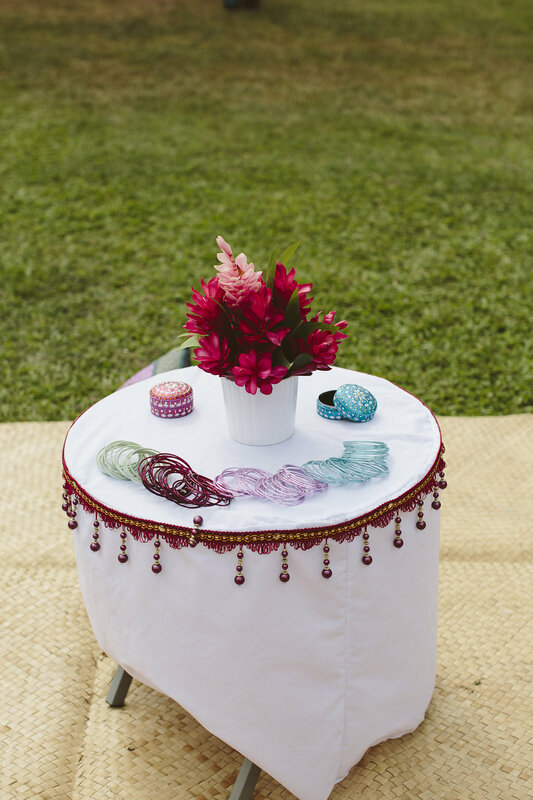 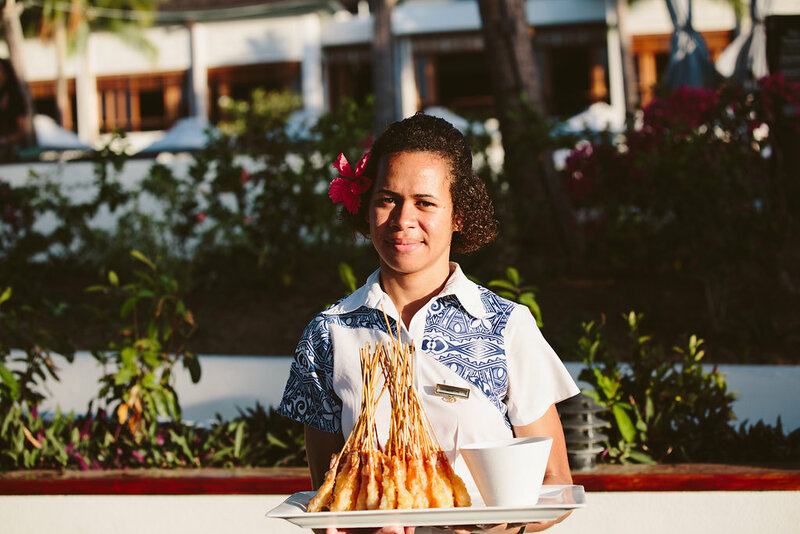 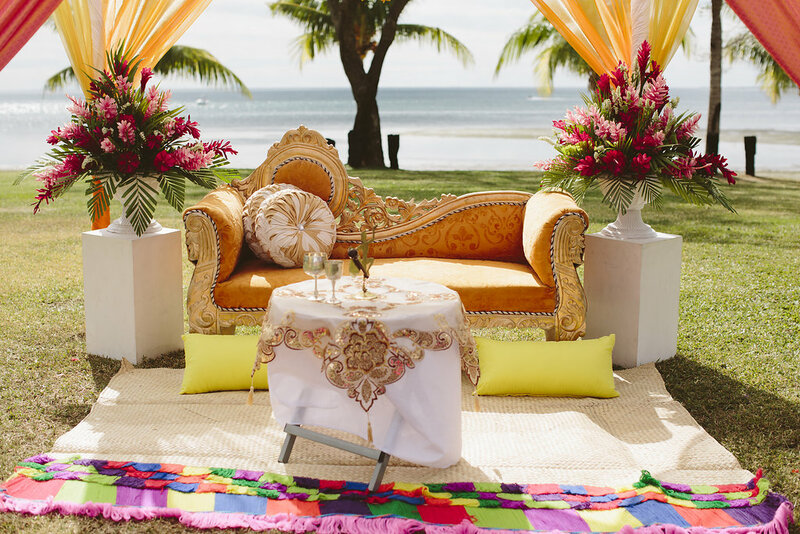 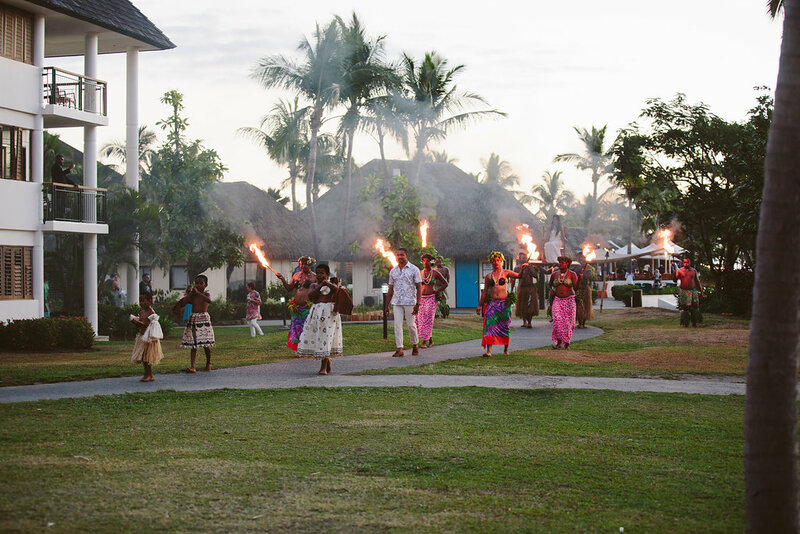 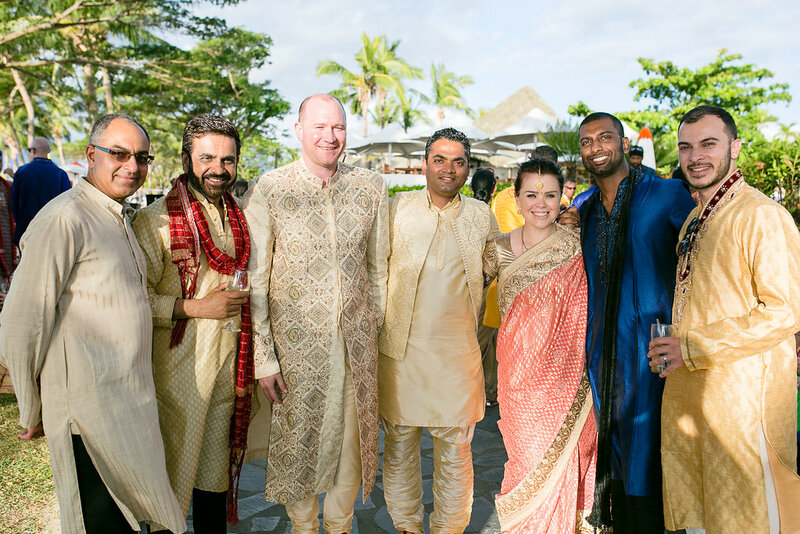 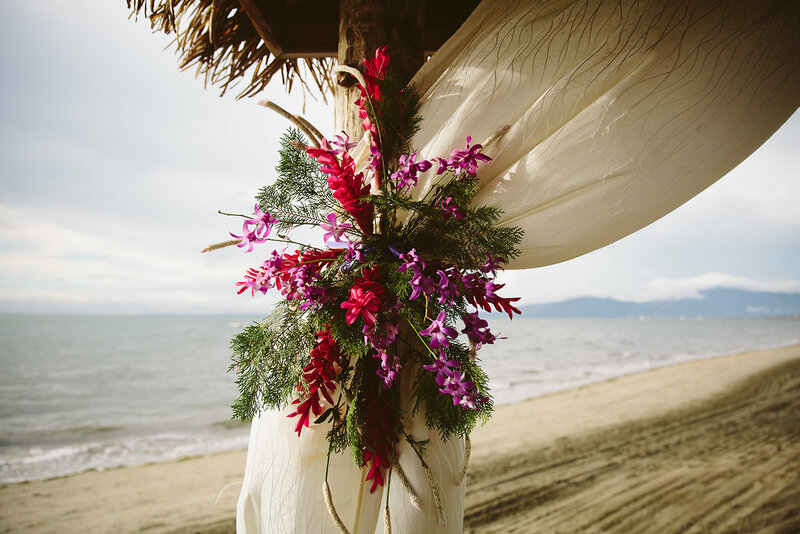 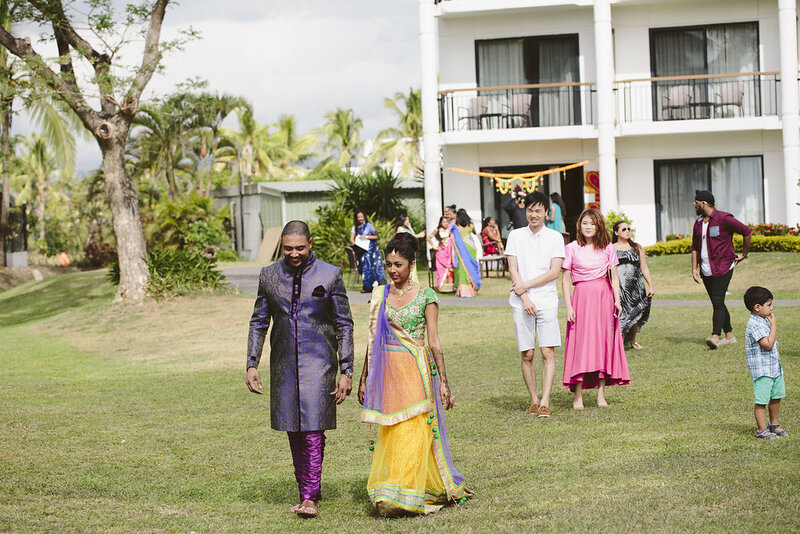 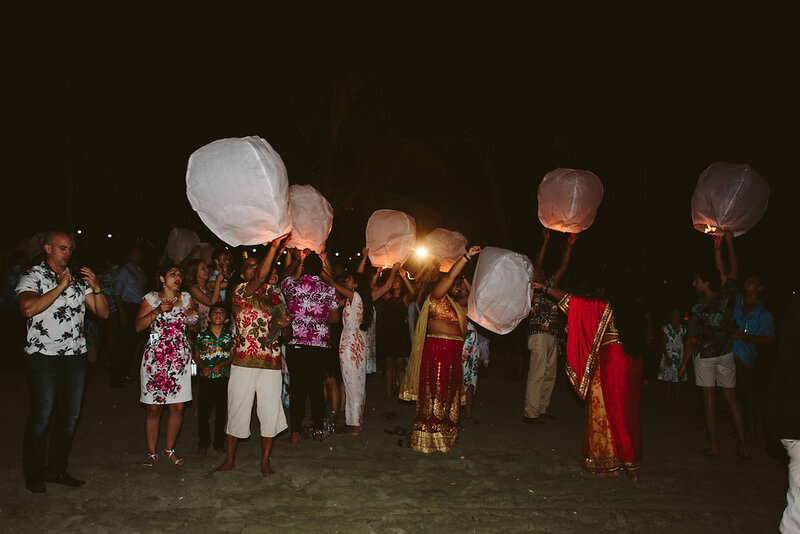 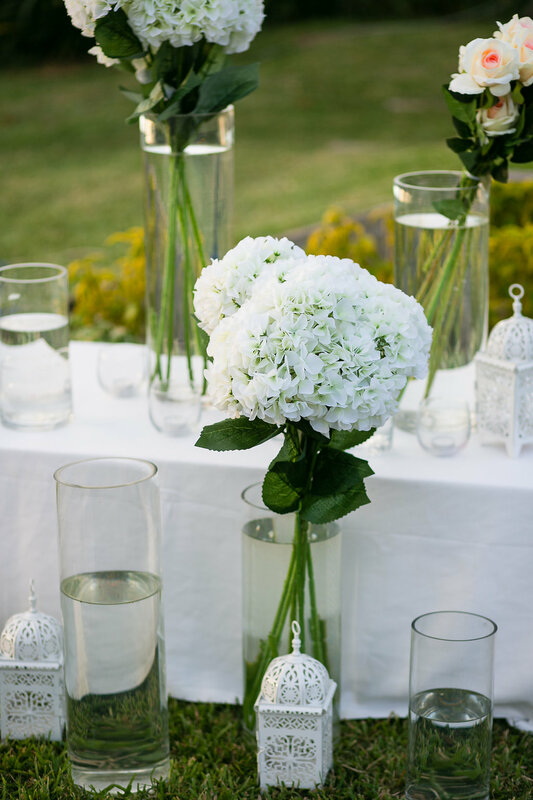 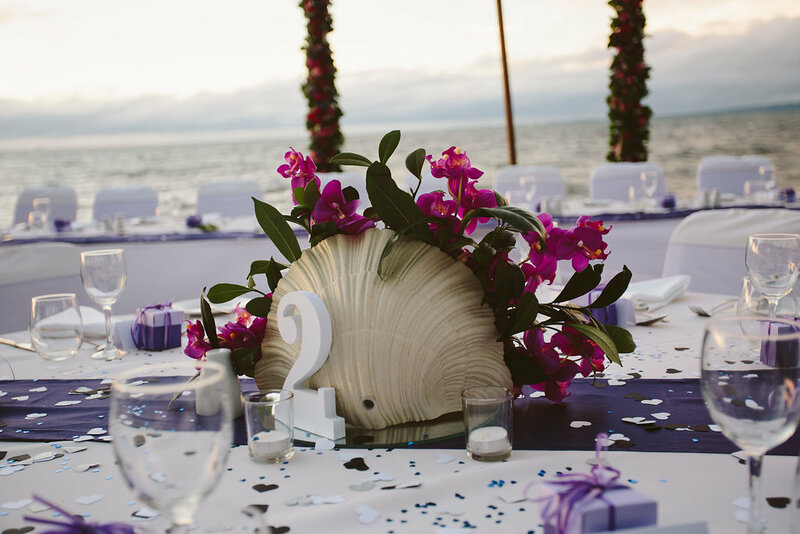 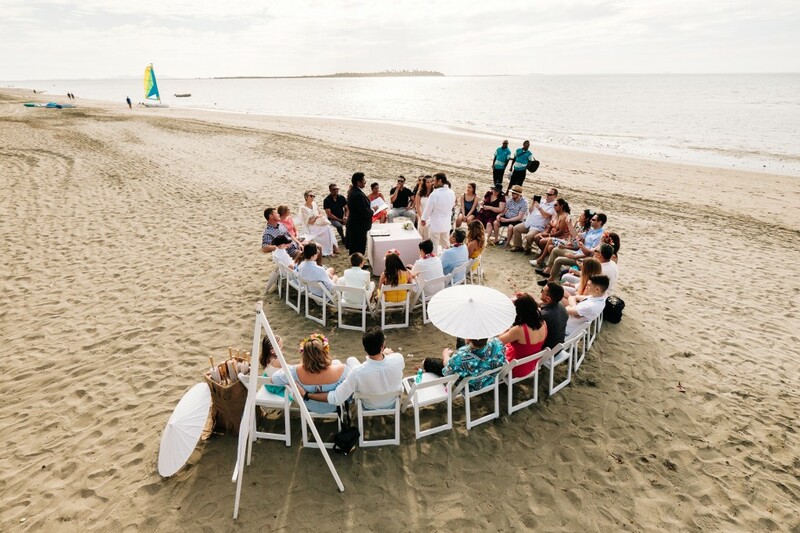 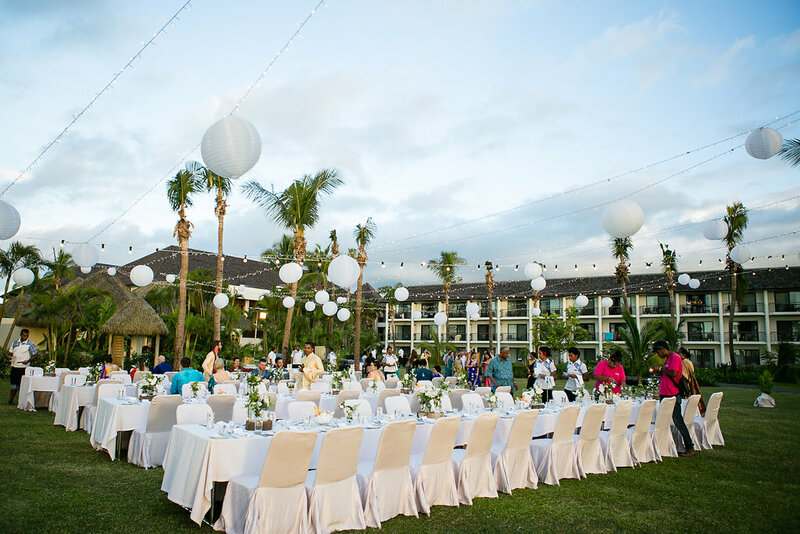 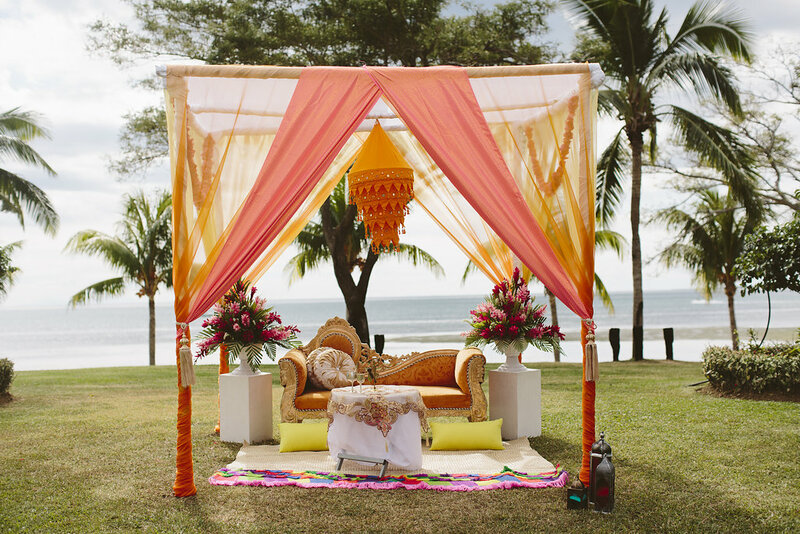 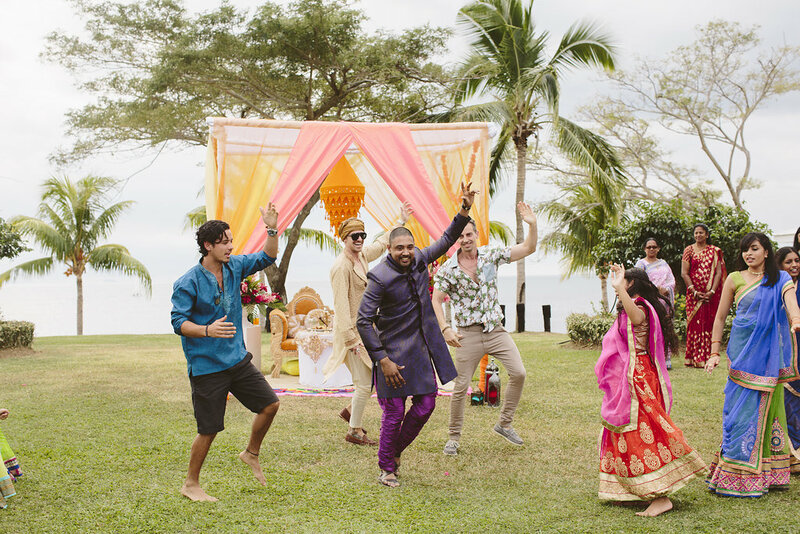 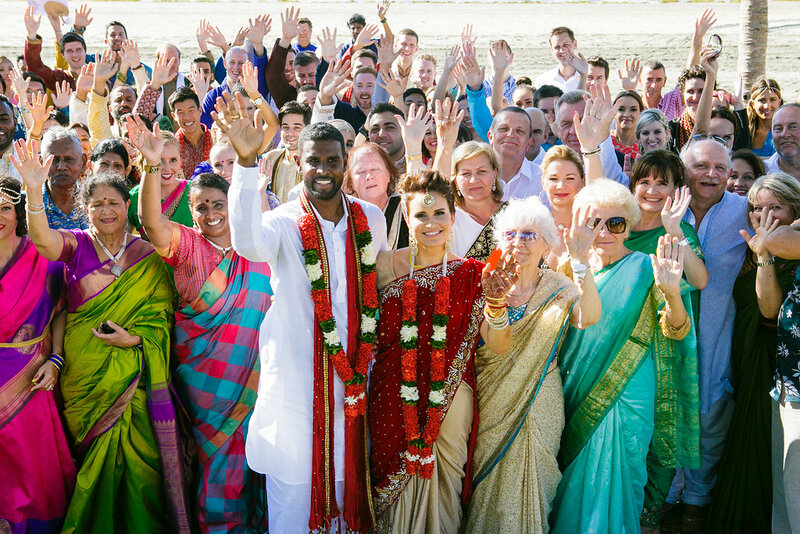 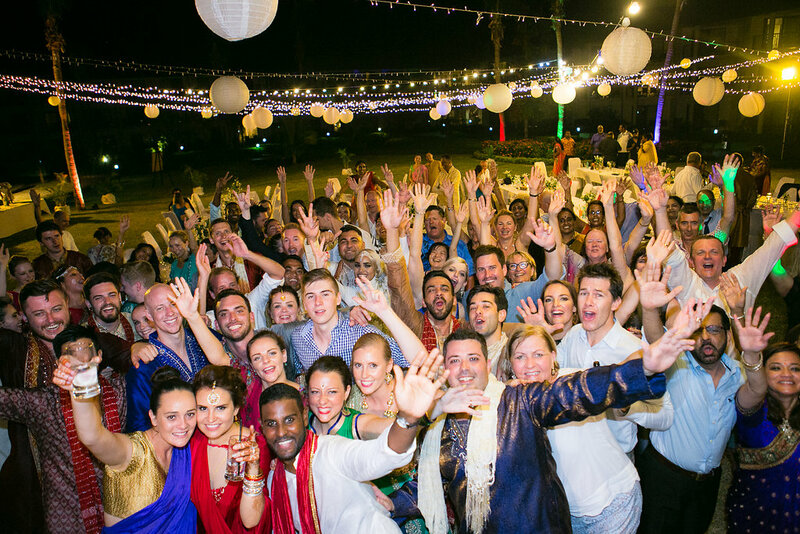 The Indian ceremony was held on the Sofitel beachfront with the reception on the North Lawn at the Sofitel. 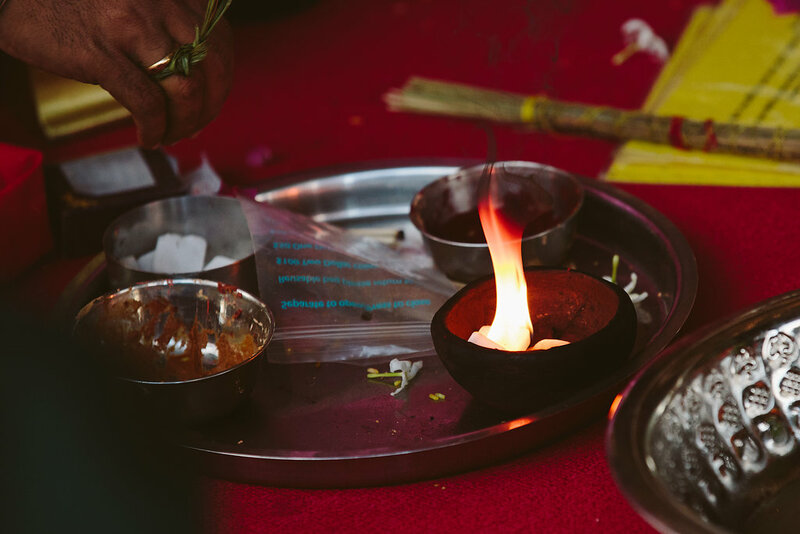 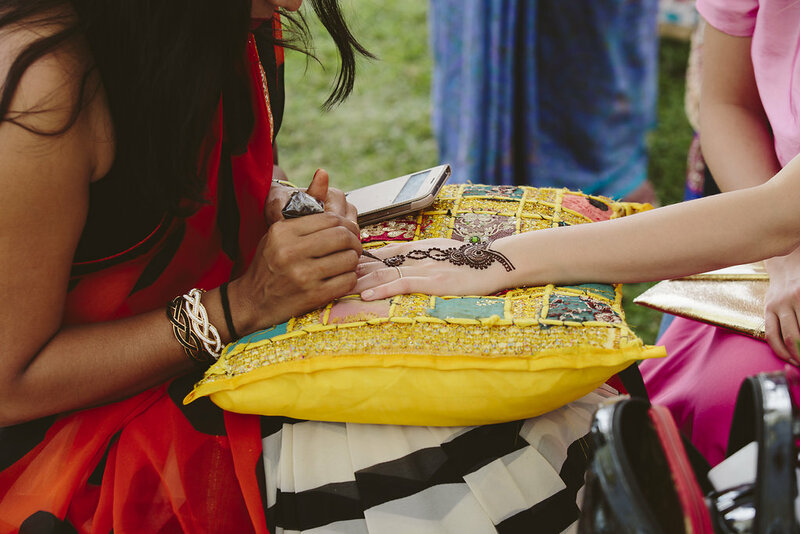 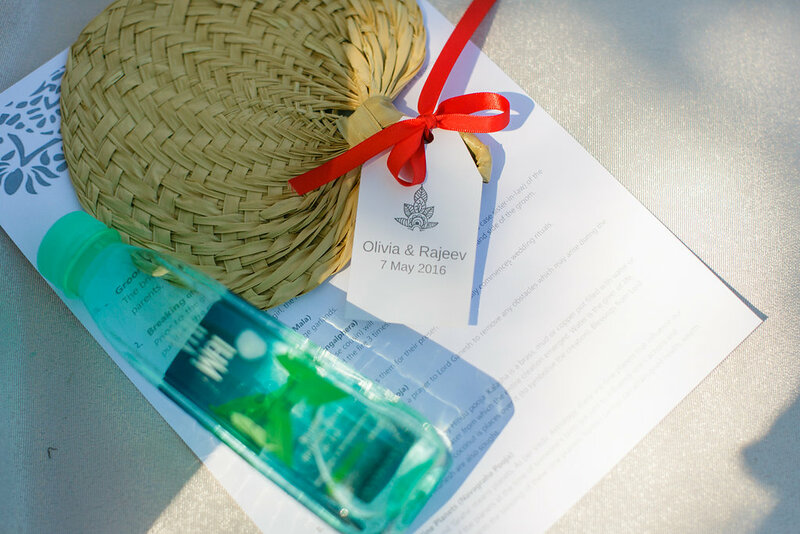 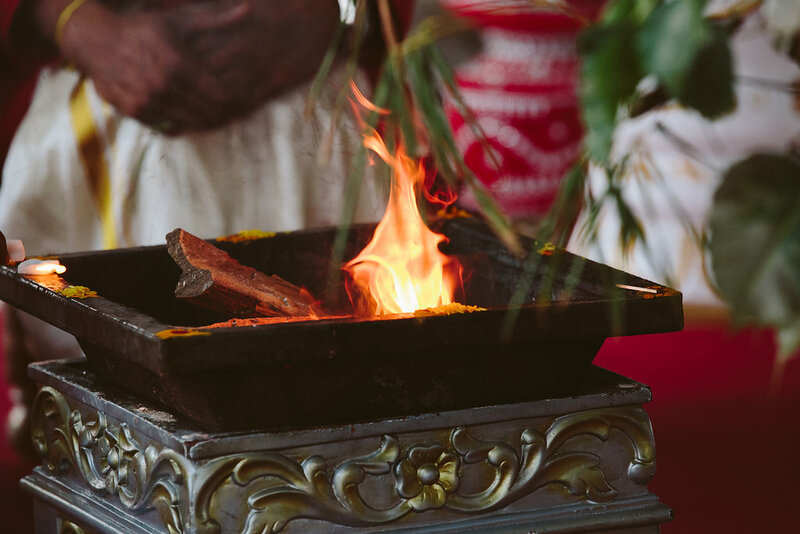 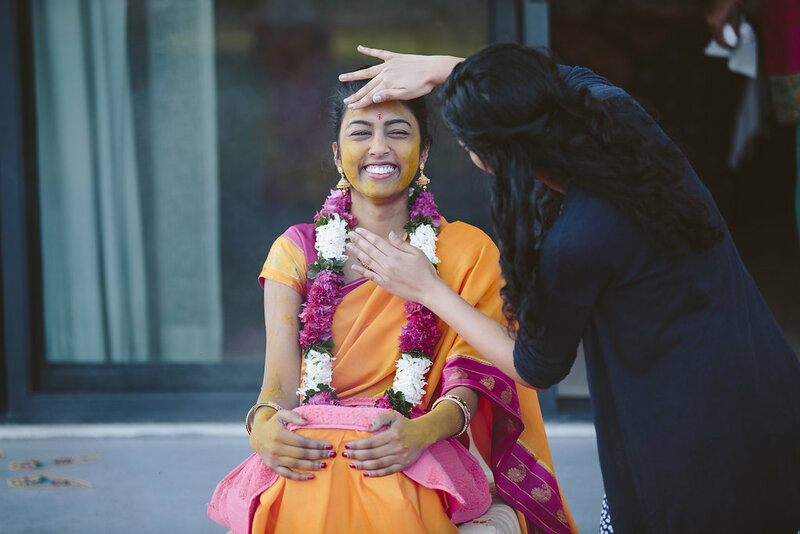 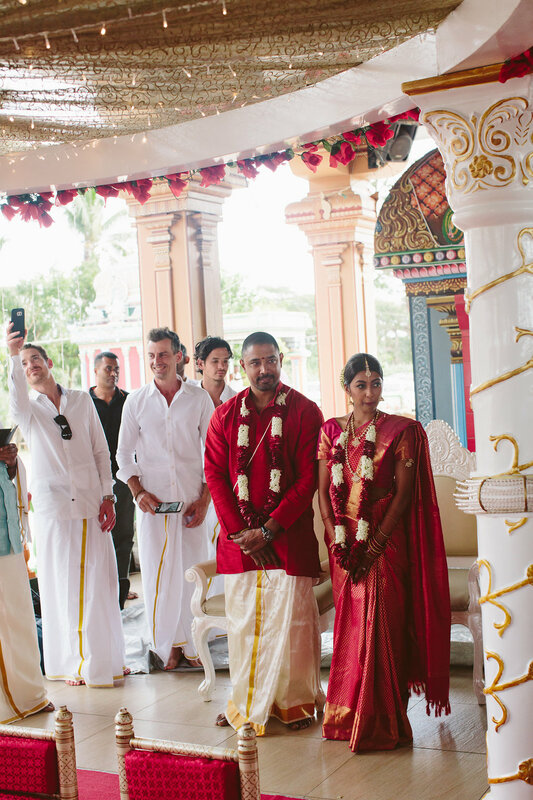 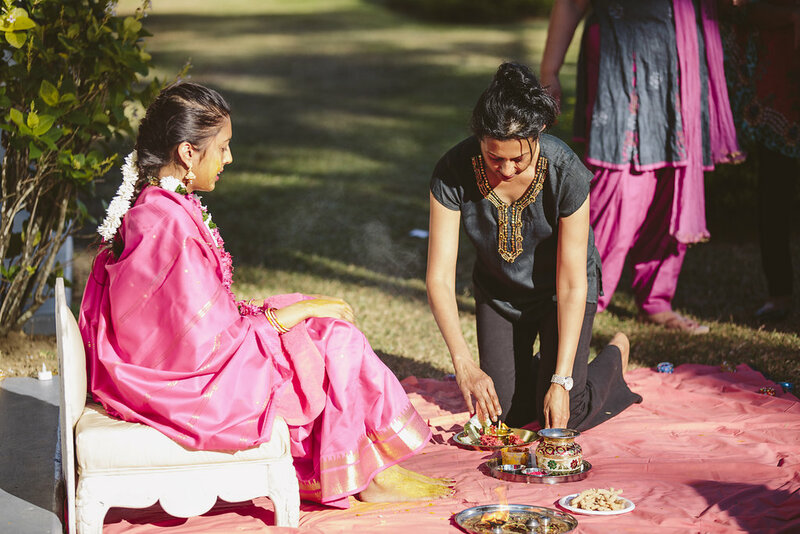 Olivia & Raj held a Westin blessing on the first day of the celebration prior to the Haldi & Mendhi events. 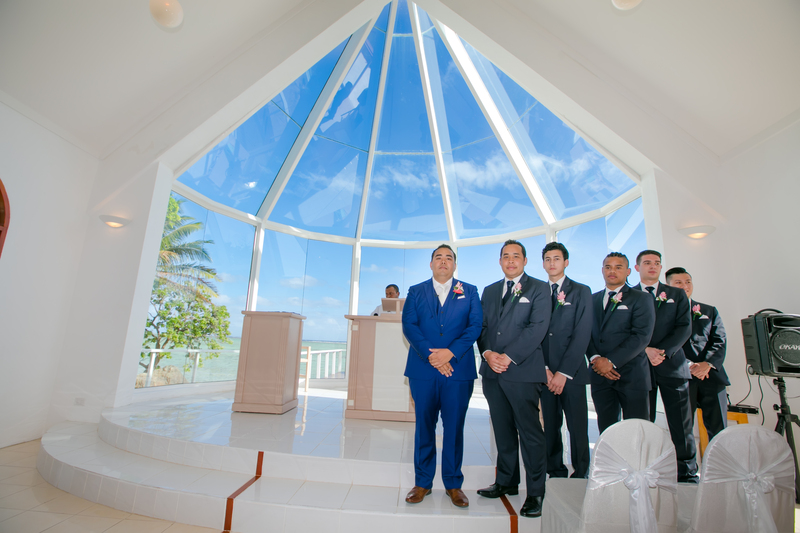 The blessing was held in the Sofitel chapel. 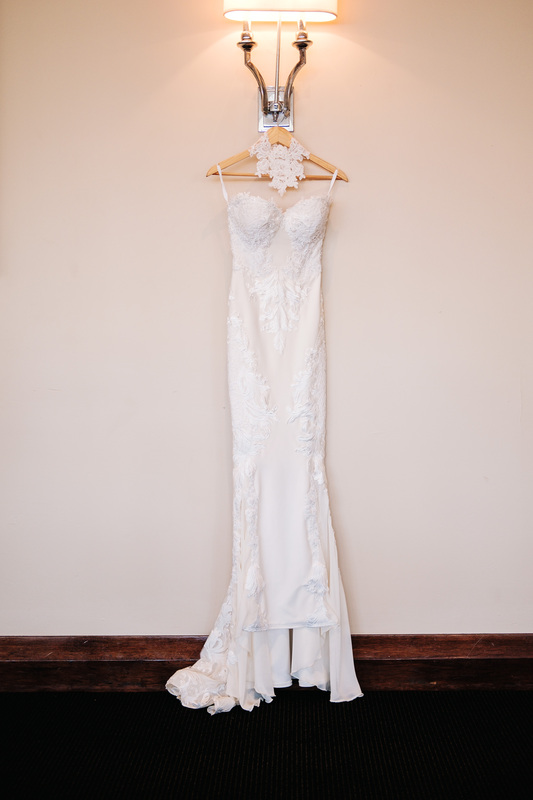 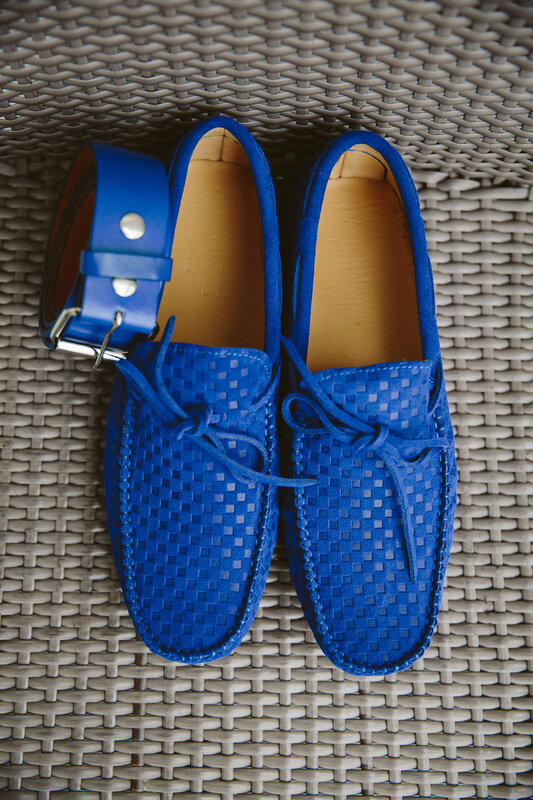 Images by Michelle from Cheer Photography.